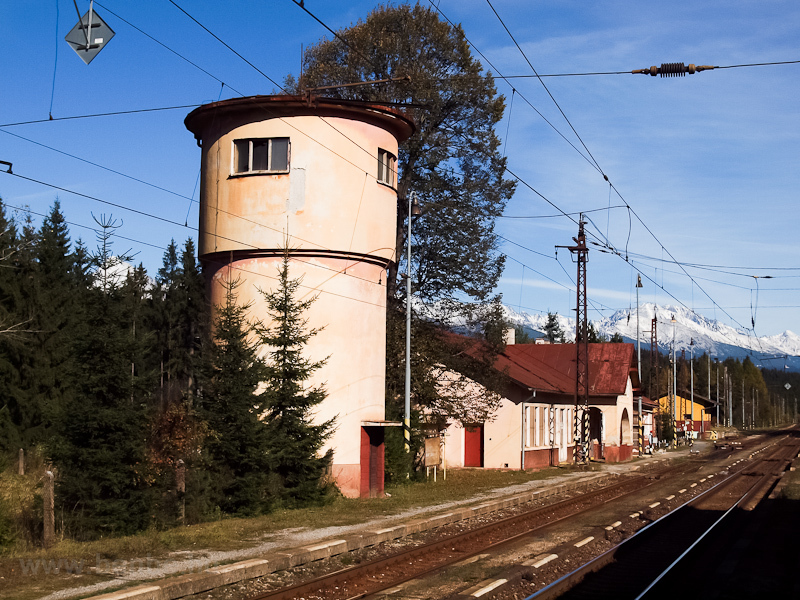 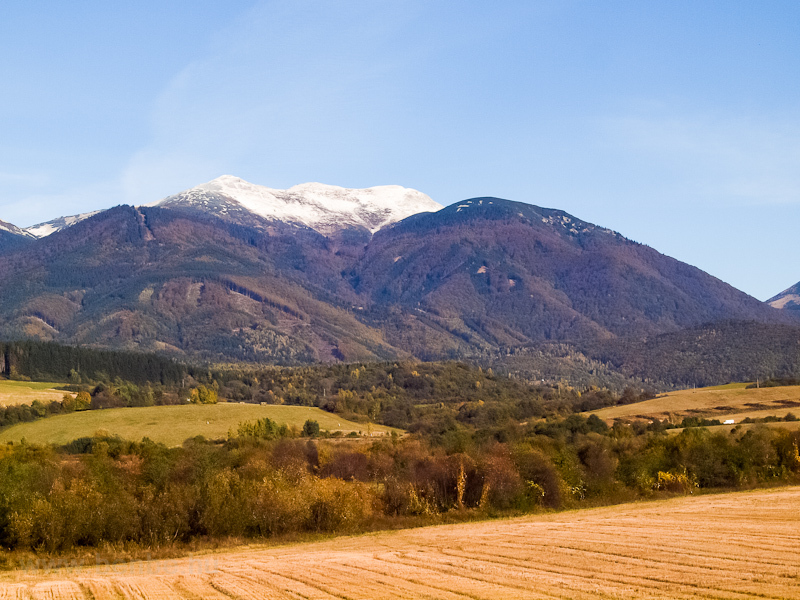 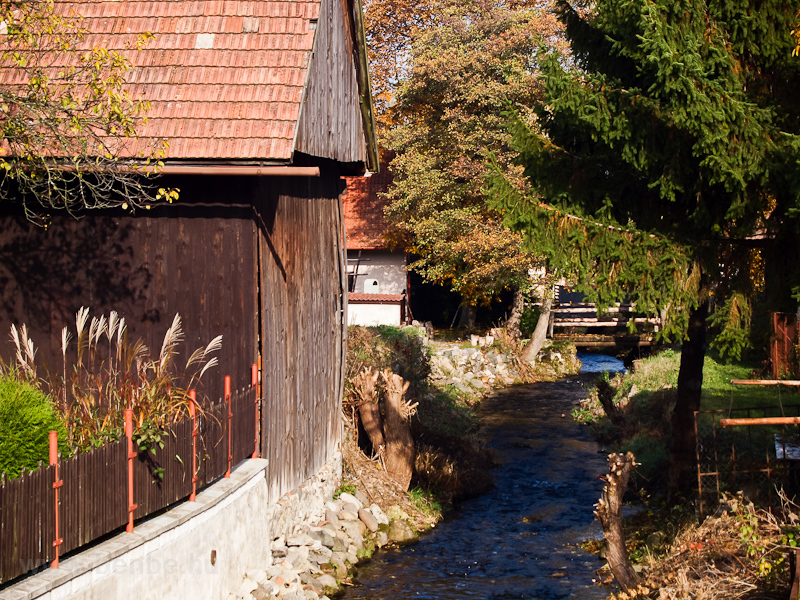 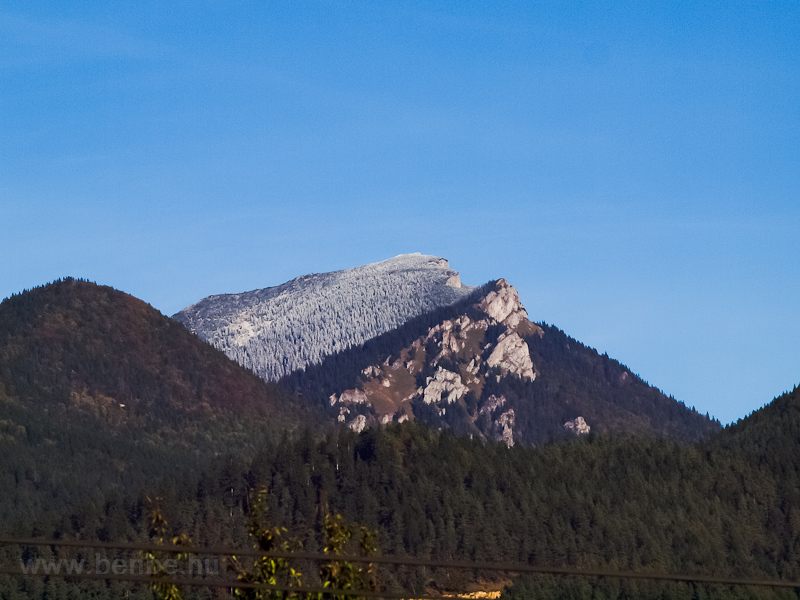 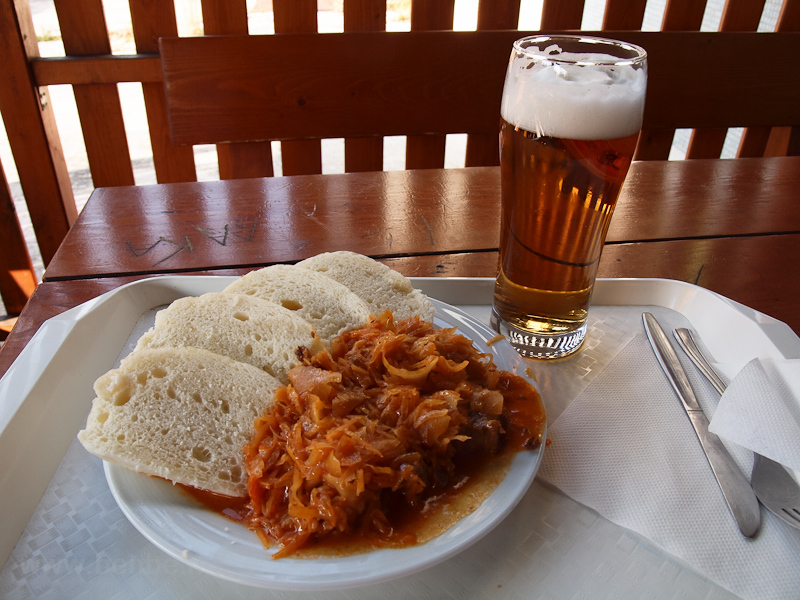 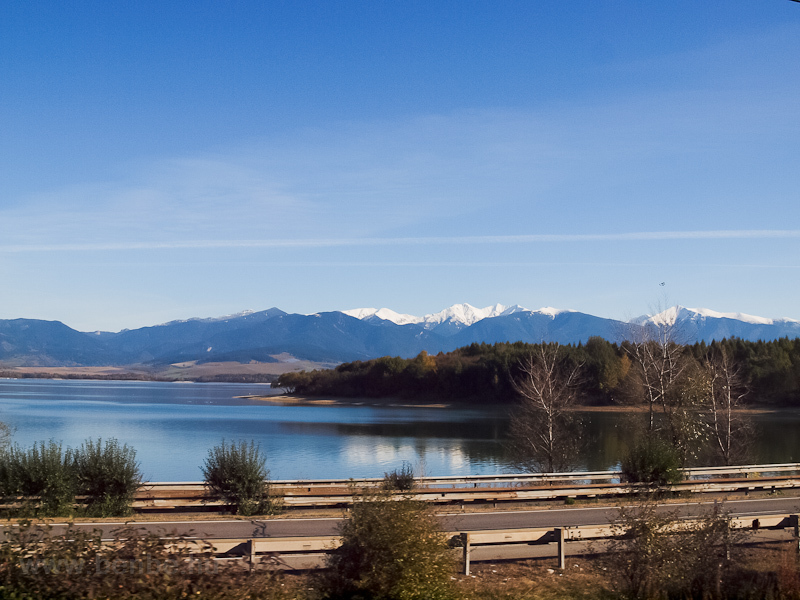 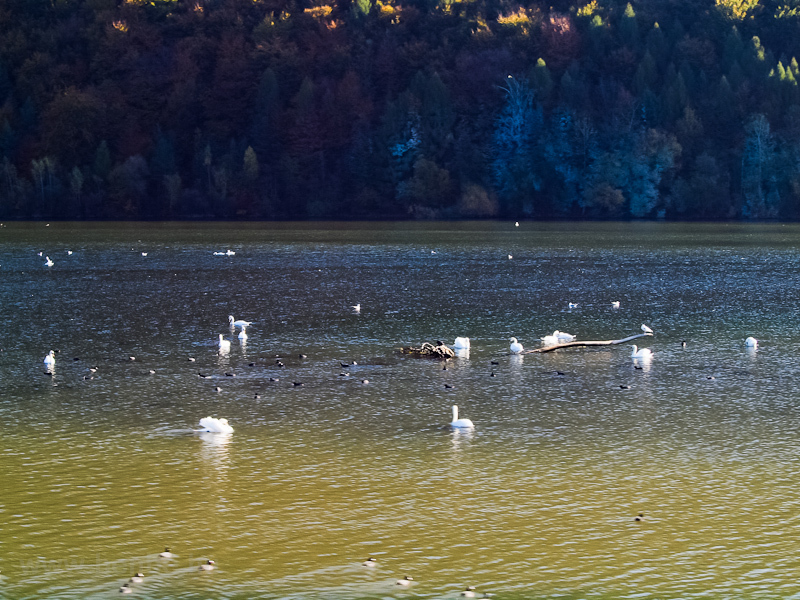 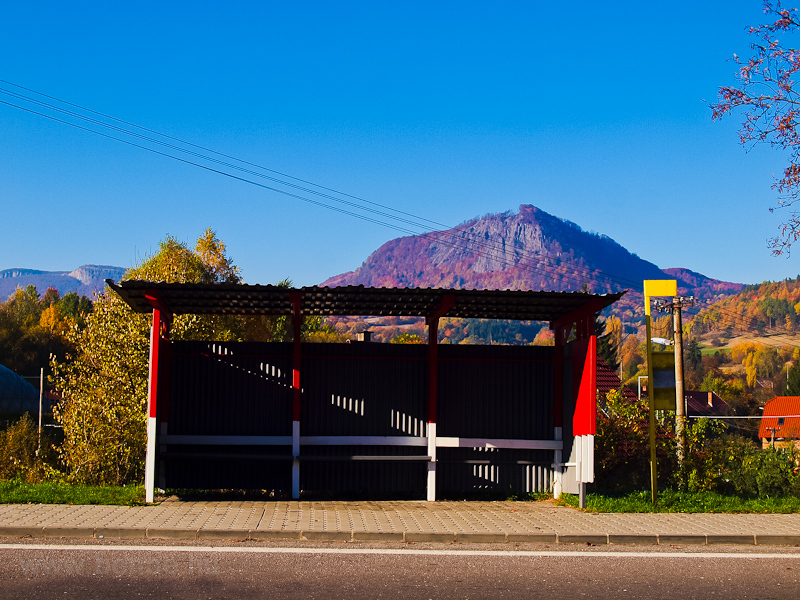 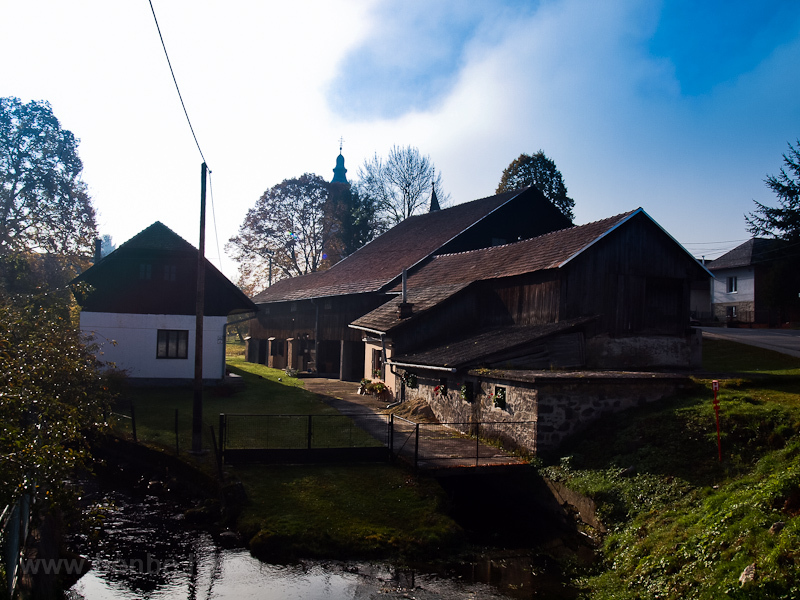 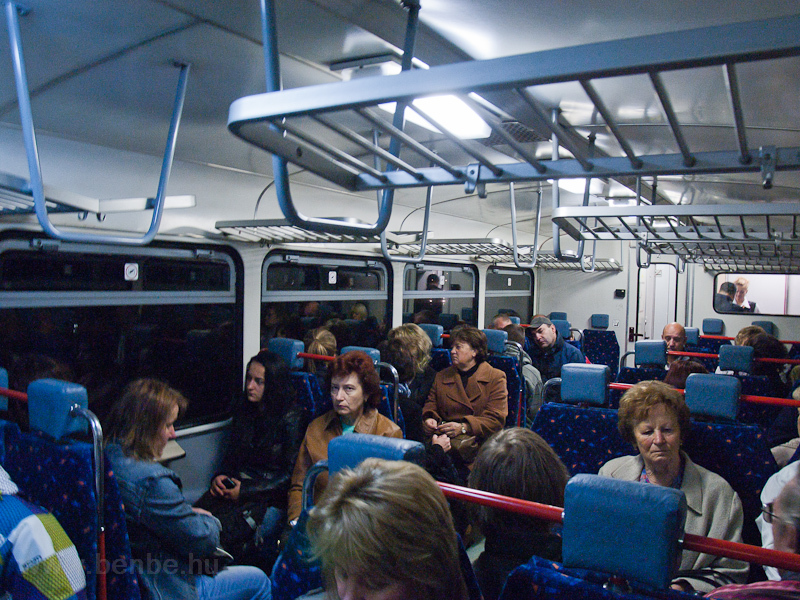 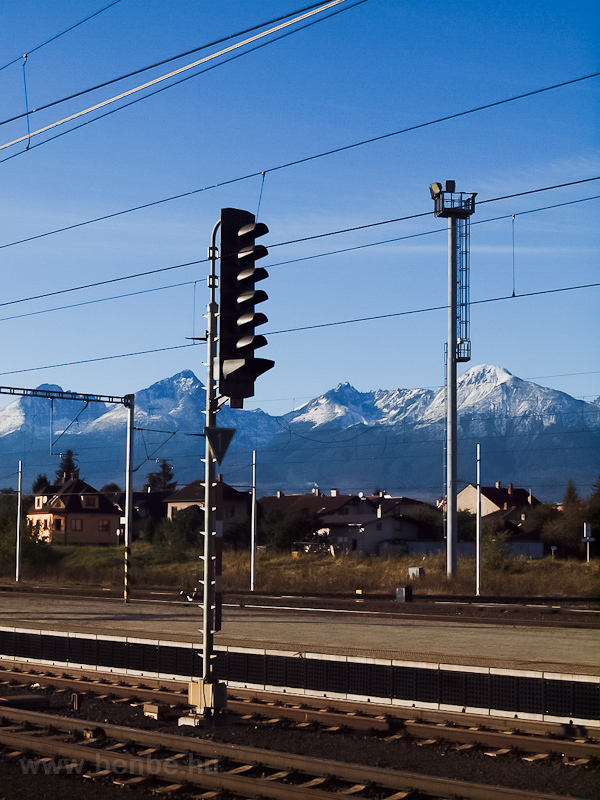 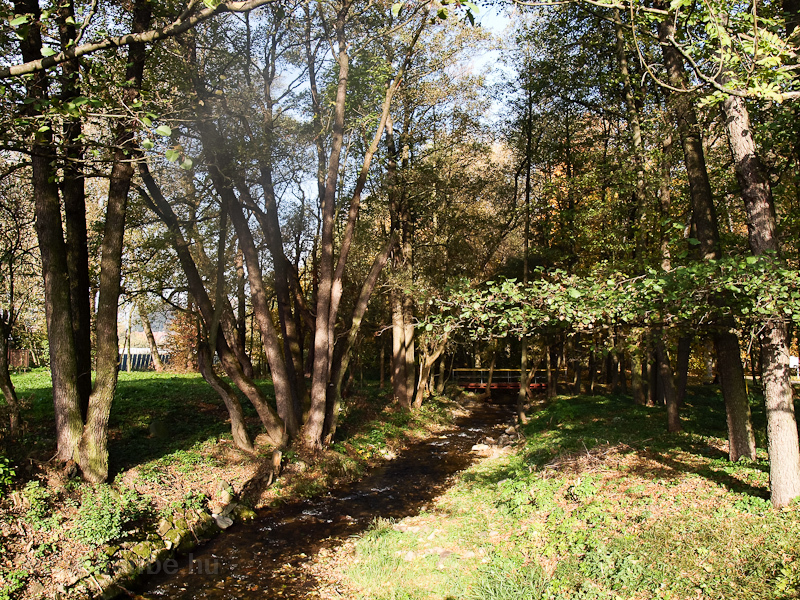 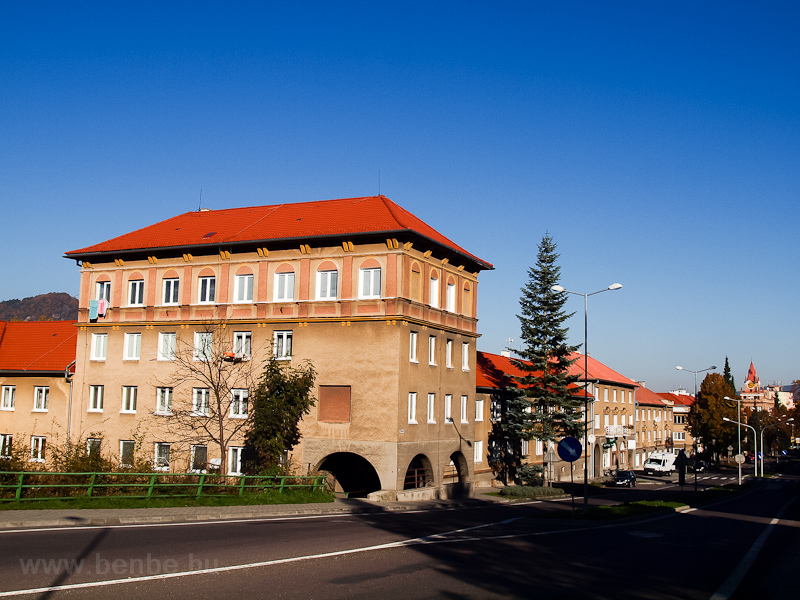 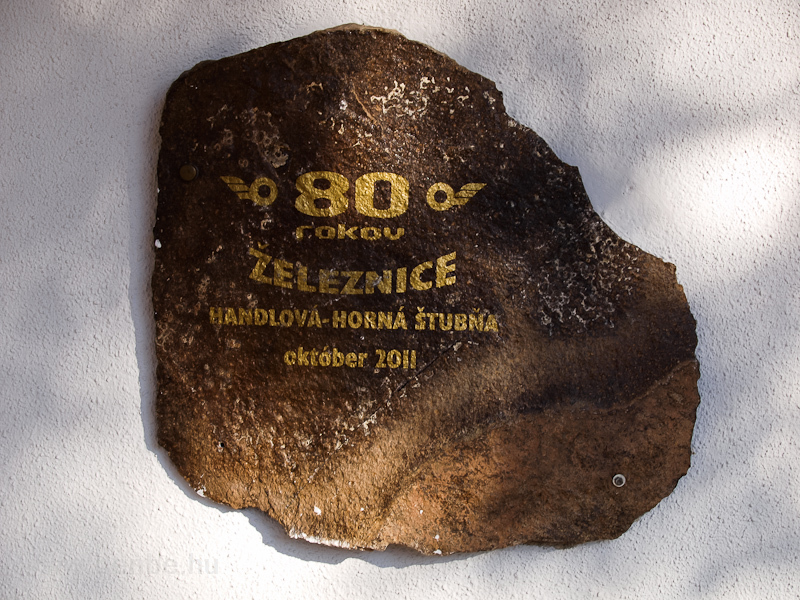 Two trips to Prievidza and on to the High Tatras and Horná Stubna. 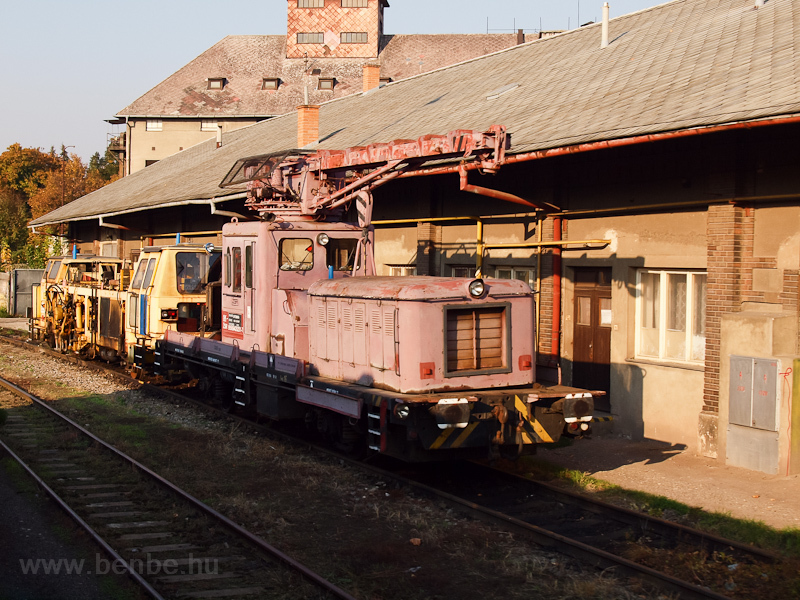 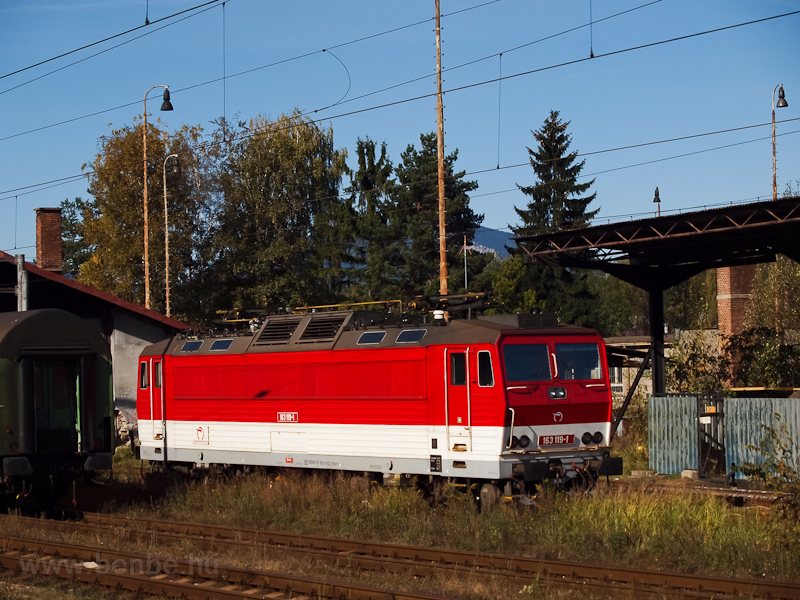 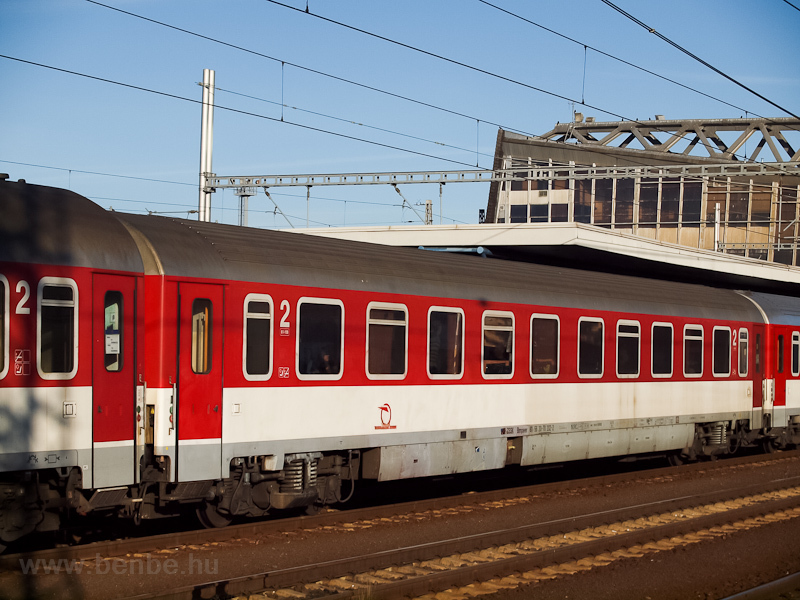 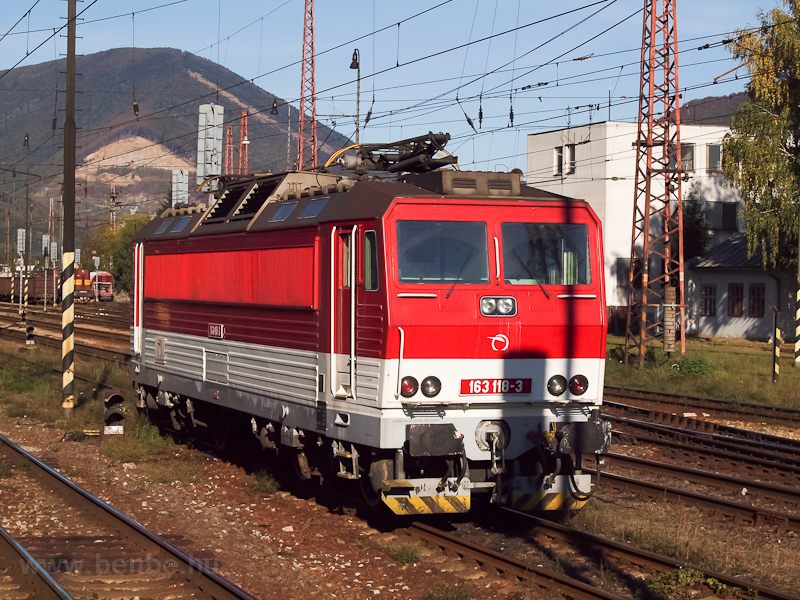 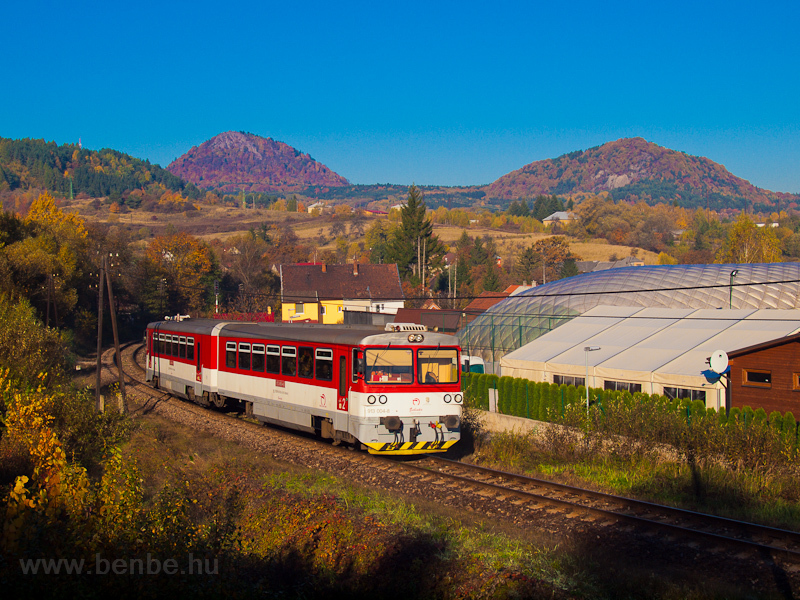 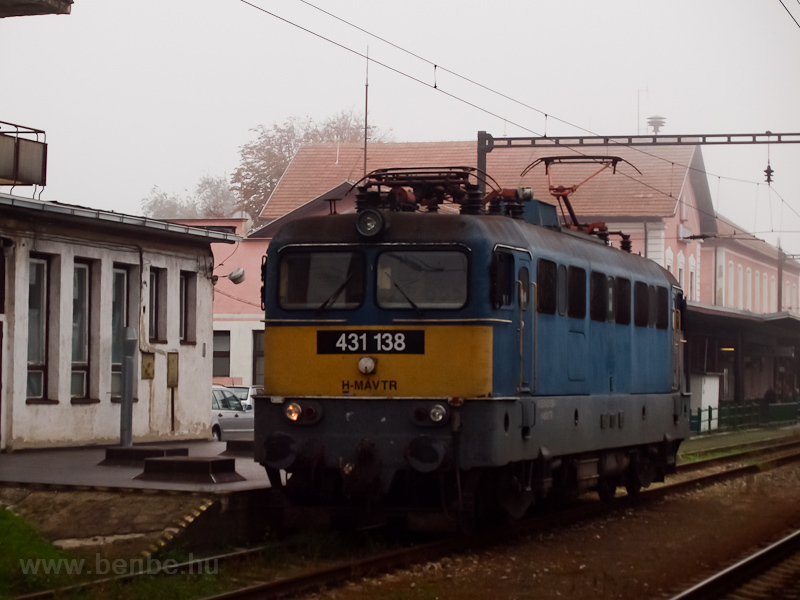 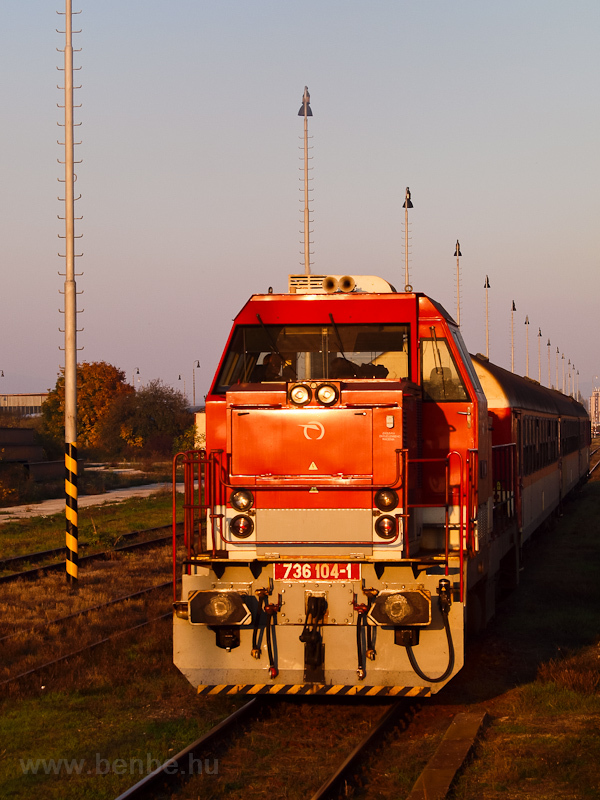 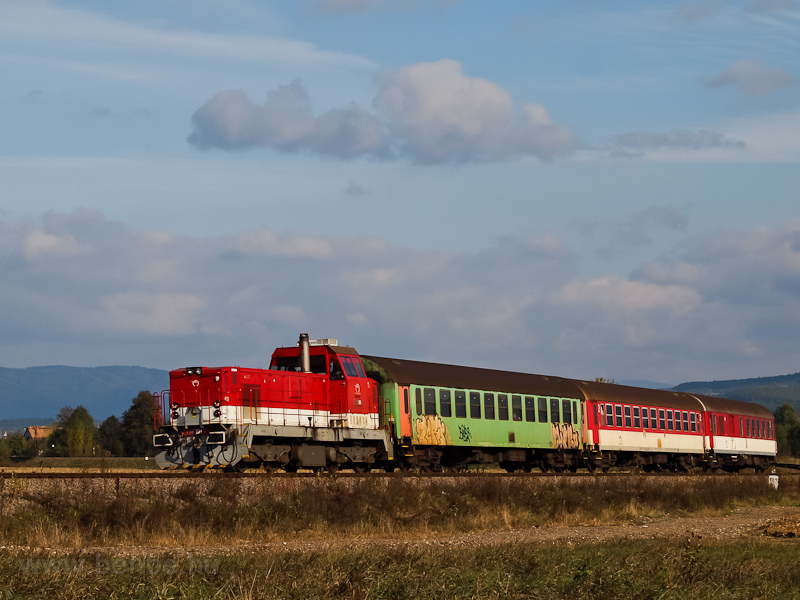 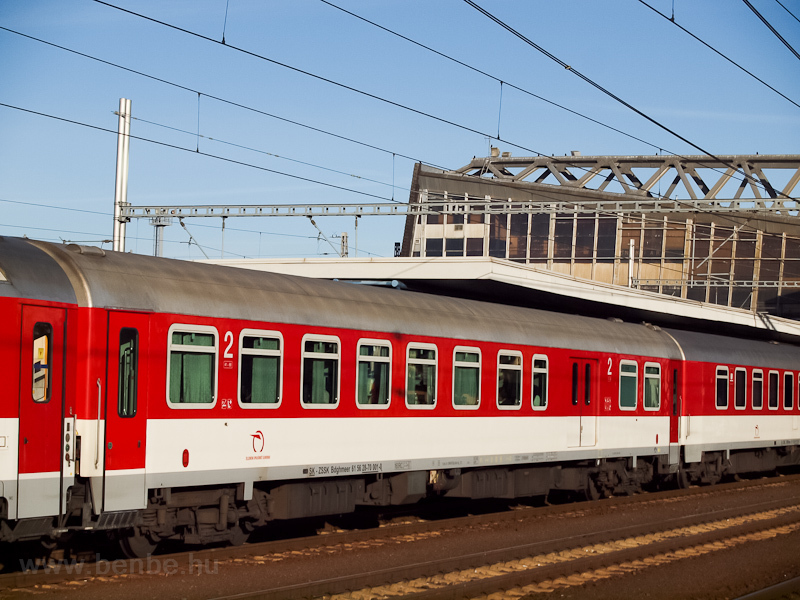 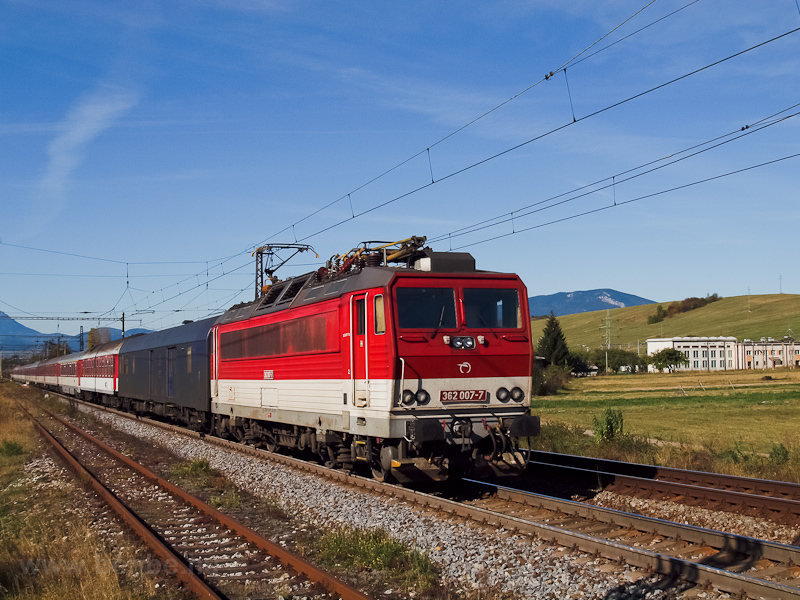 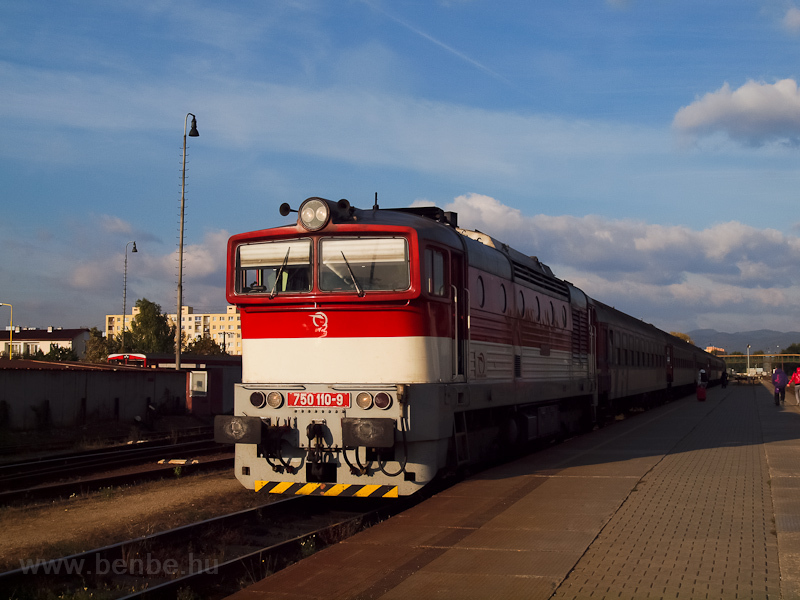 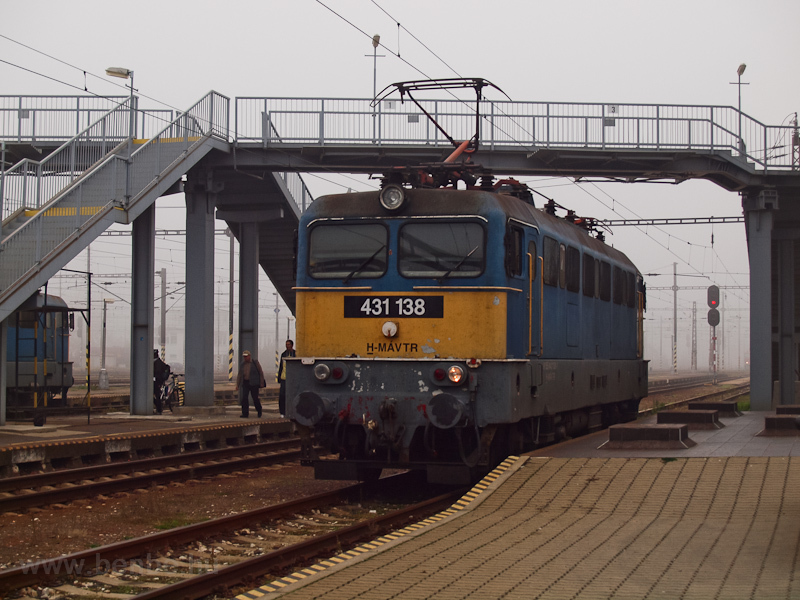 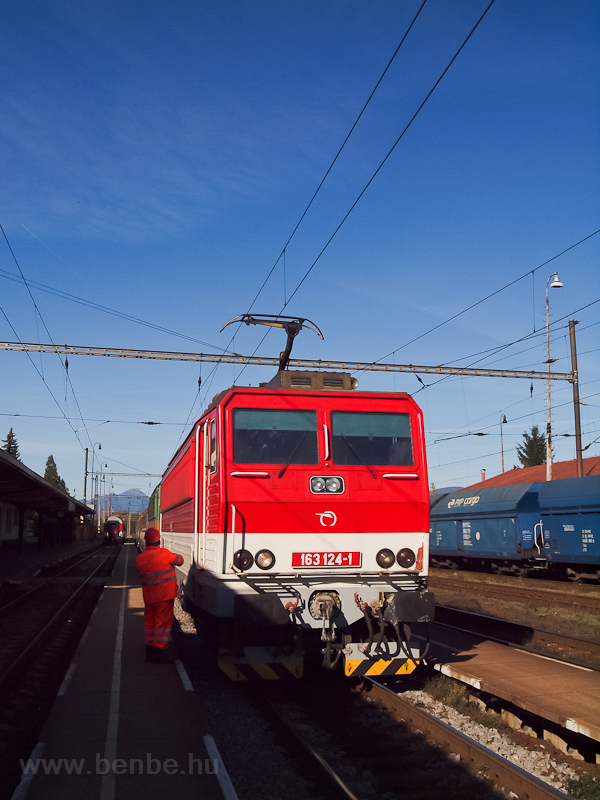 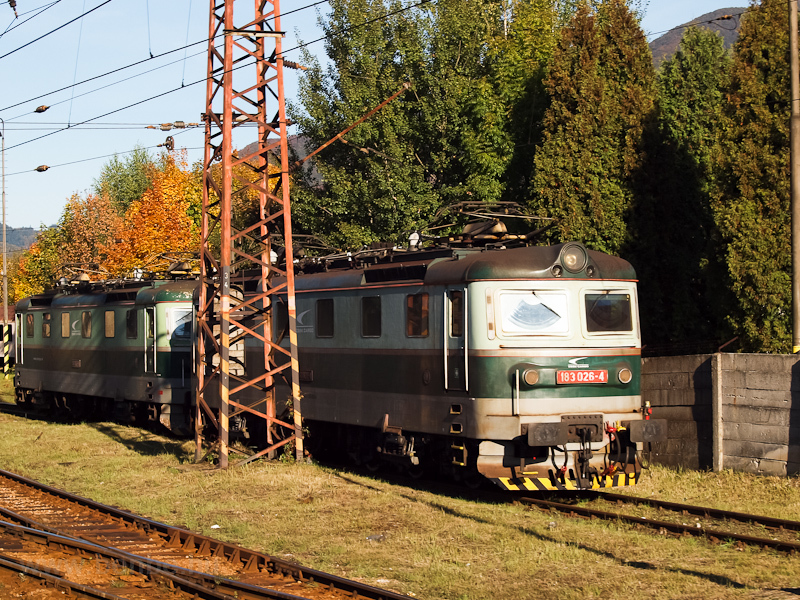 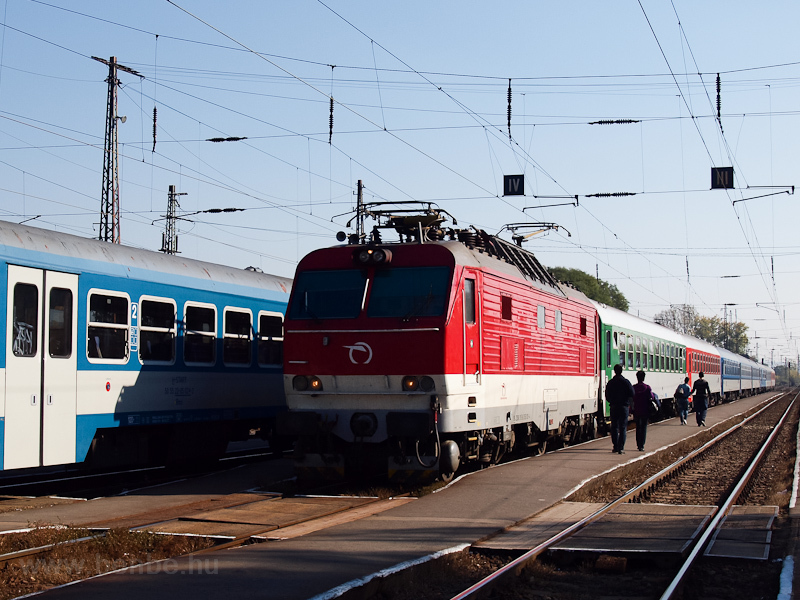 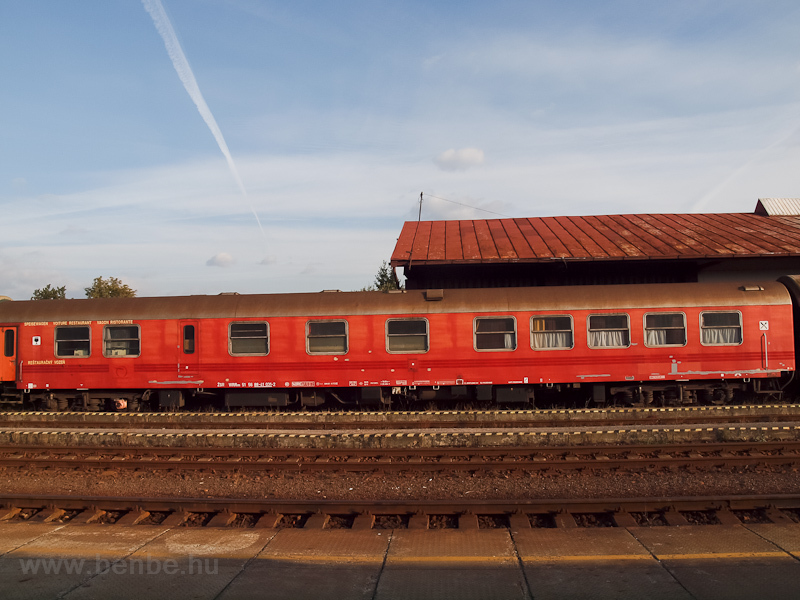 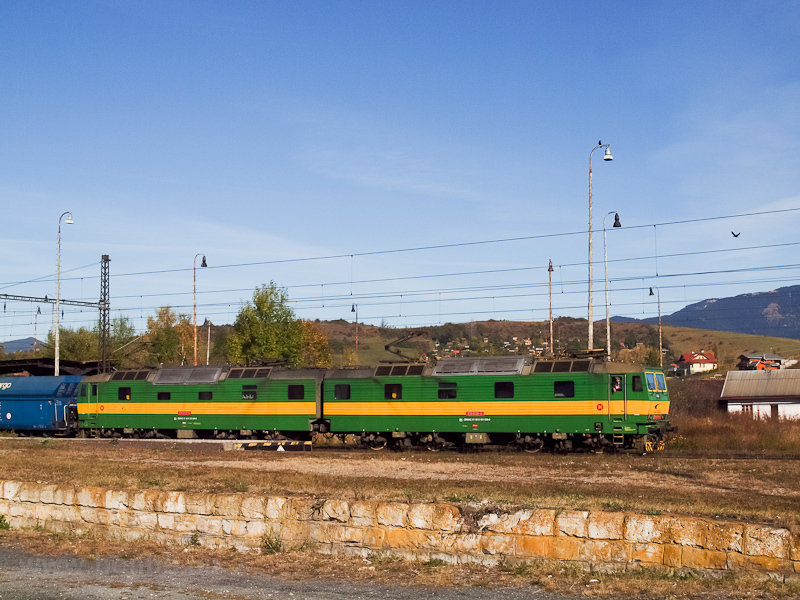 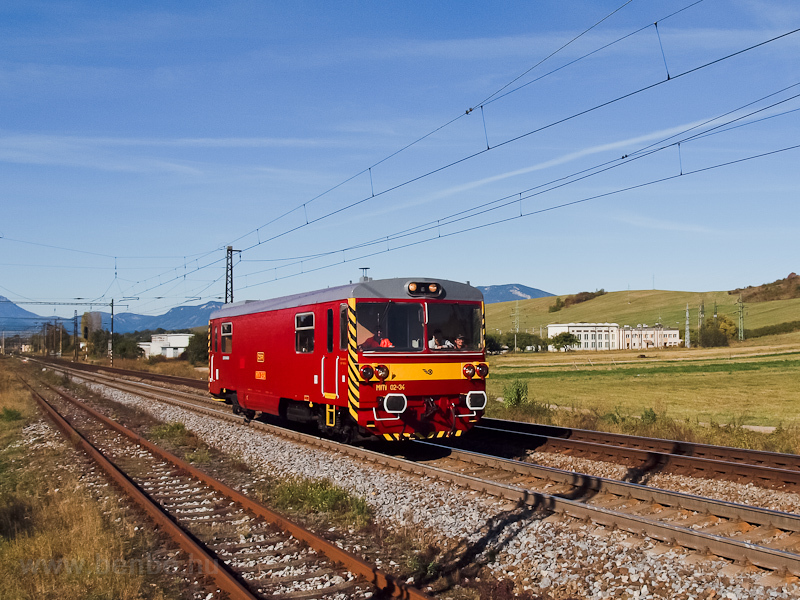 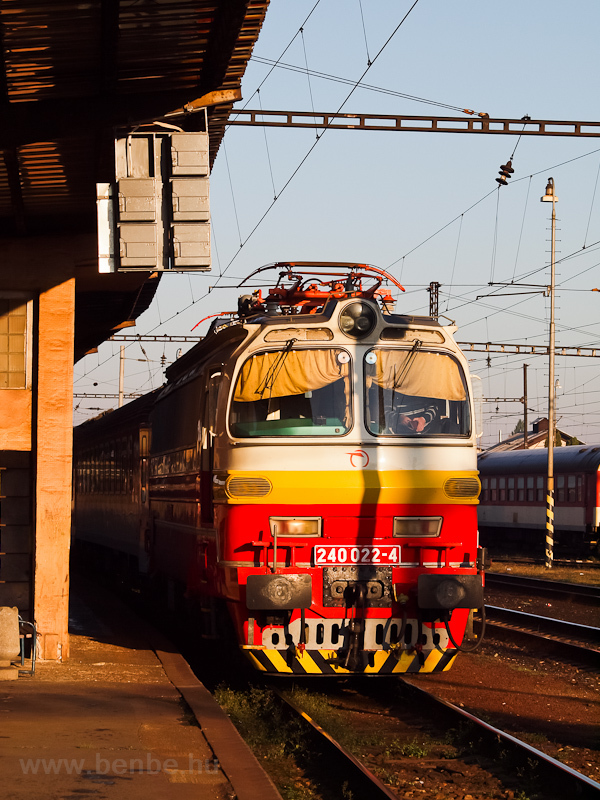 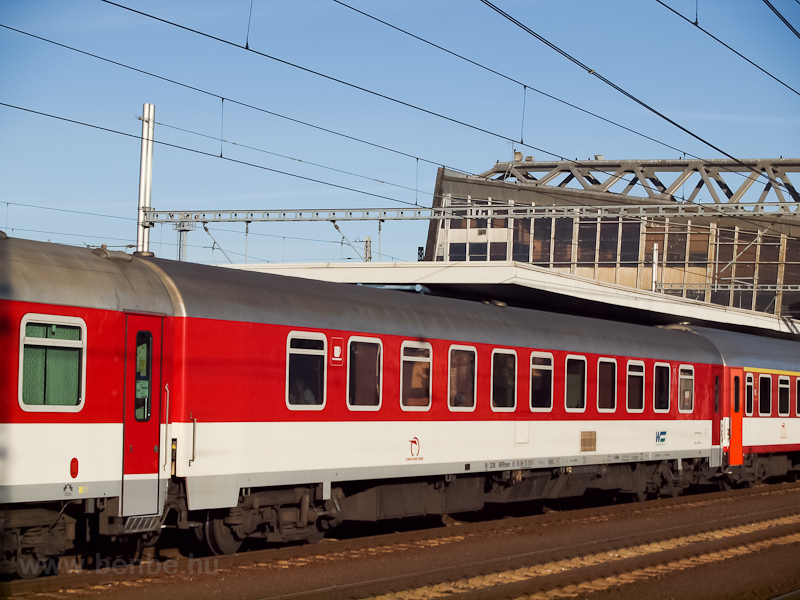 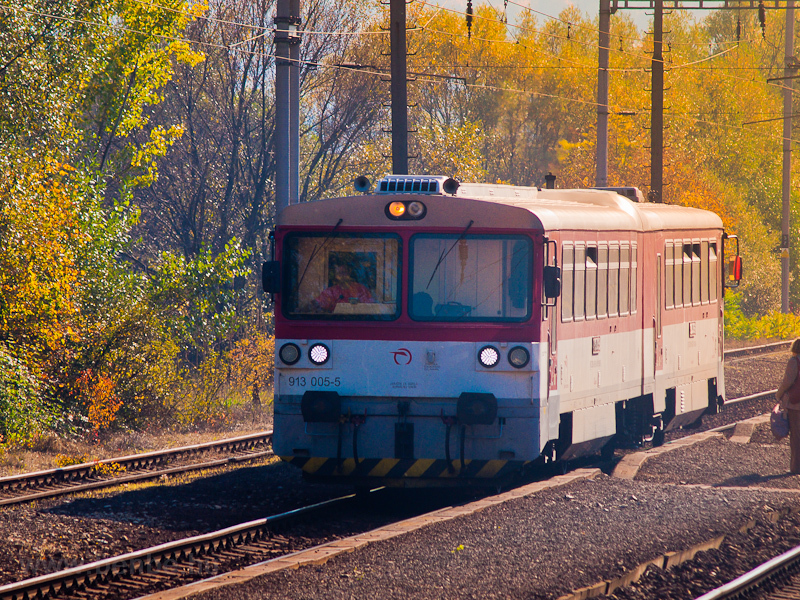 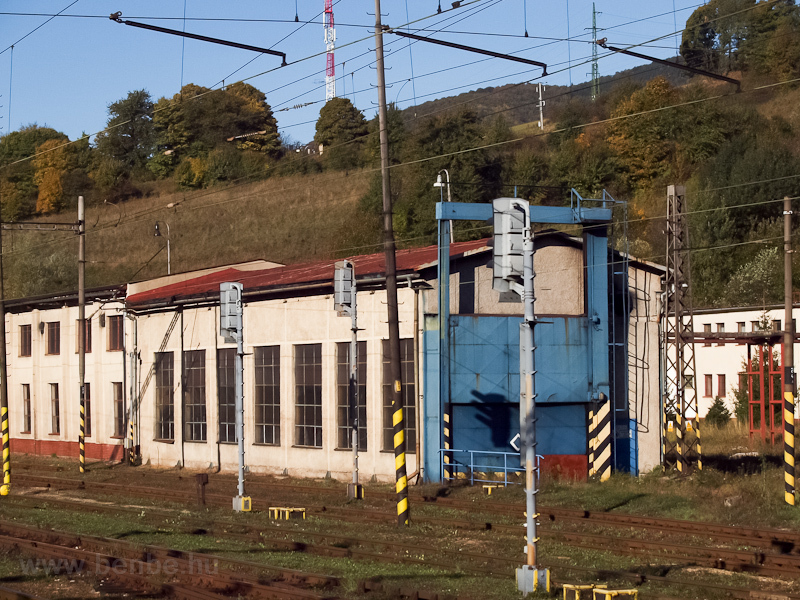 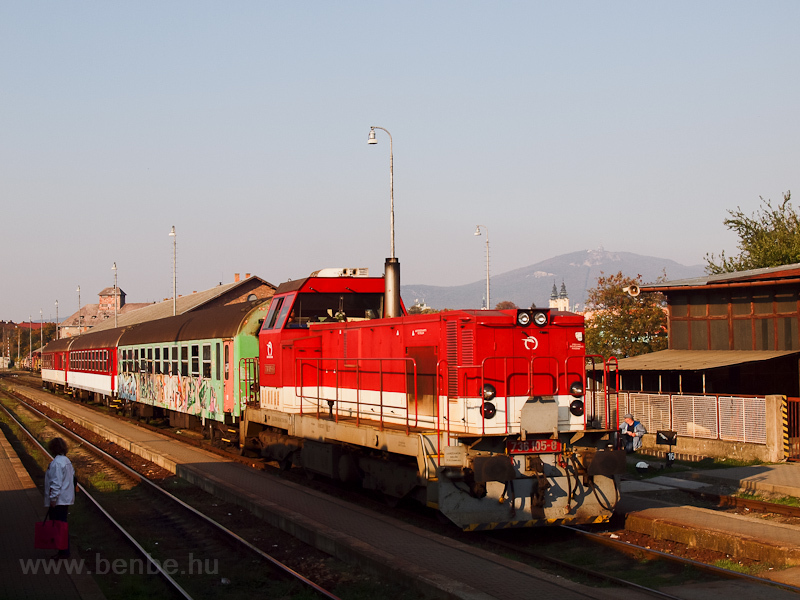 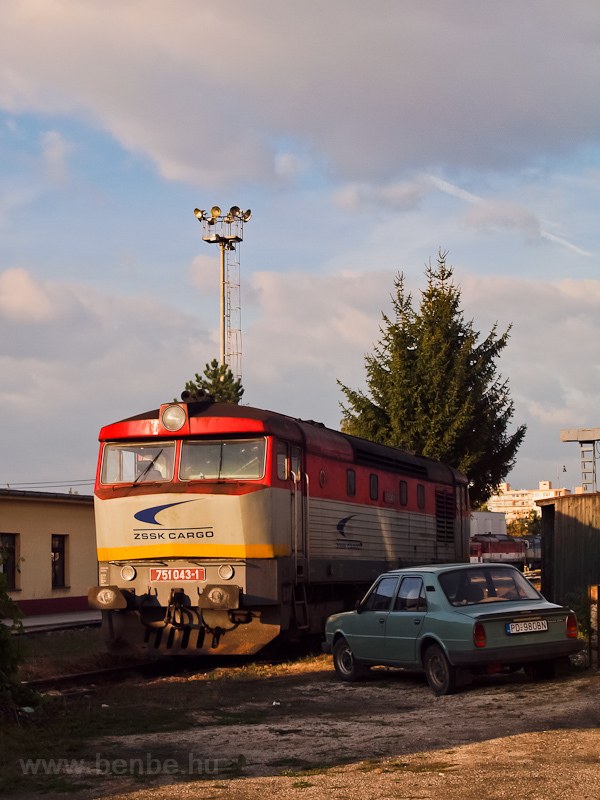 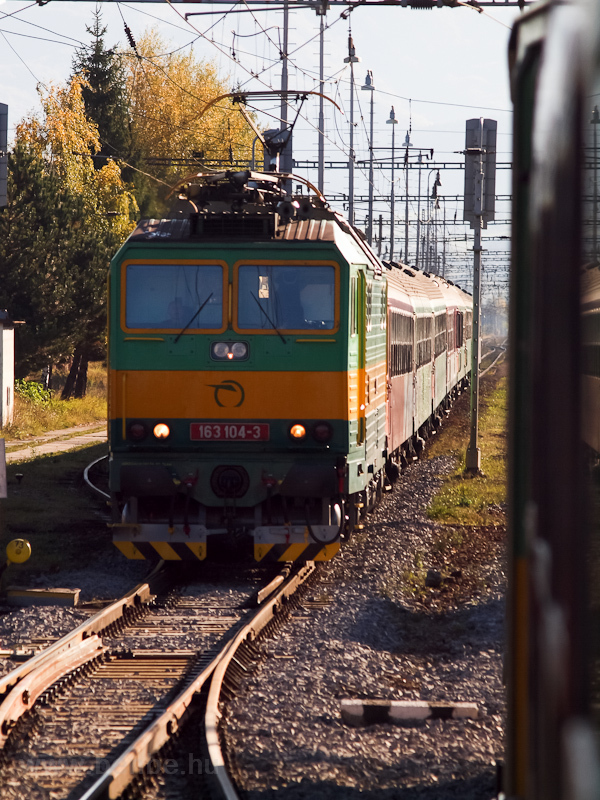 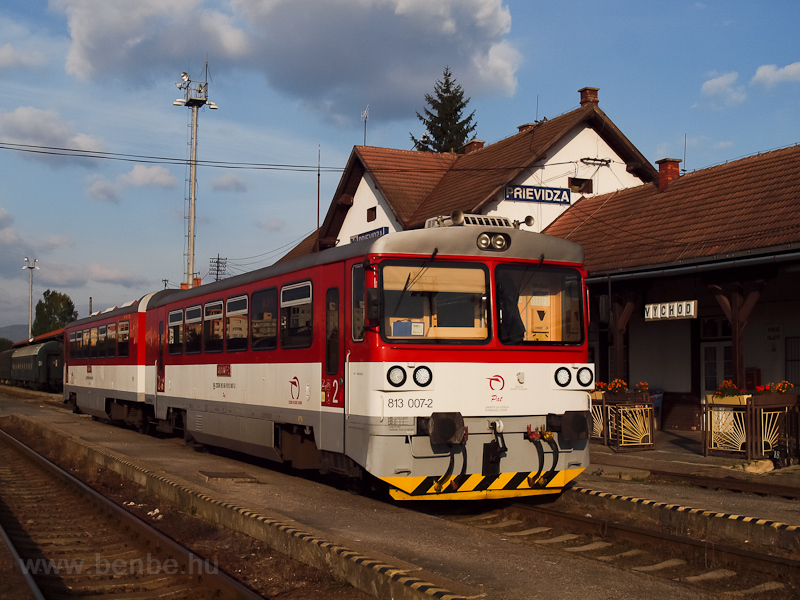 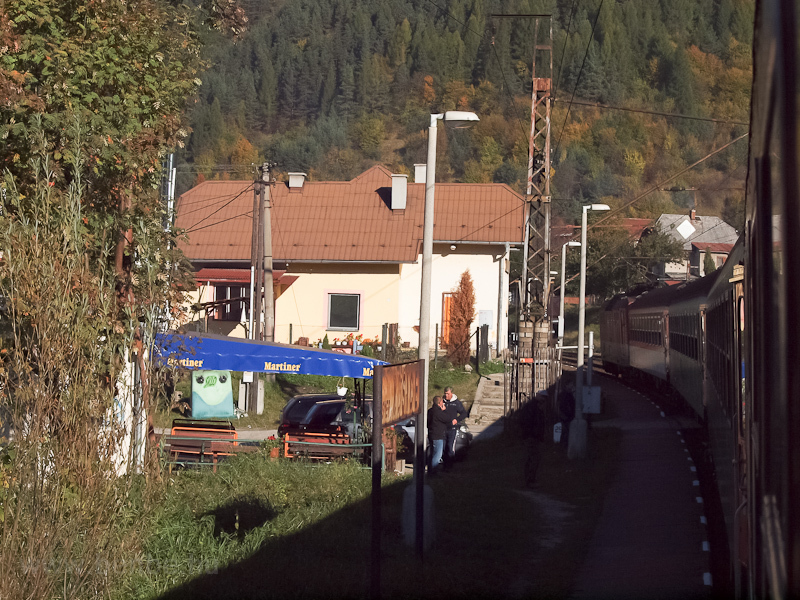 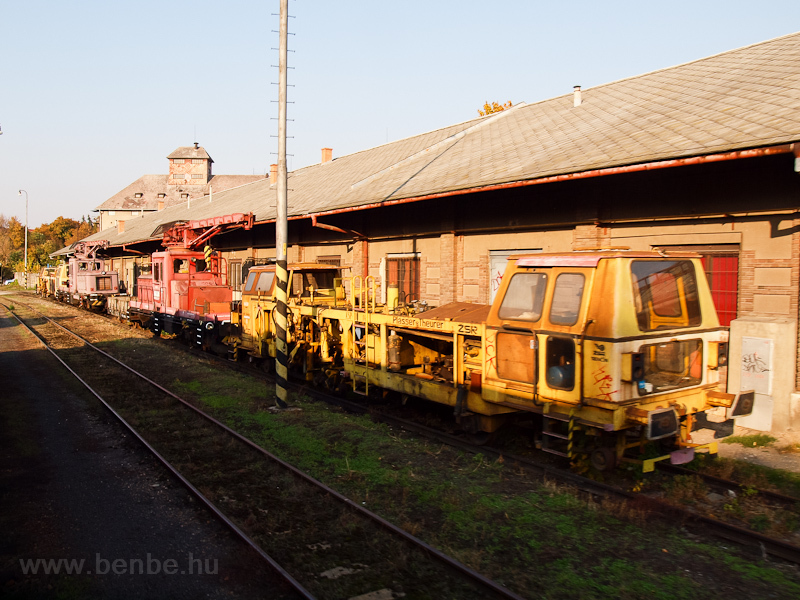 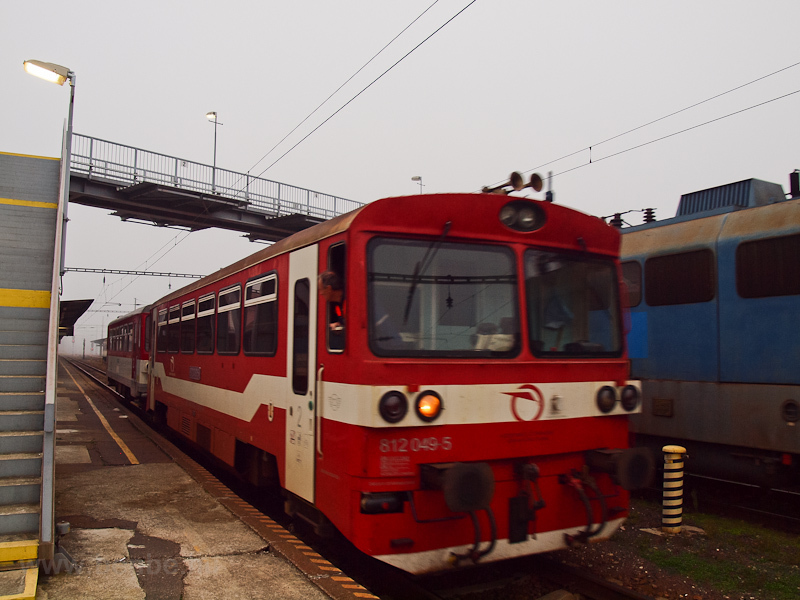 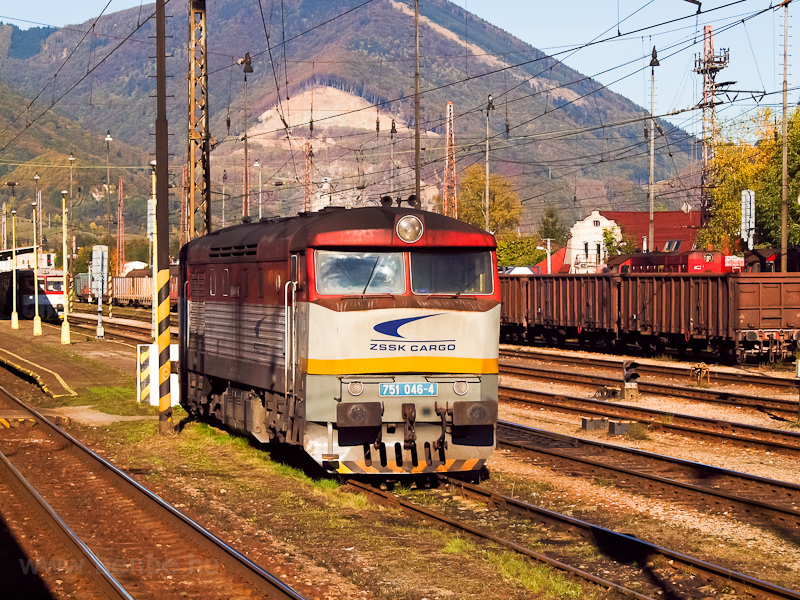 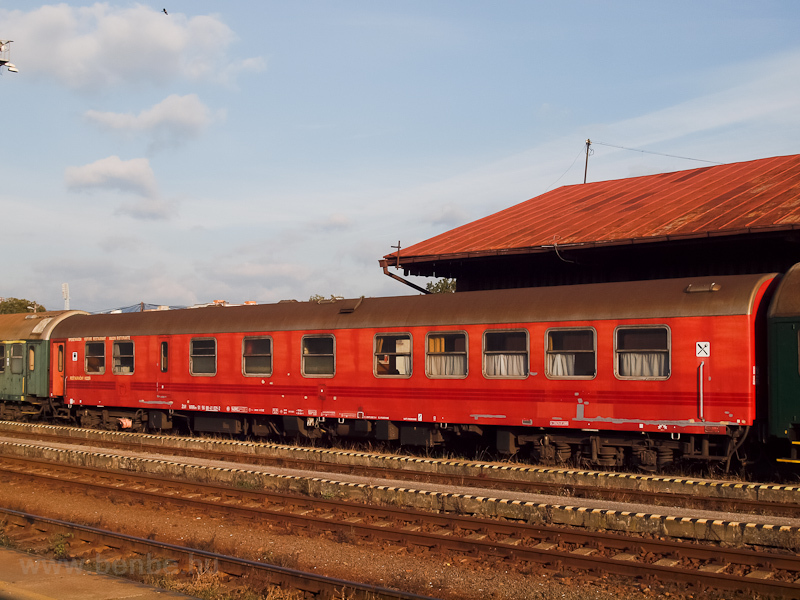 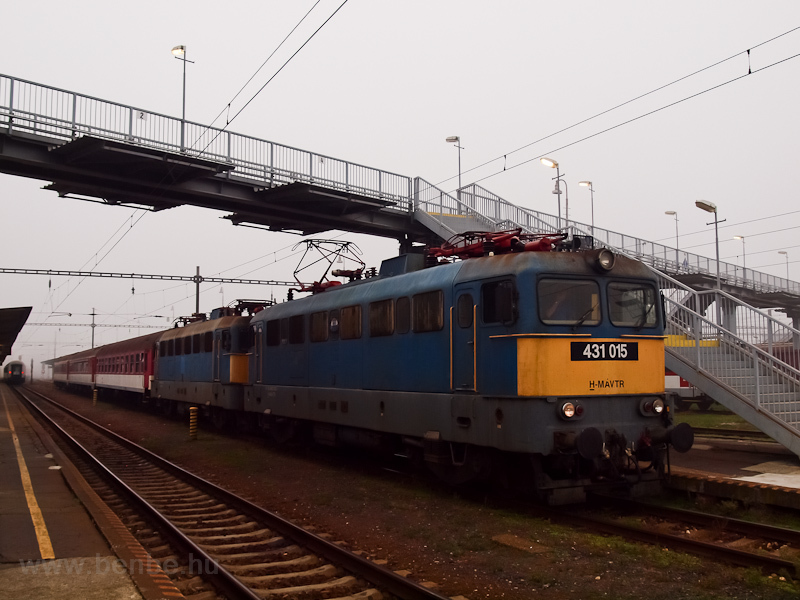 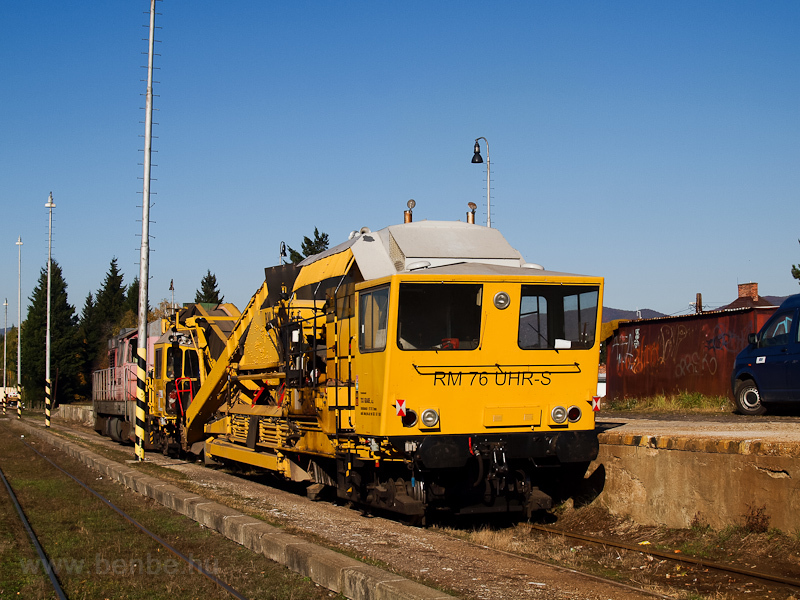 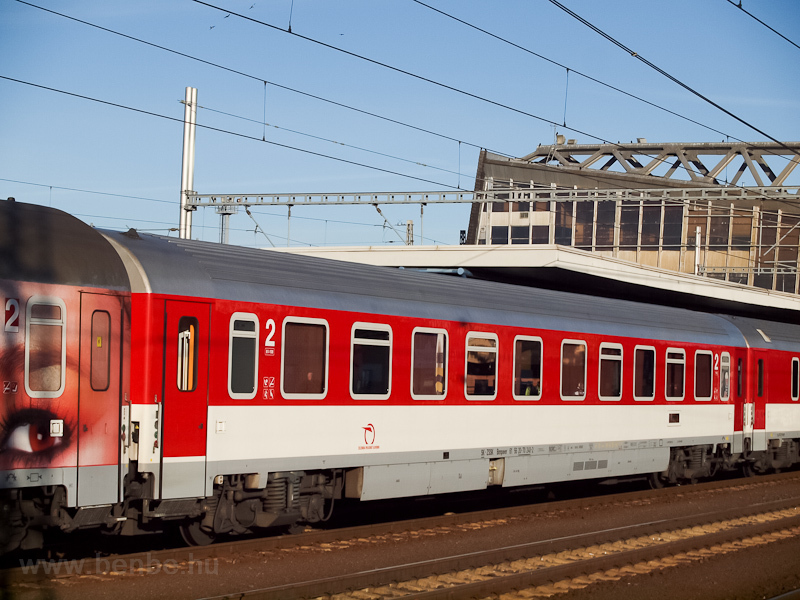 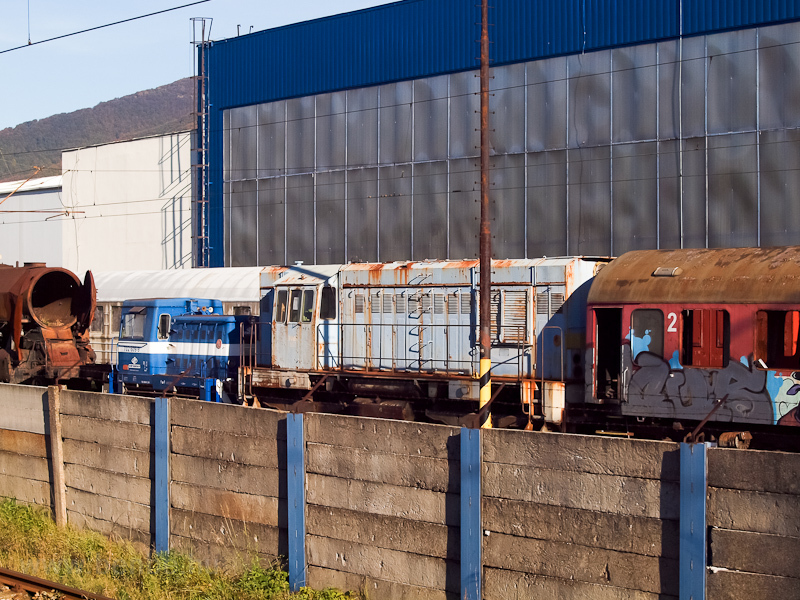 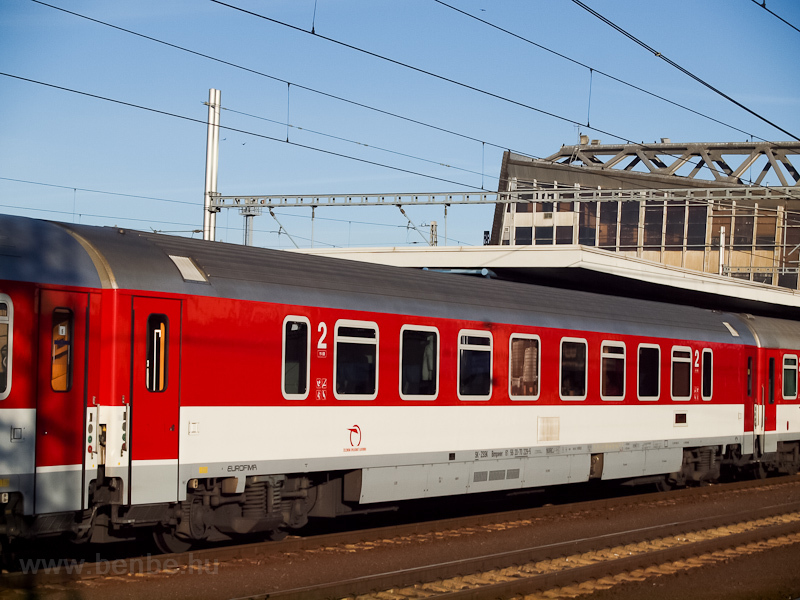 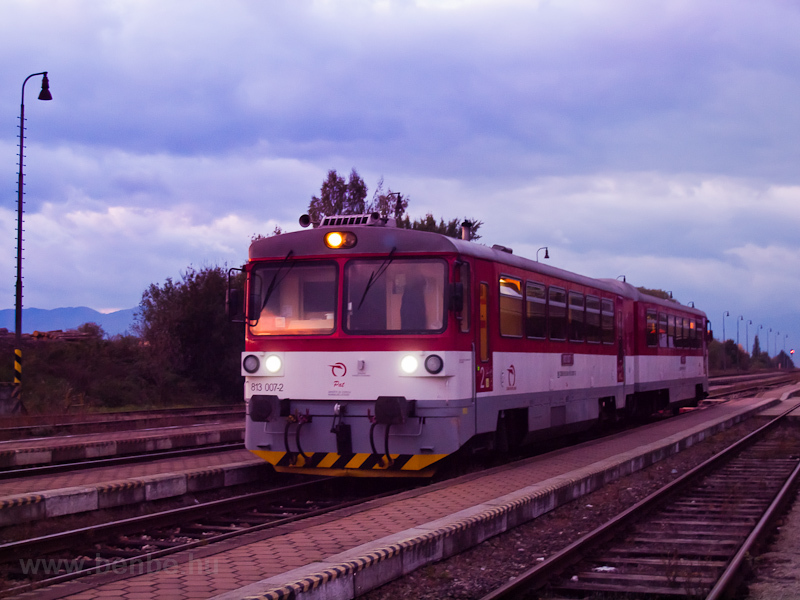 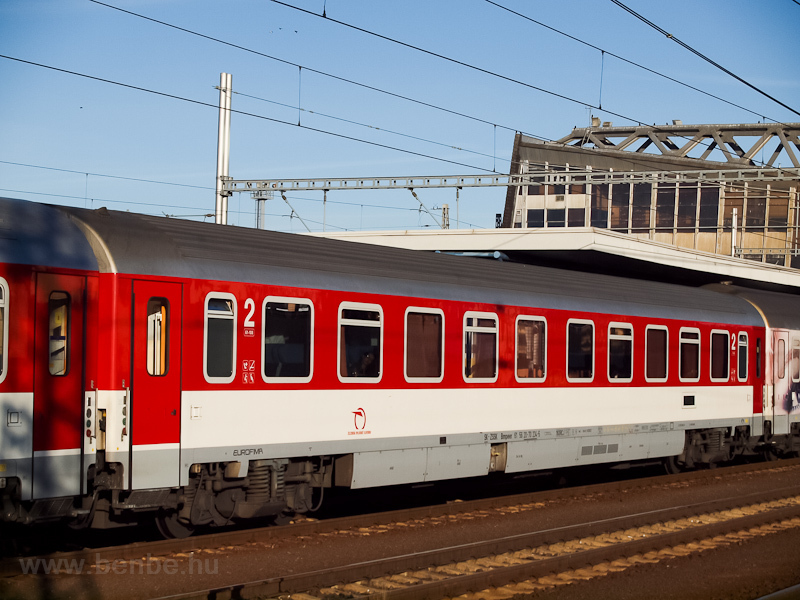 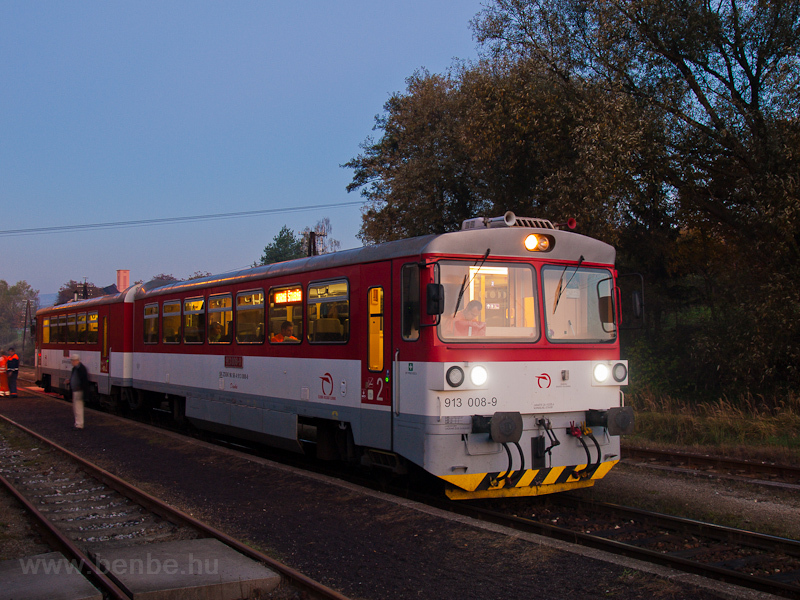 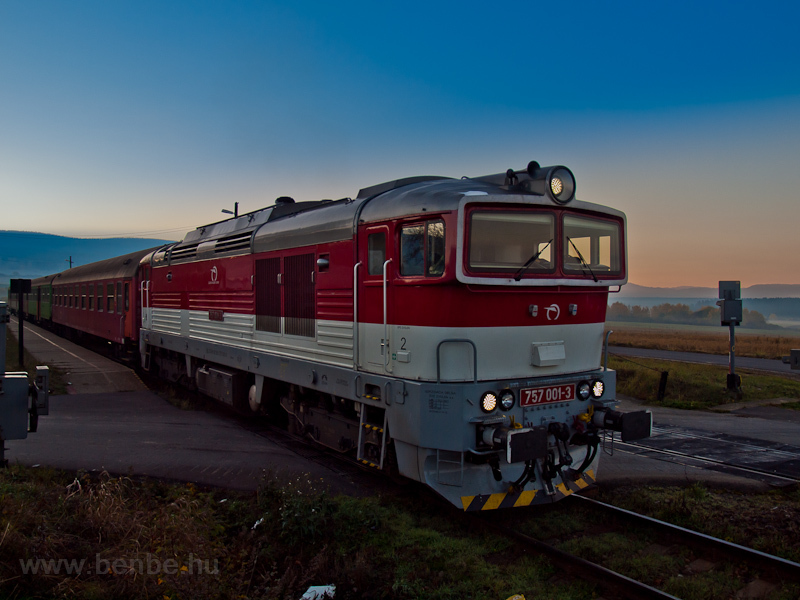 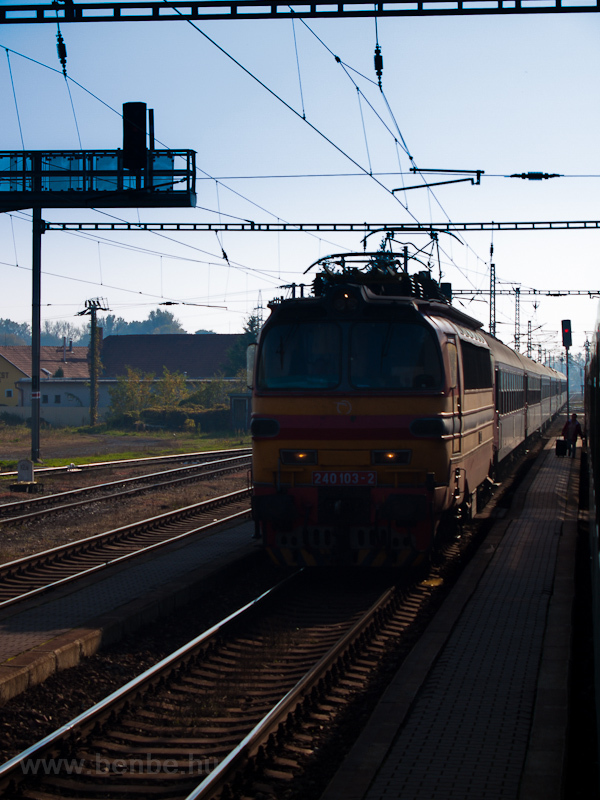 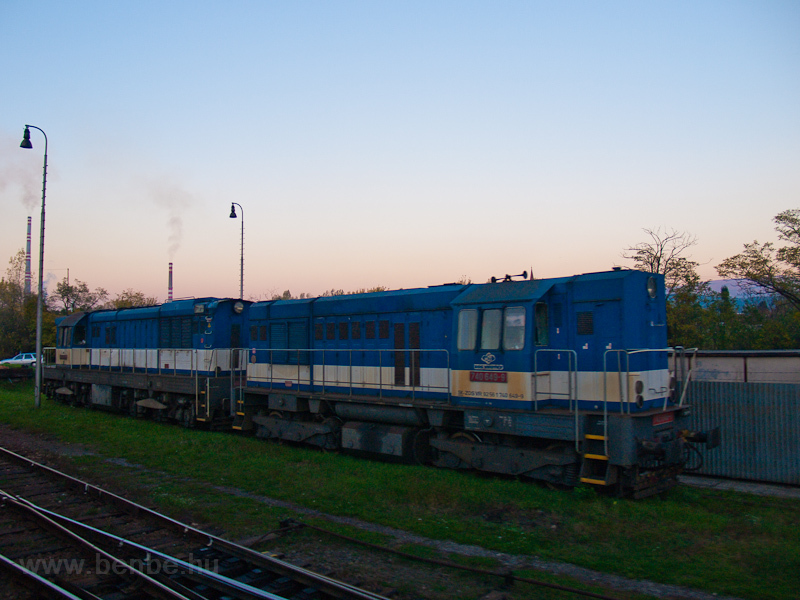 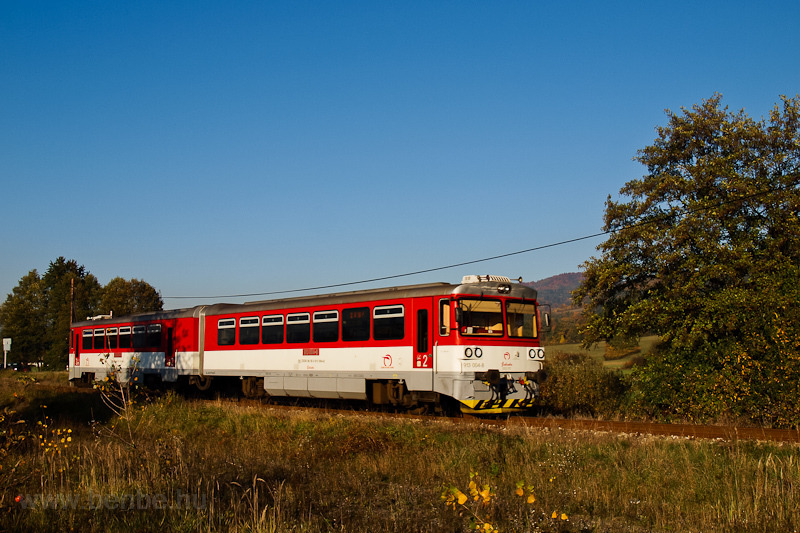 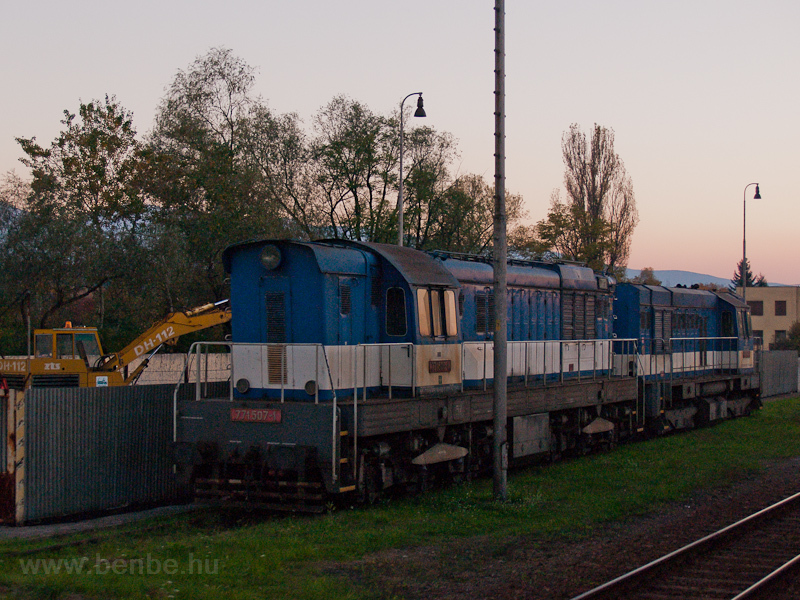 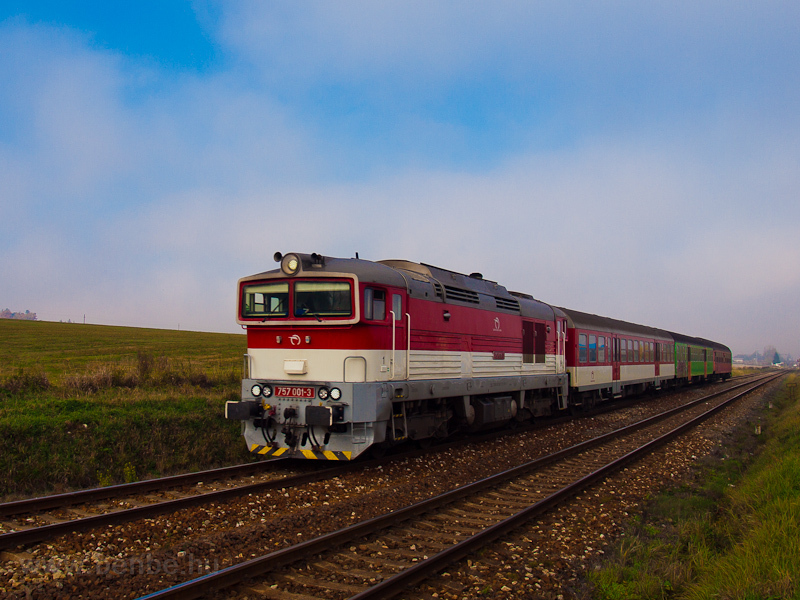 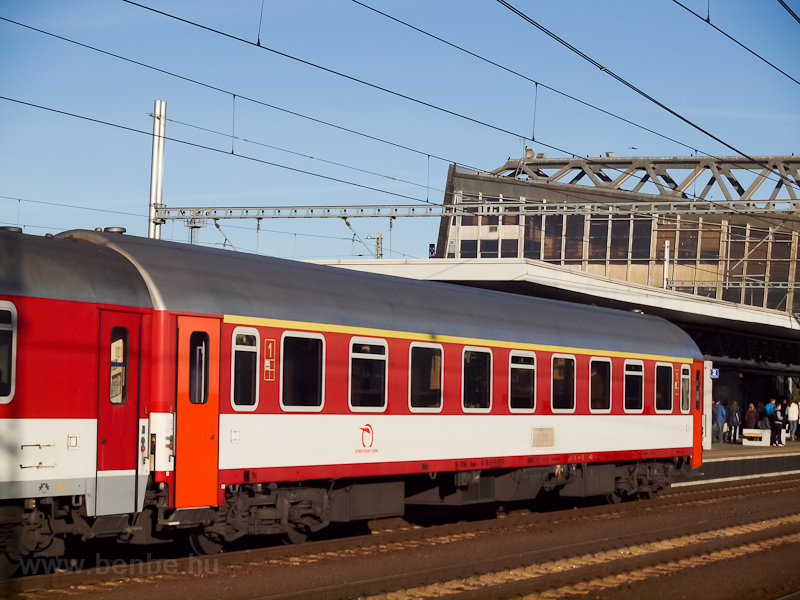 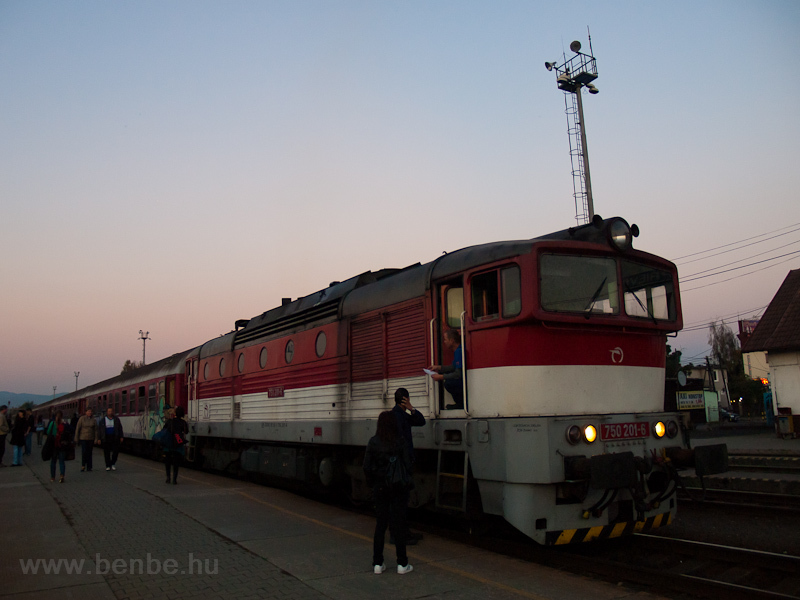 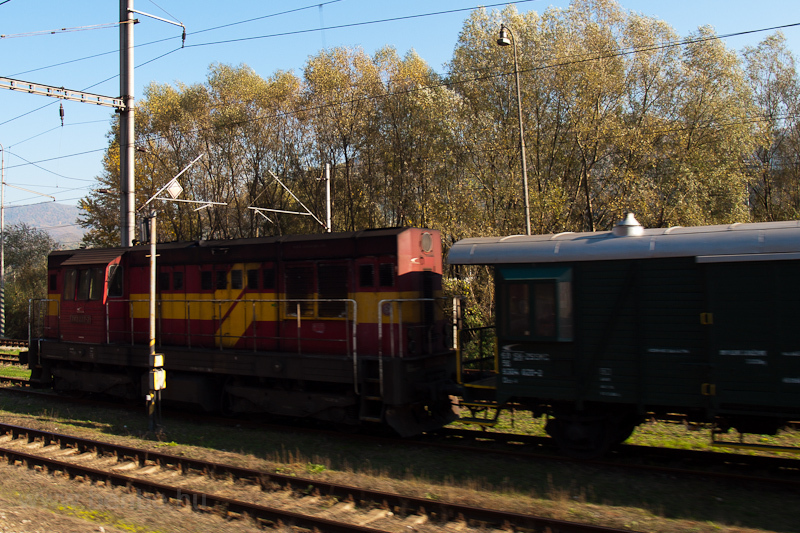 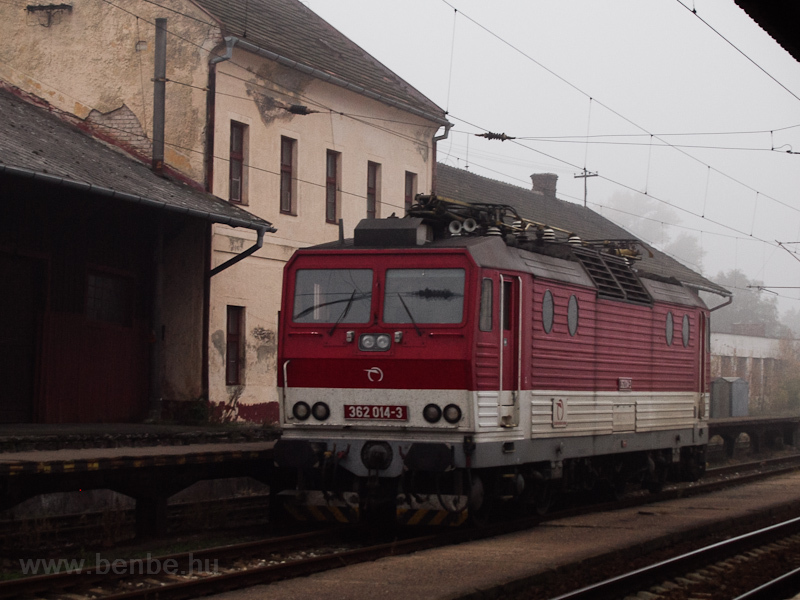 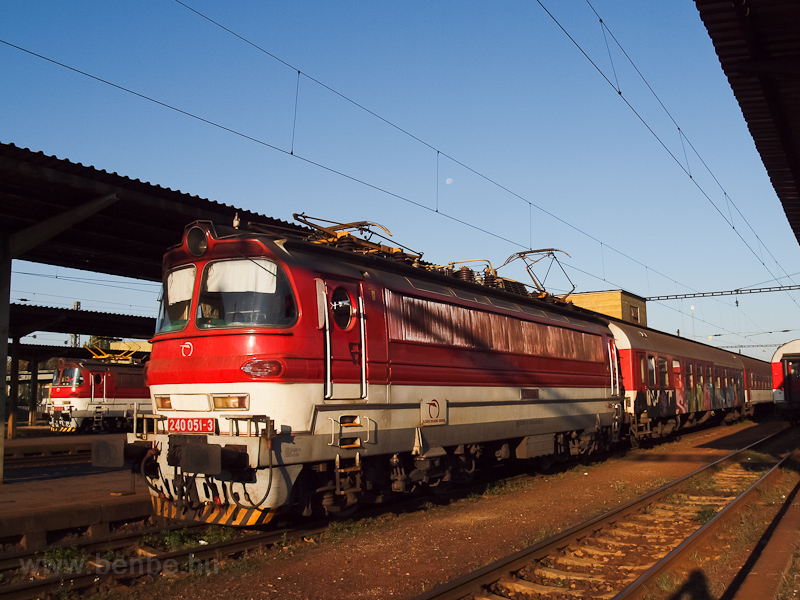 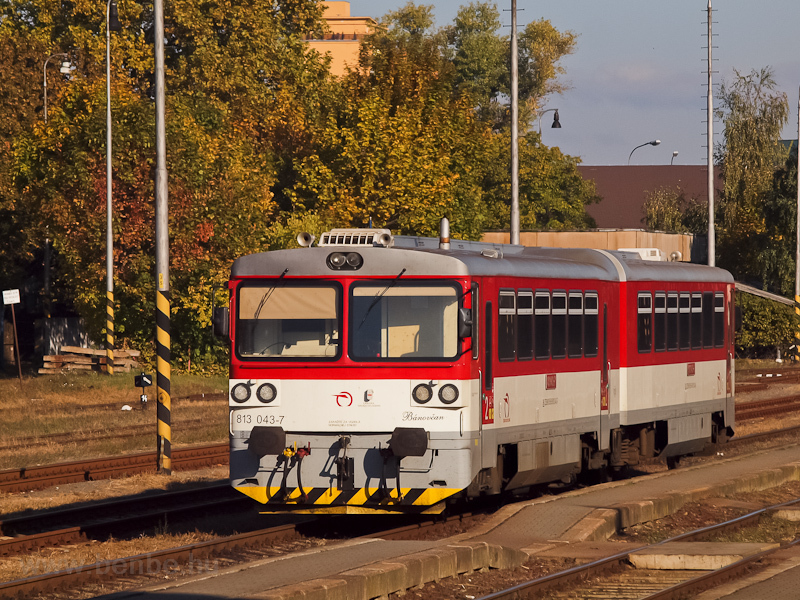 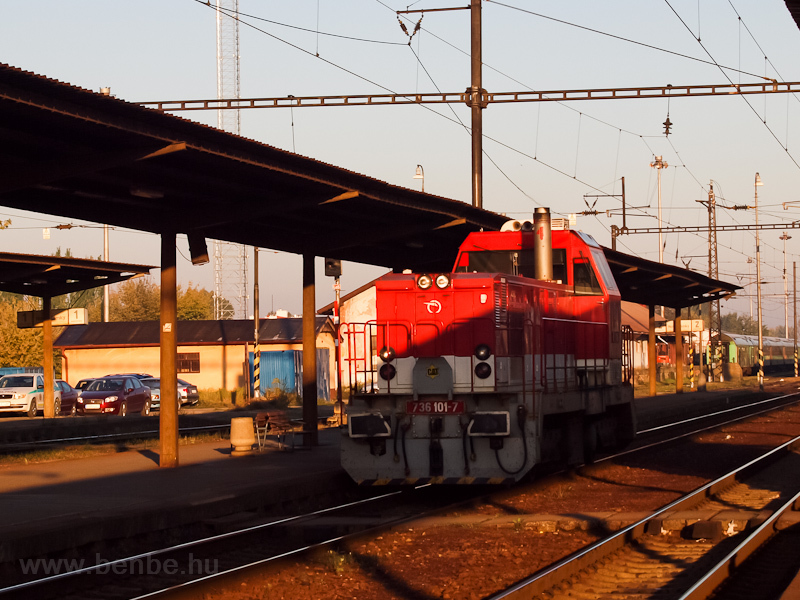 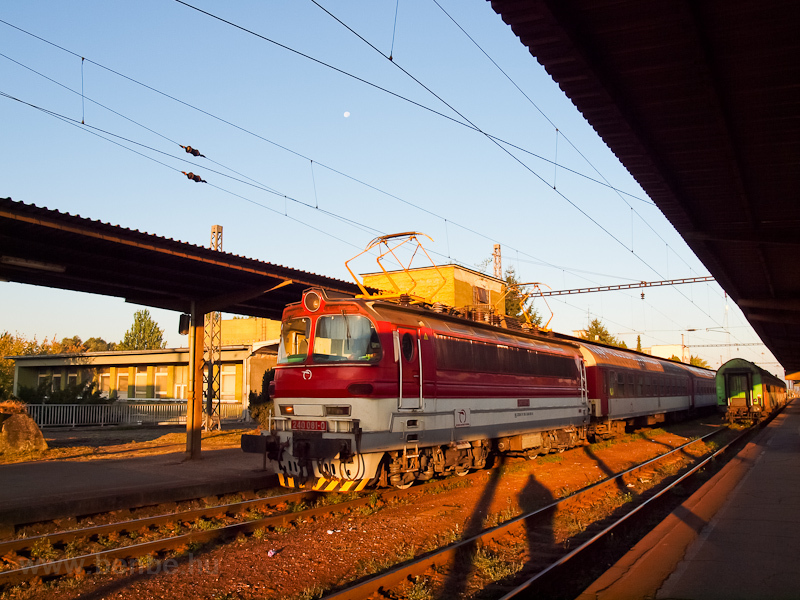 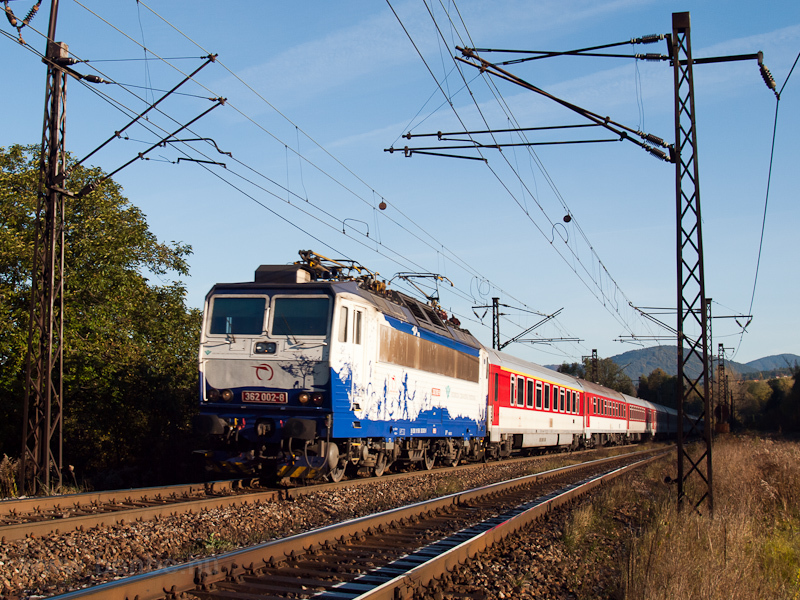 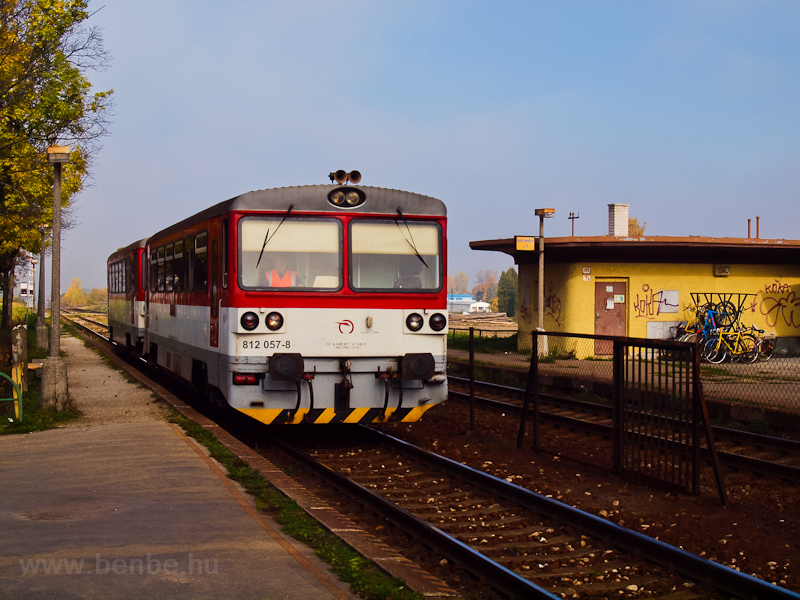 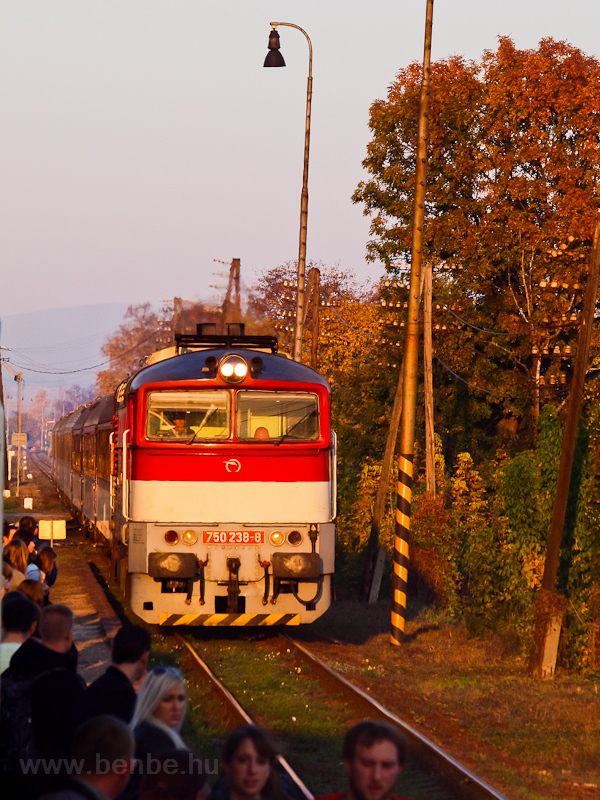 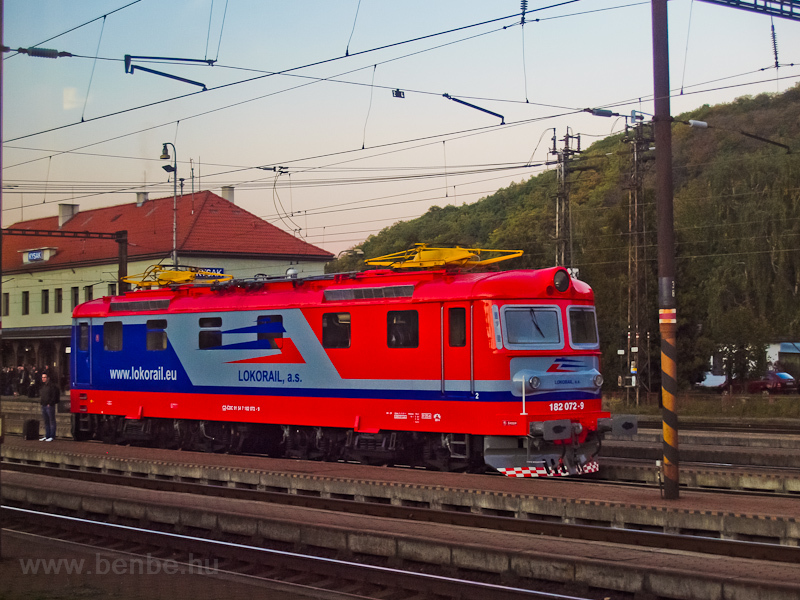 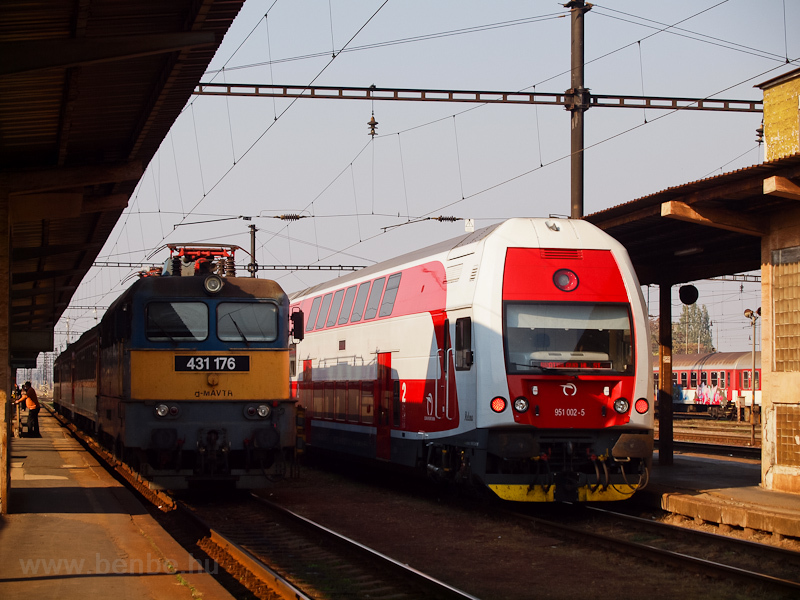 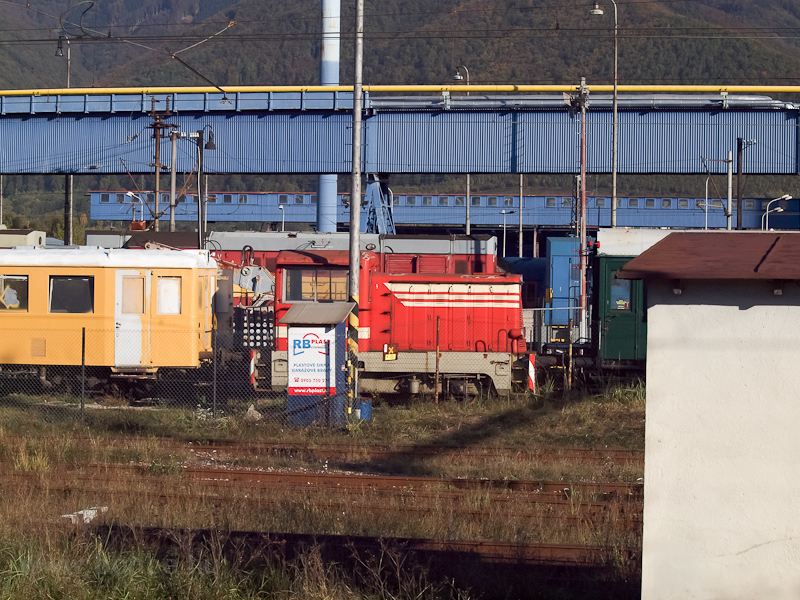 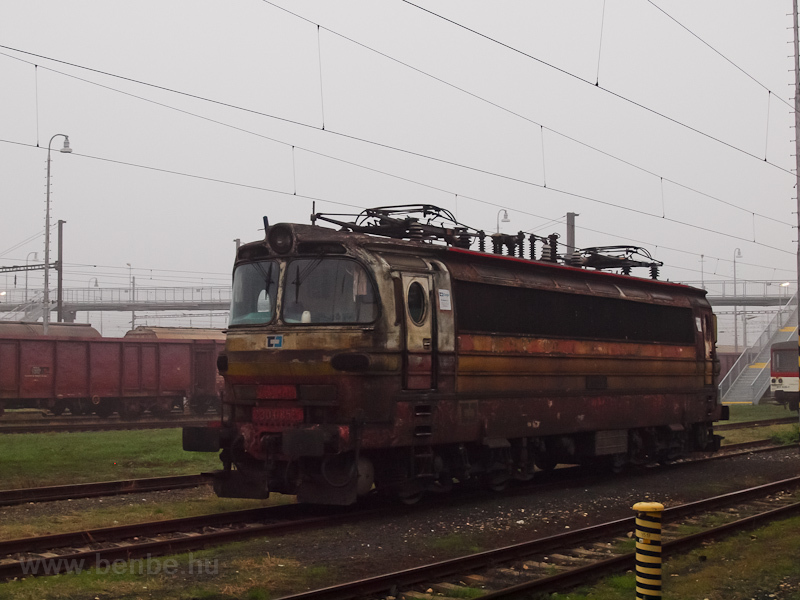 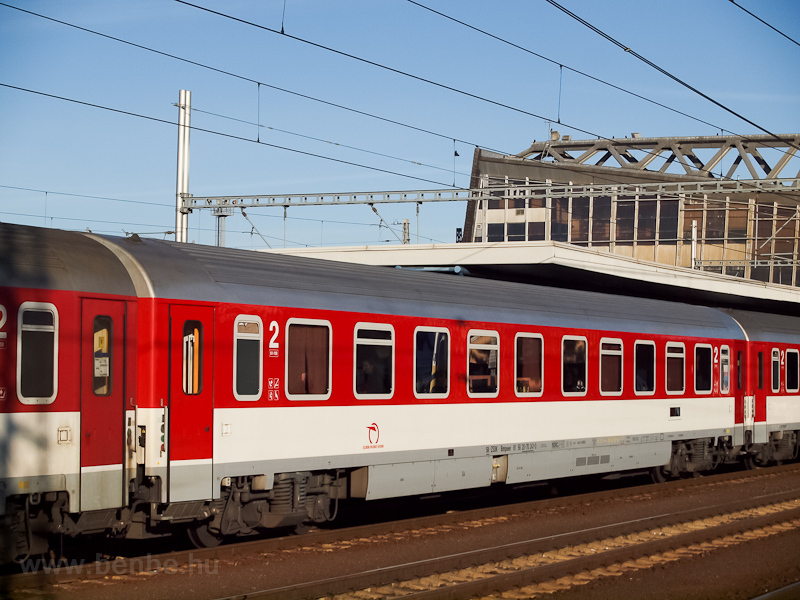 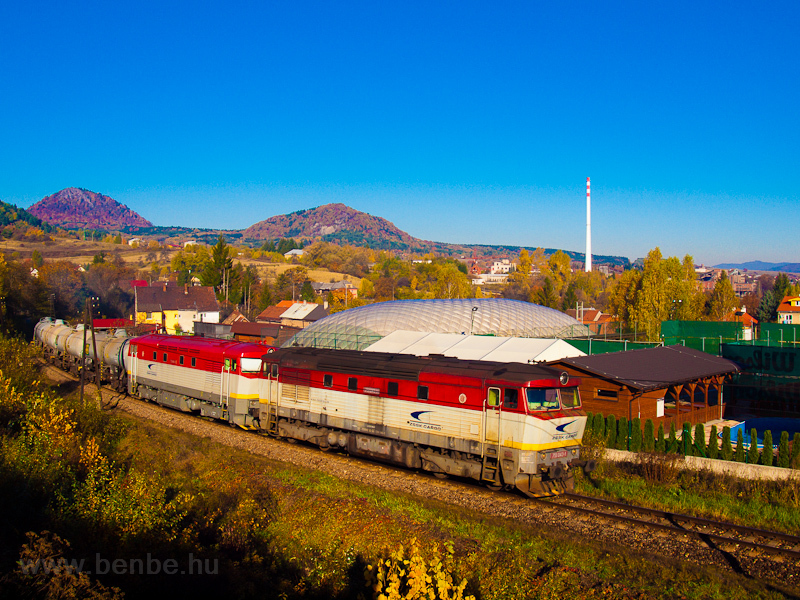 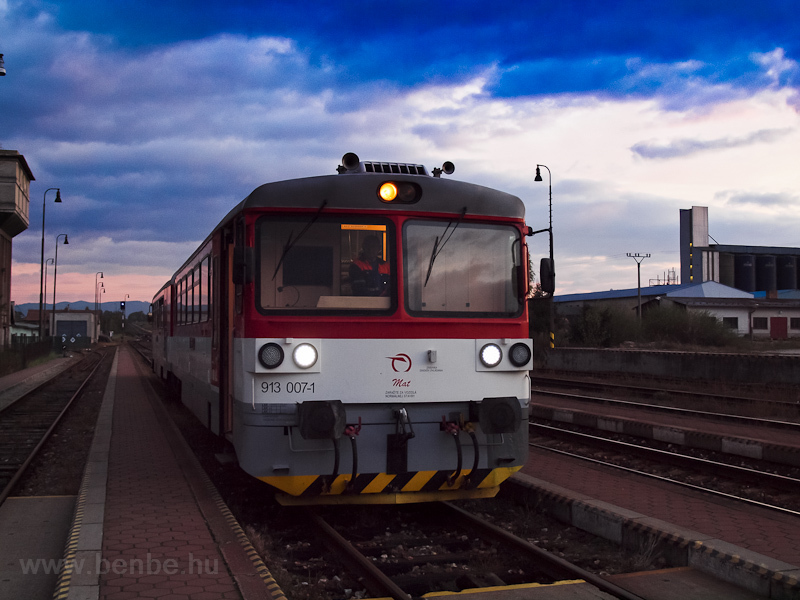 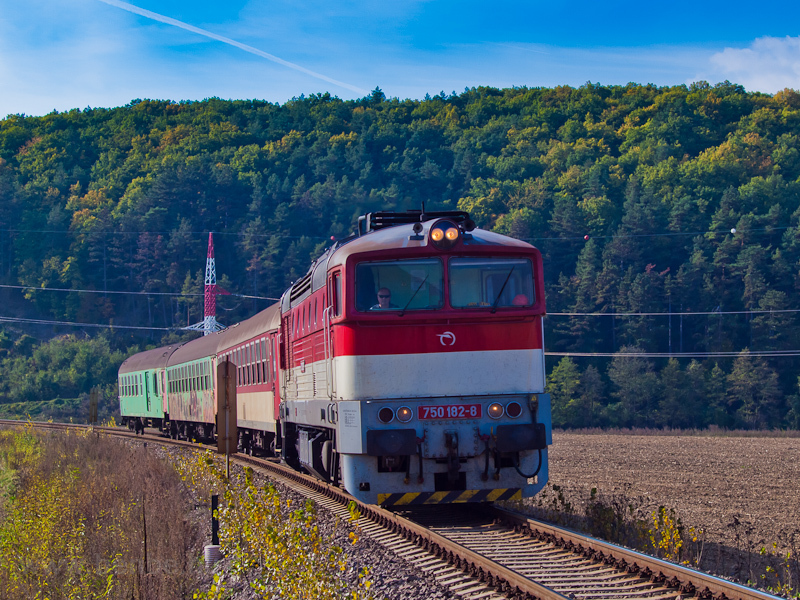 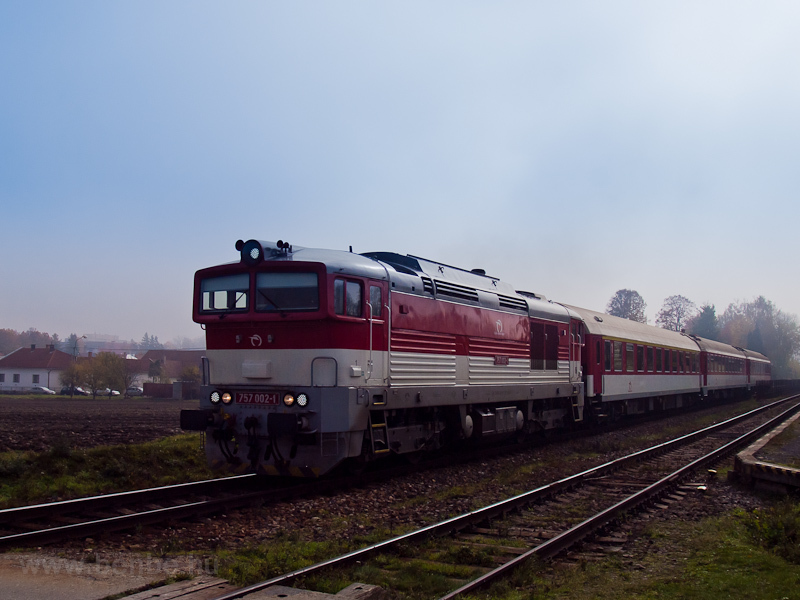 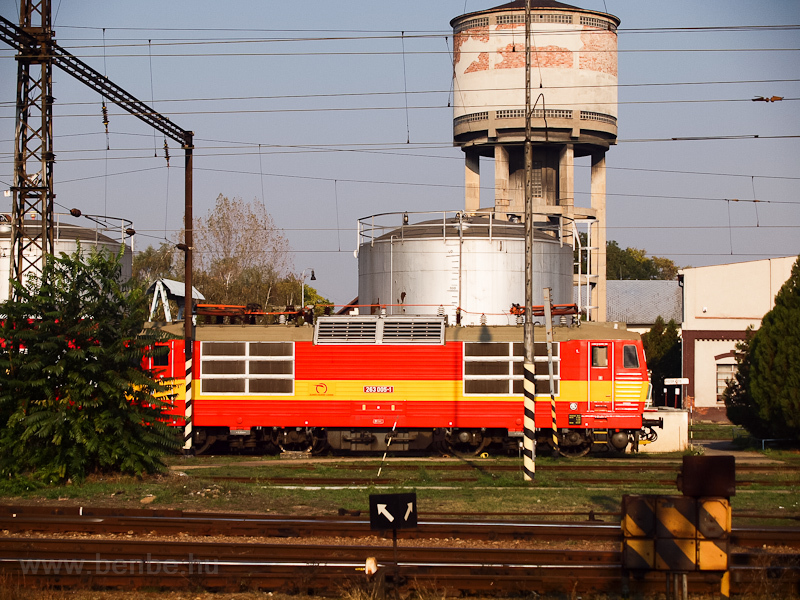 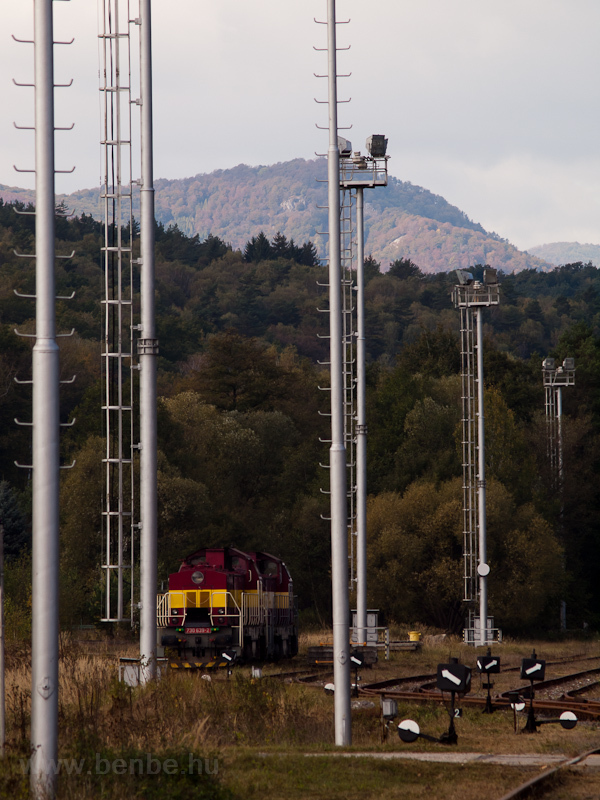 I have always been interested in Slovakian diesel traction, so this time I visited Central Slovakia again, but on a different route than I usually take, via Érsekújvár (Nové Zámky, Slovakia), Privigye (Prievidza) and Turócdivék (Diviaky) to Ruttka (Vrútky). 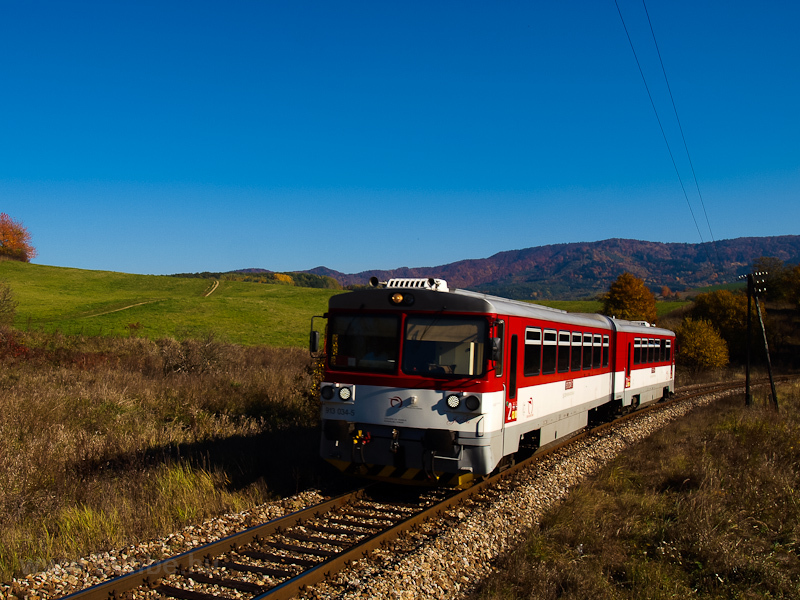 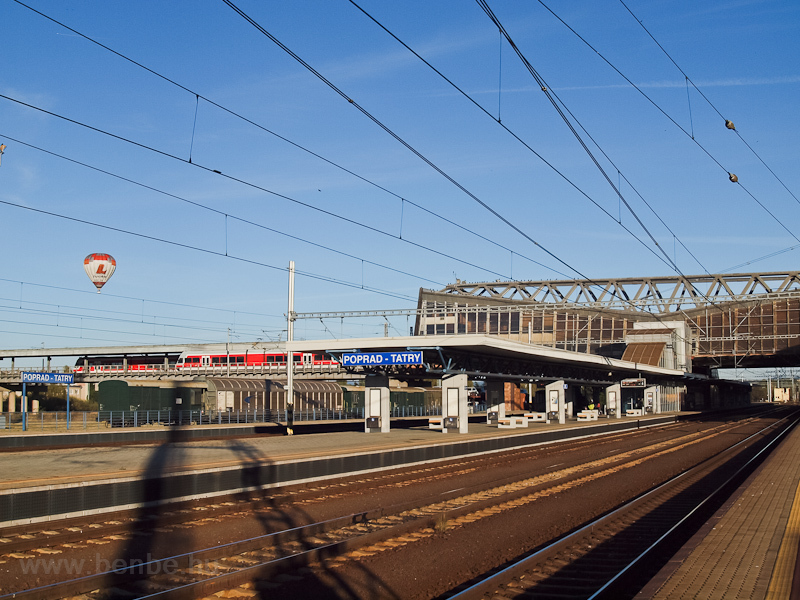 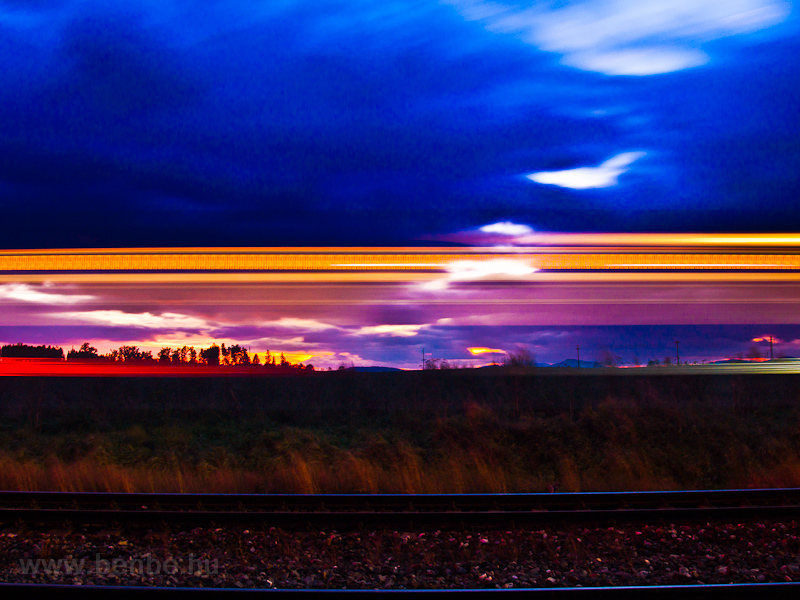 This is an infinitely long journey despite travelling on mainlines all along, so it's more a good train ride and an adventure than a good photo trip. 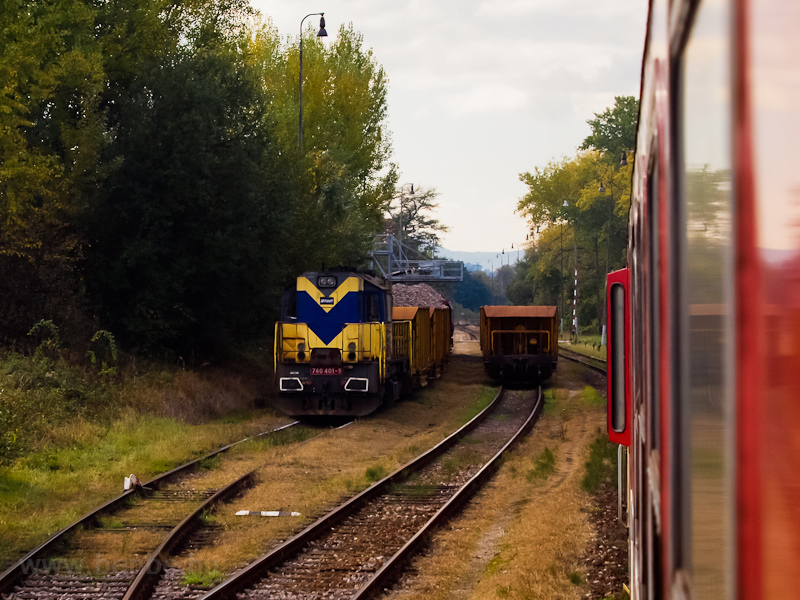 There were few line shots taken, but it was a good reconnessaince for later train and car trips to the area where I more than made up for the loss. 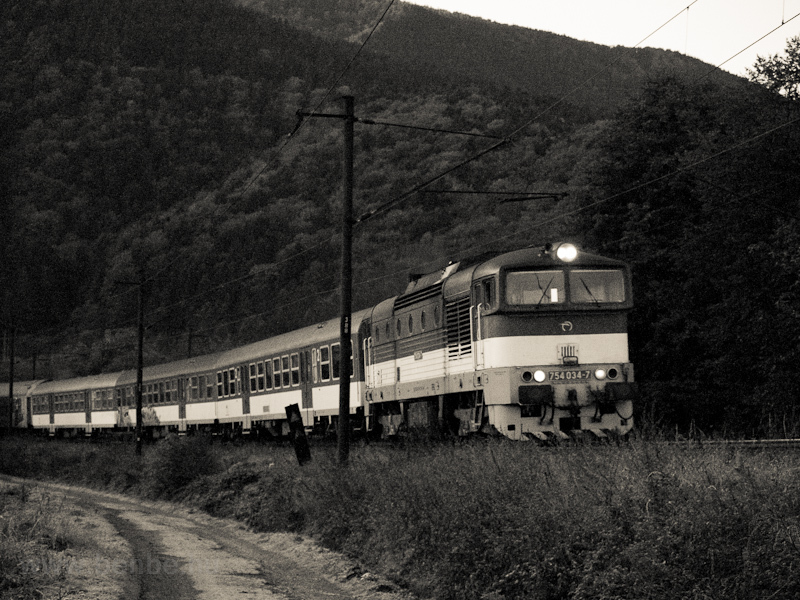 Of course, those trips are going to get their own albums uploaded soon. 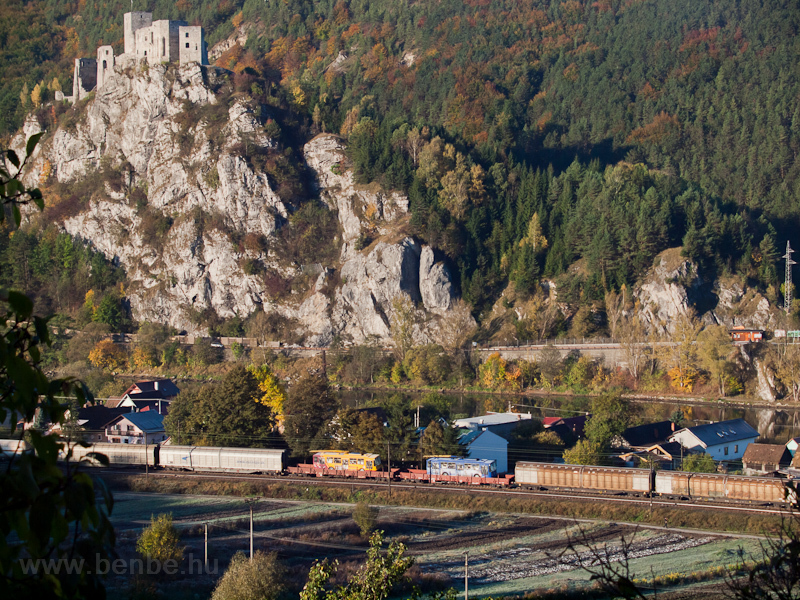 Unfortunately this line doesn't become mountainous, though it képs lingering in a wide valley. 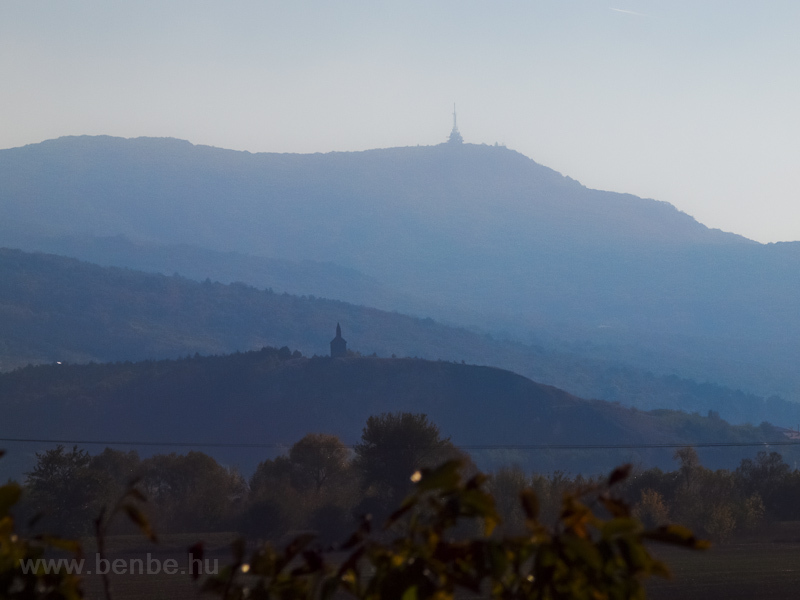 The hills are always far away, they don't offer the least of photographic oportunities. 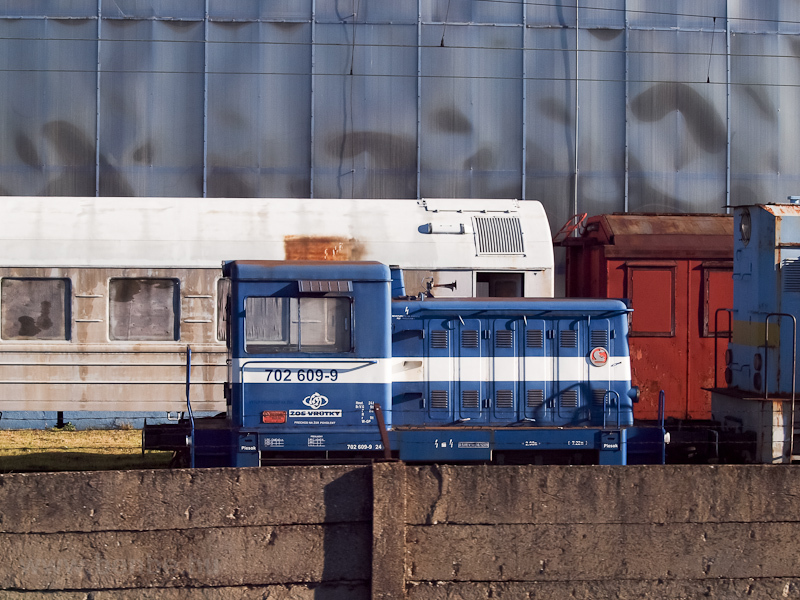 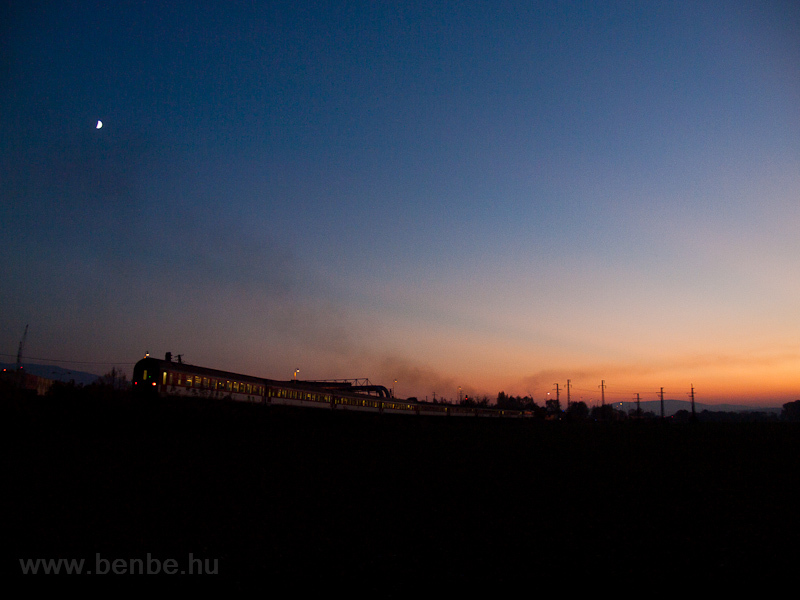 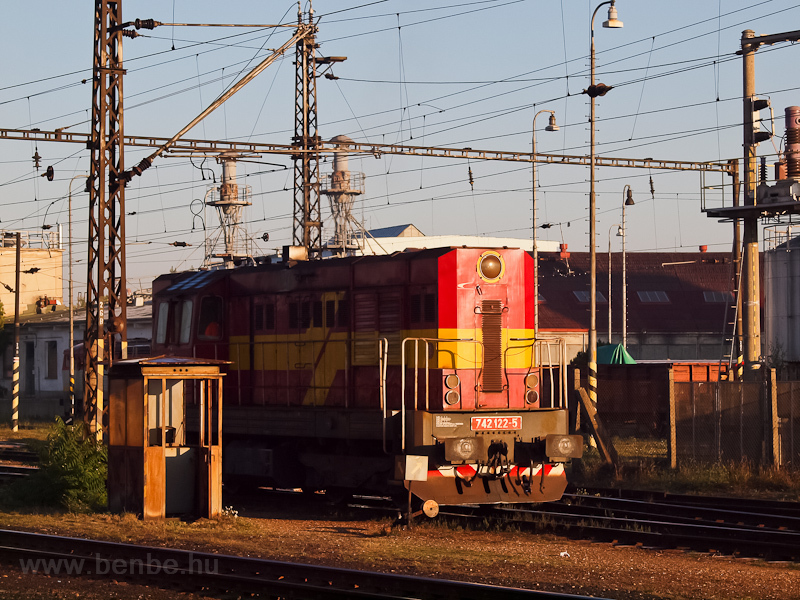 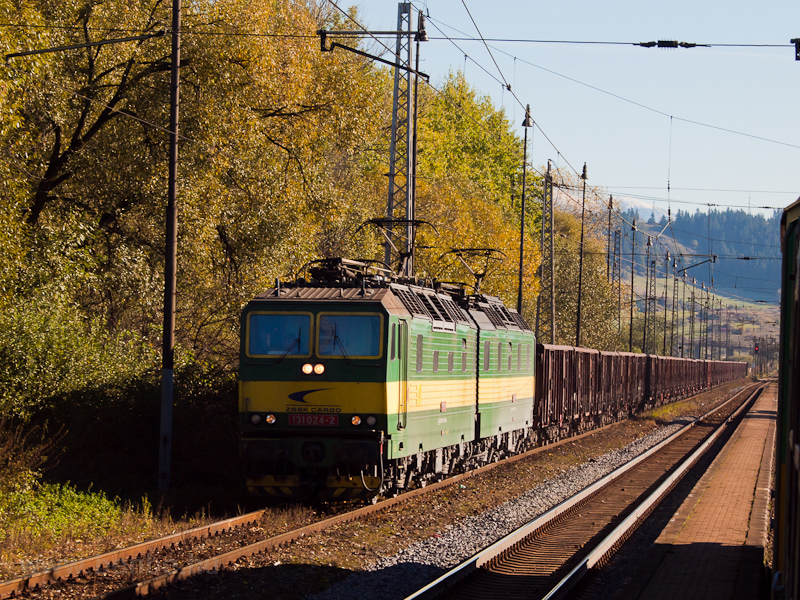 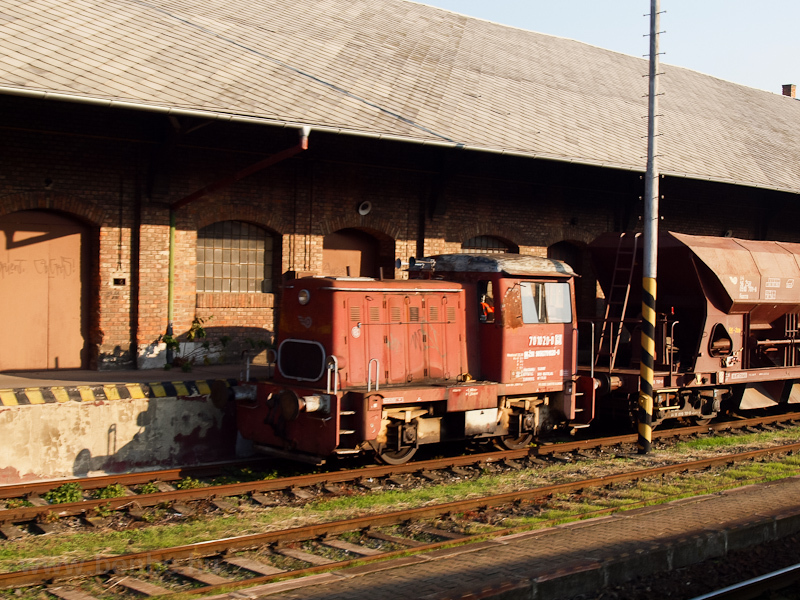 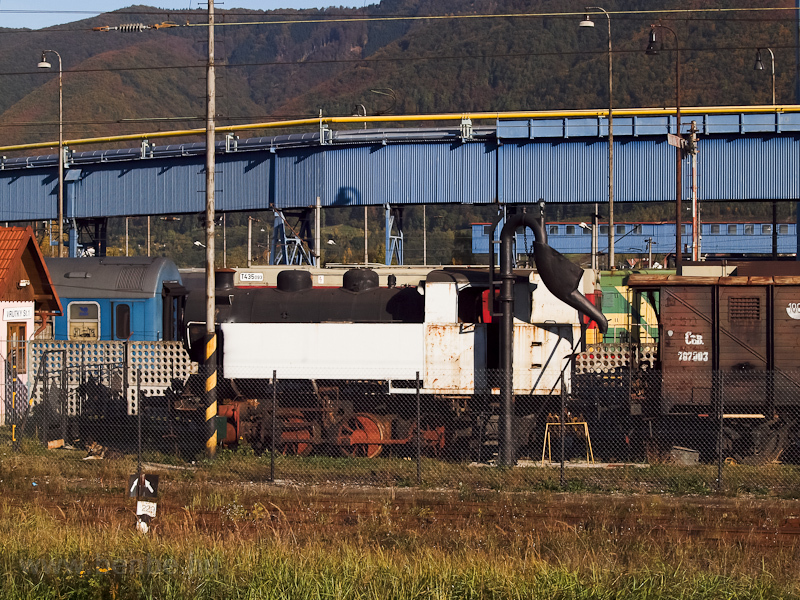 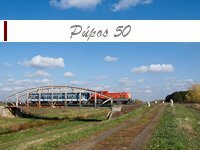 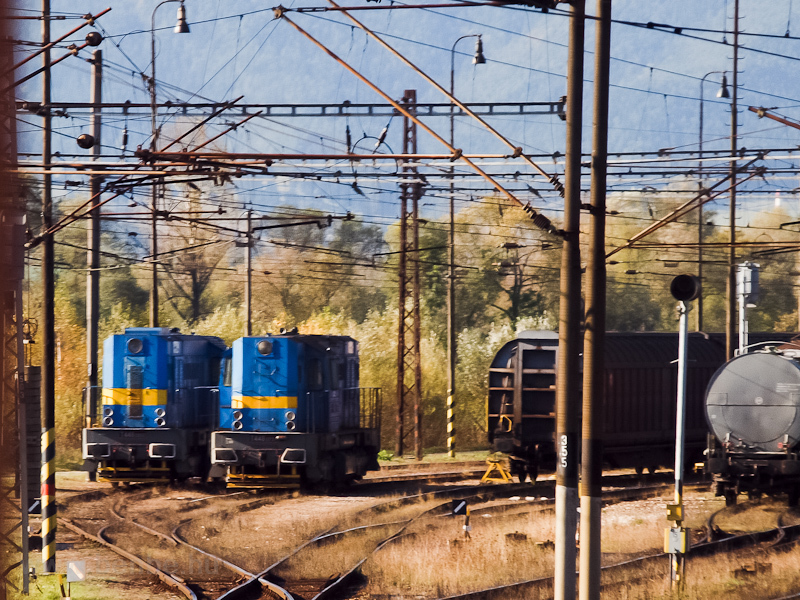 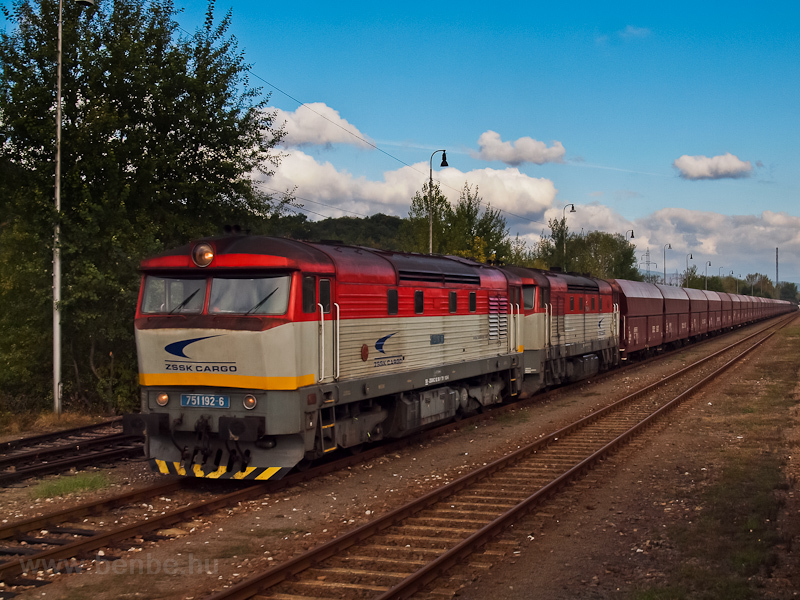 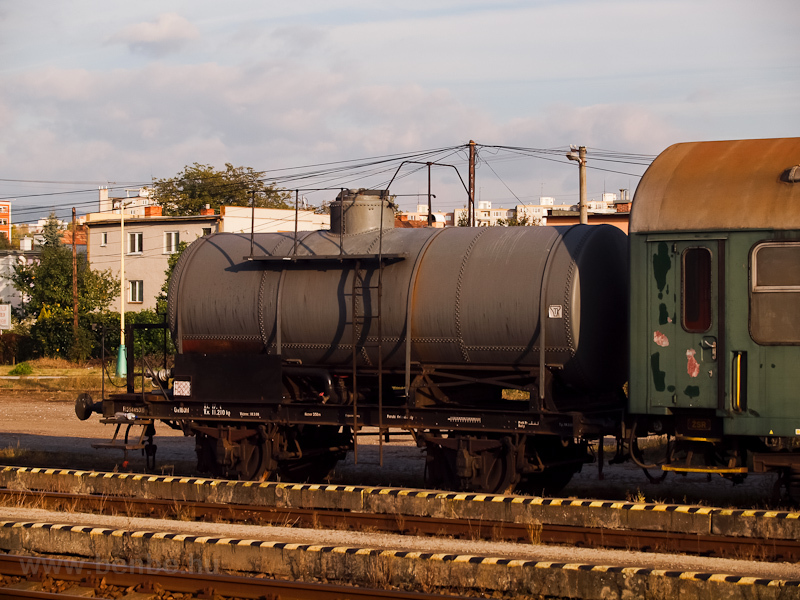 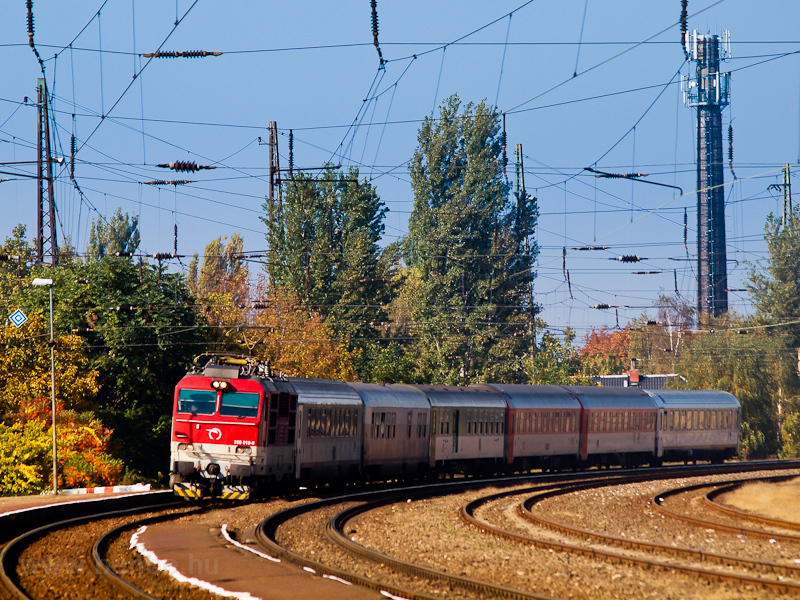 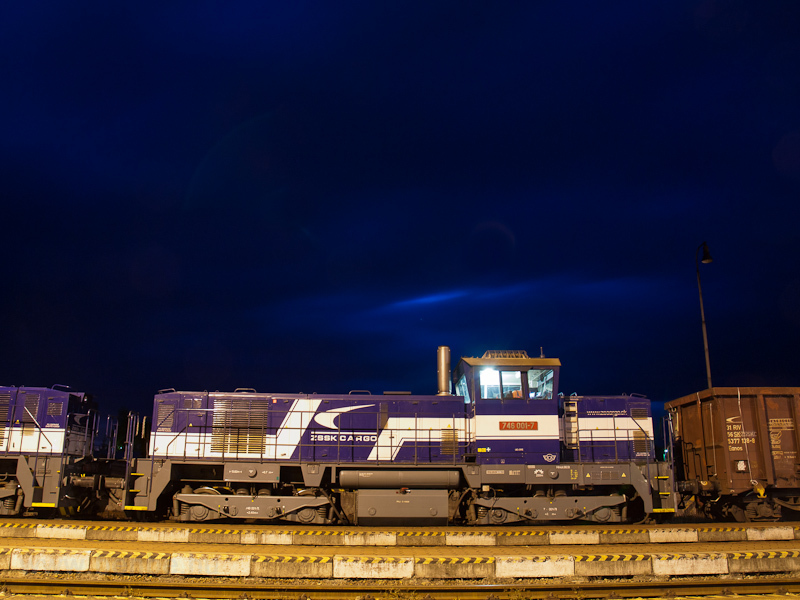 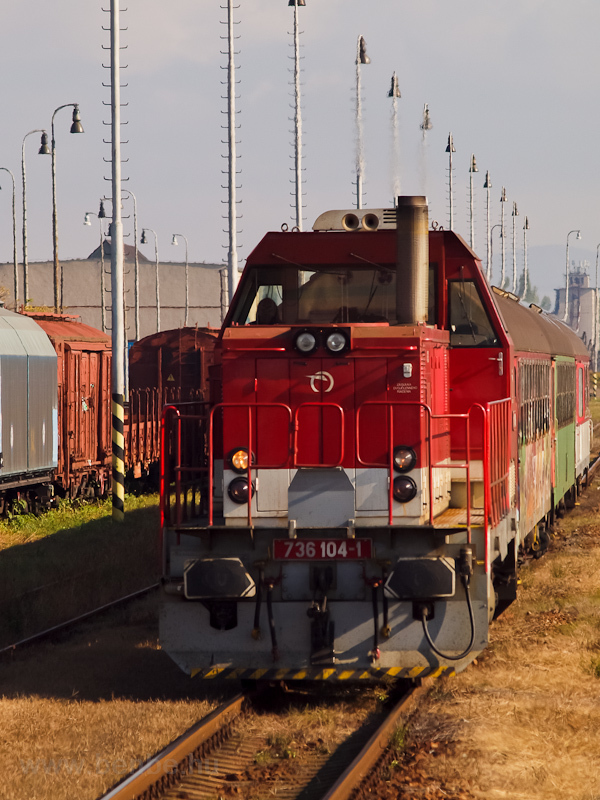 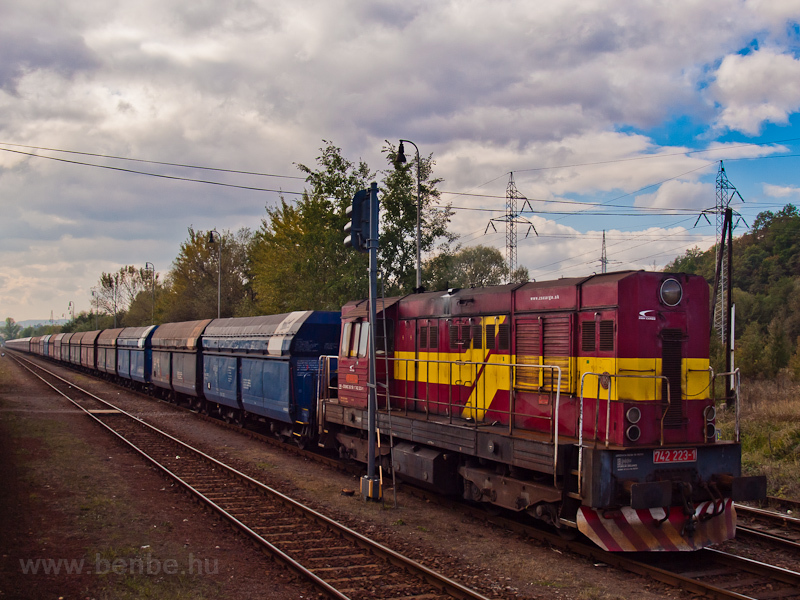 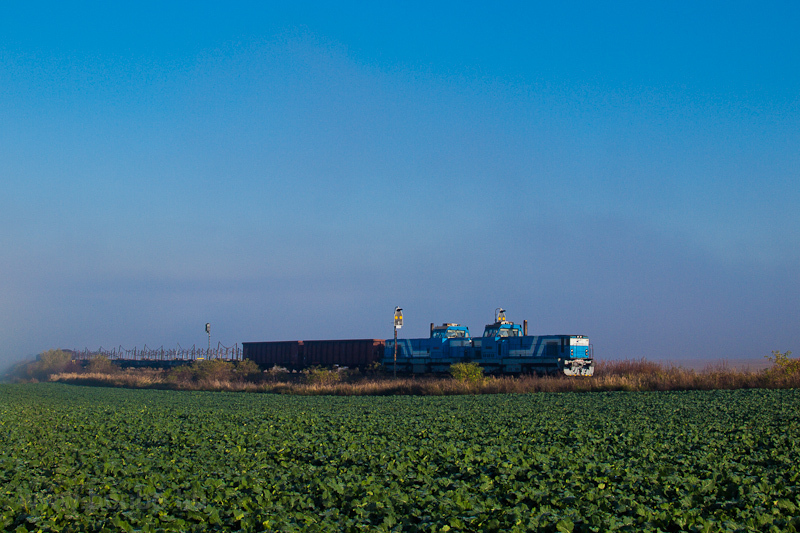 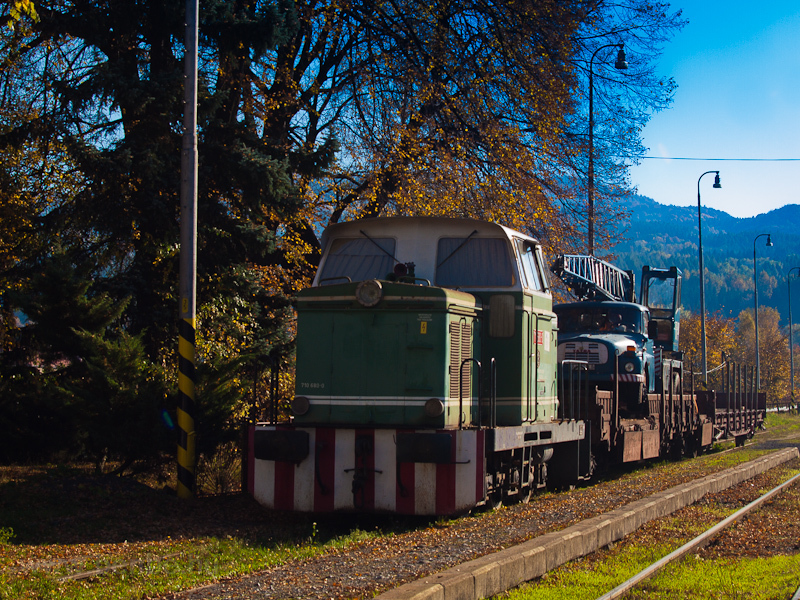 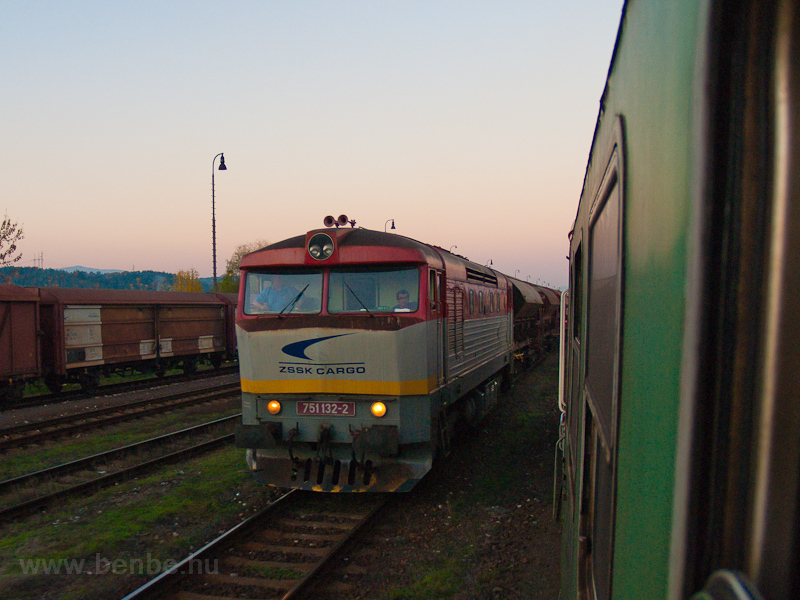 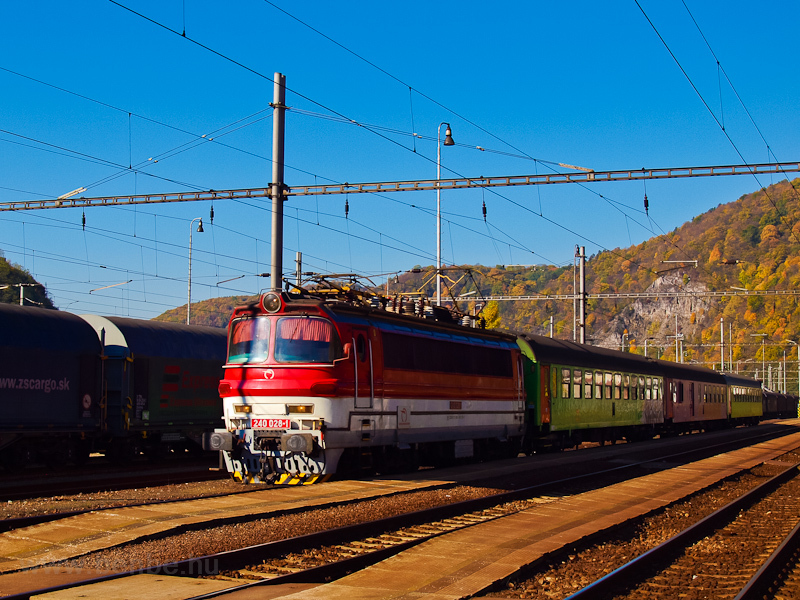 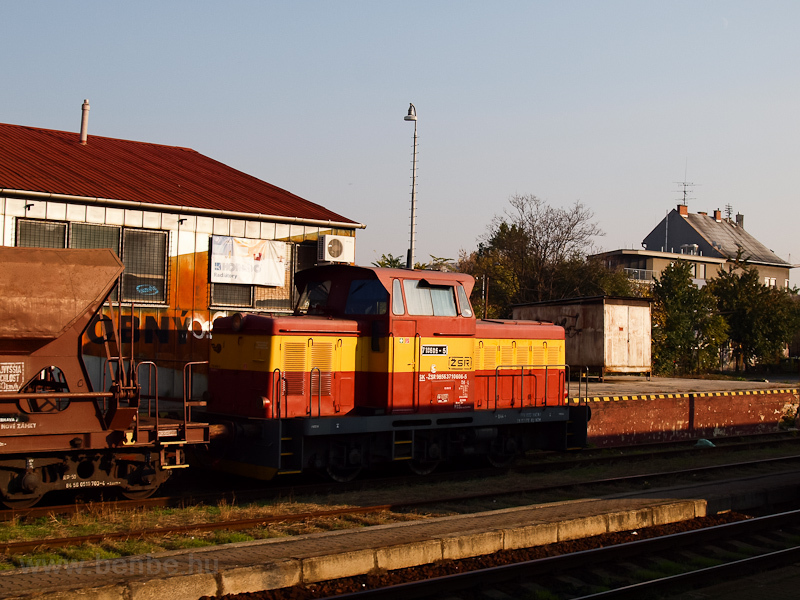 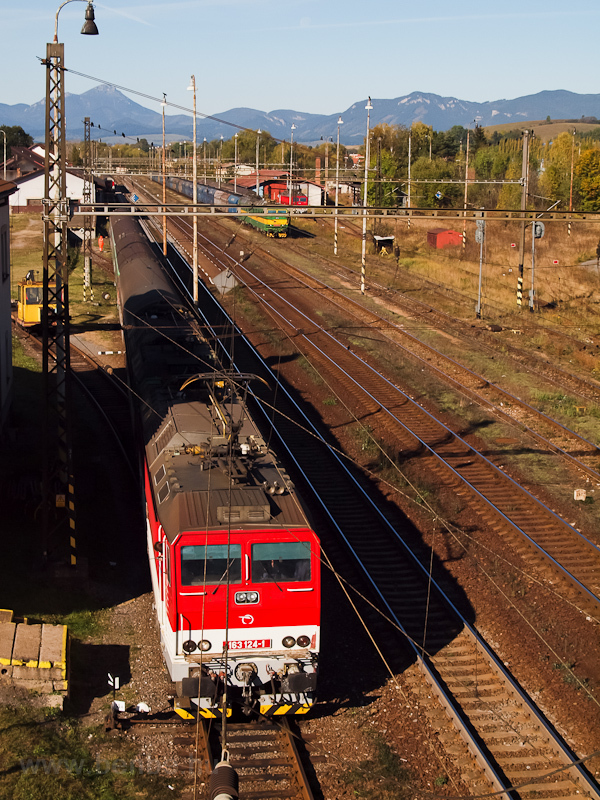 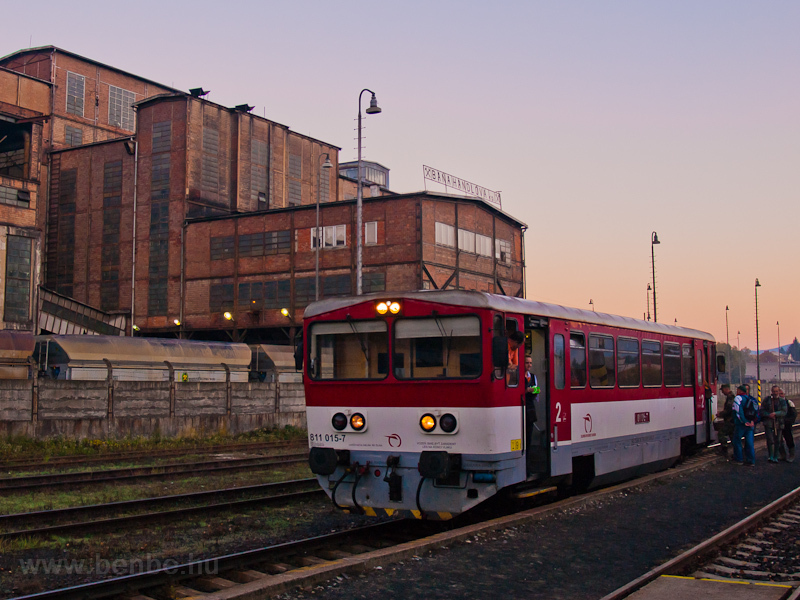 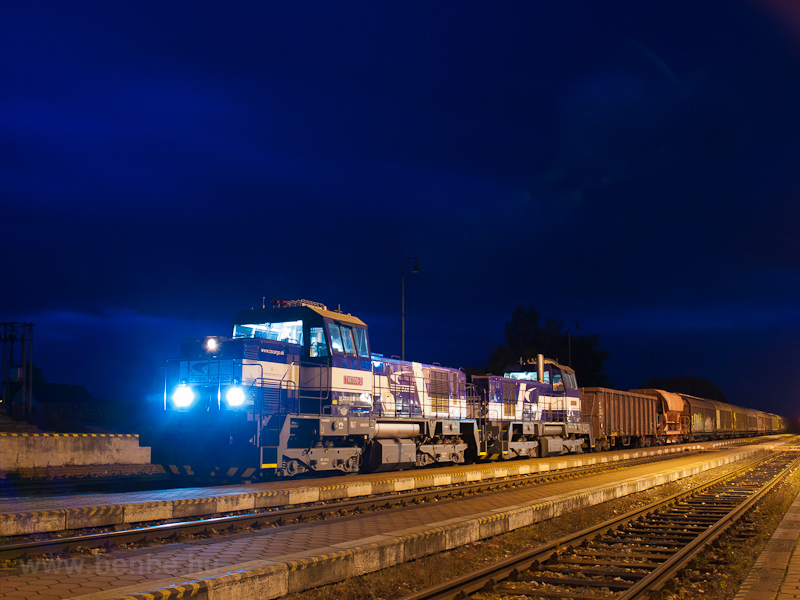 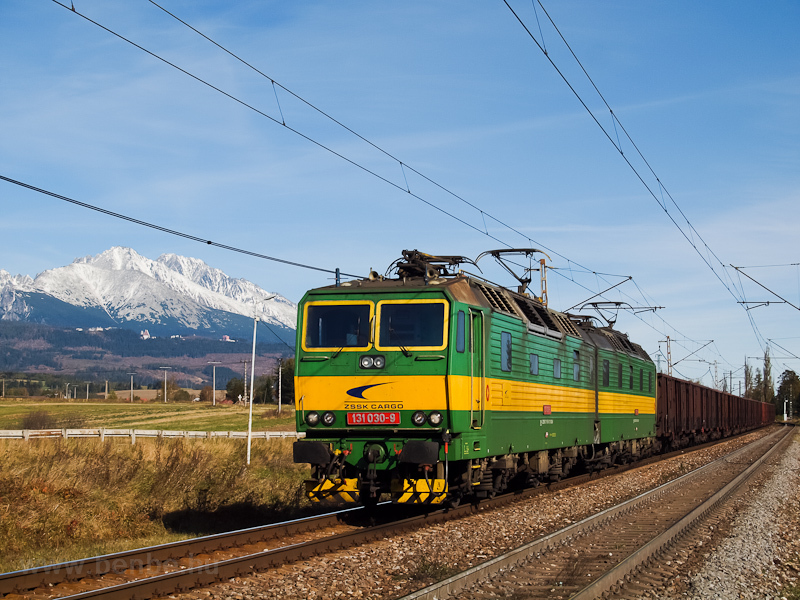 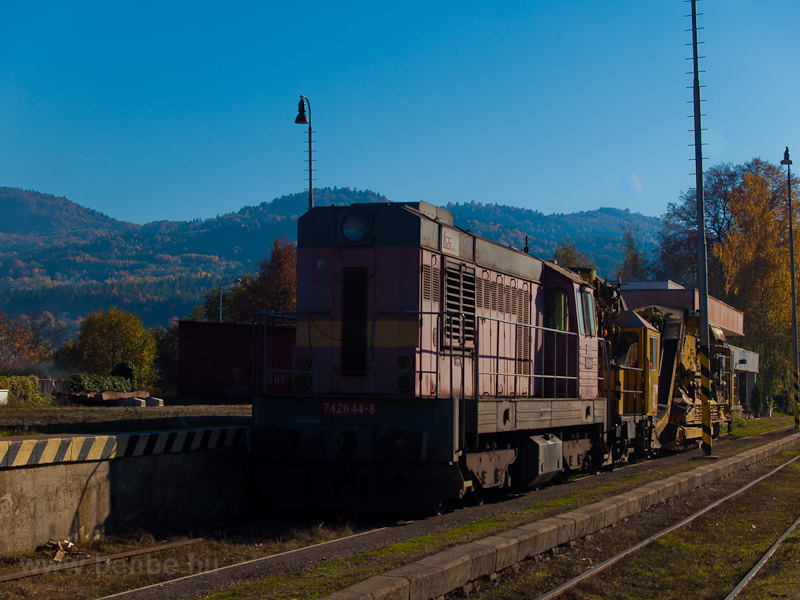 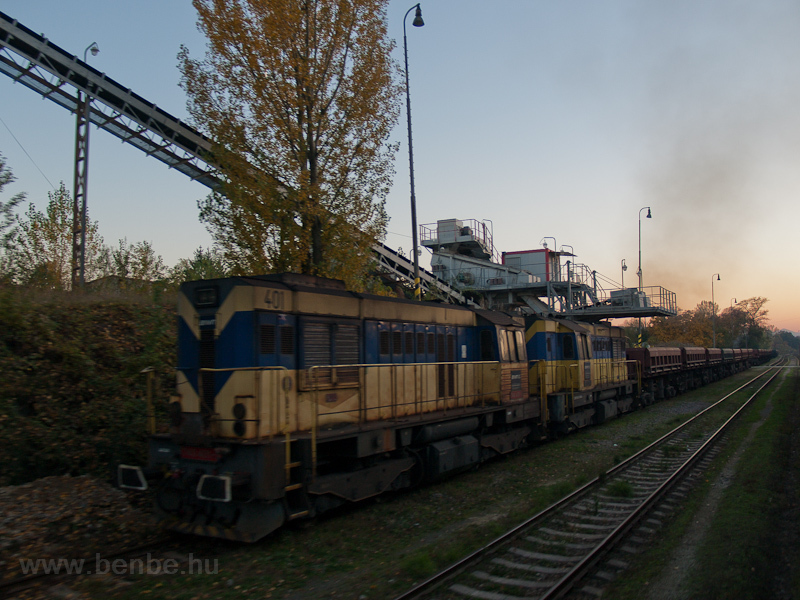 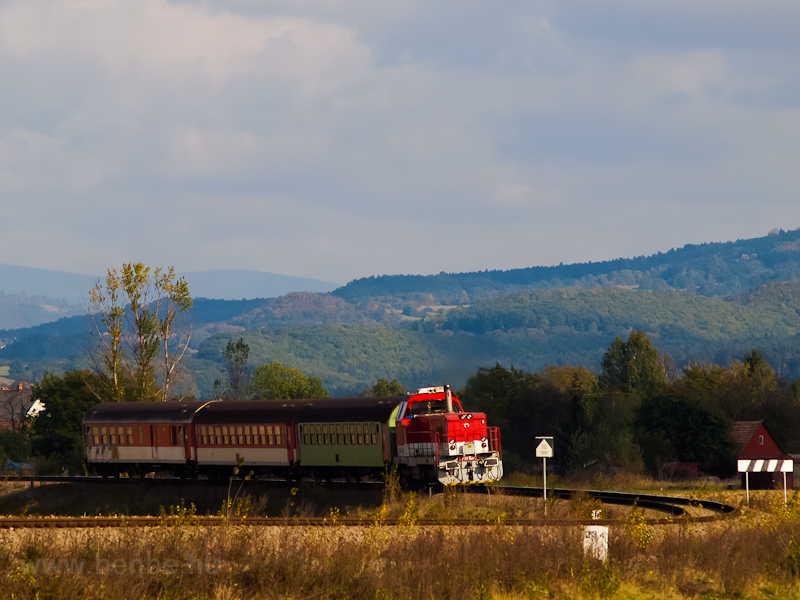 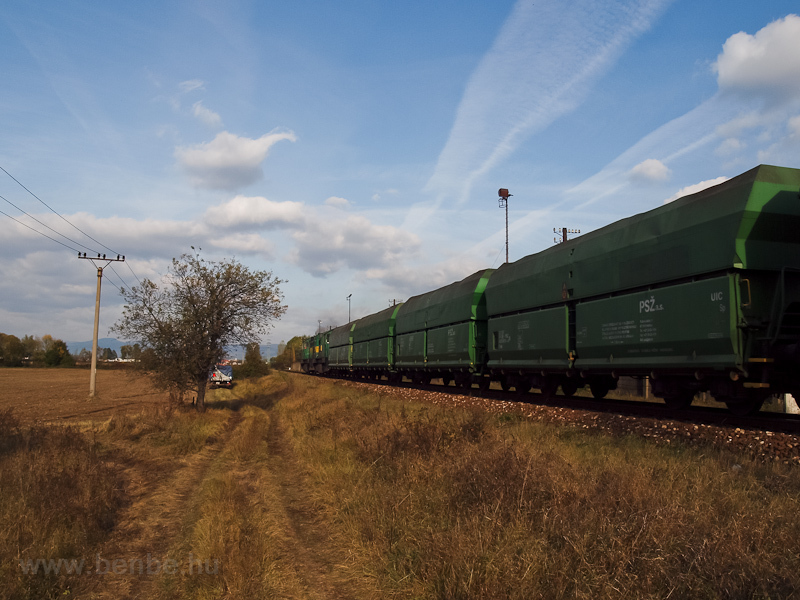 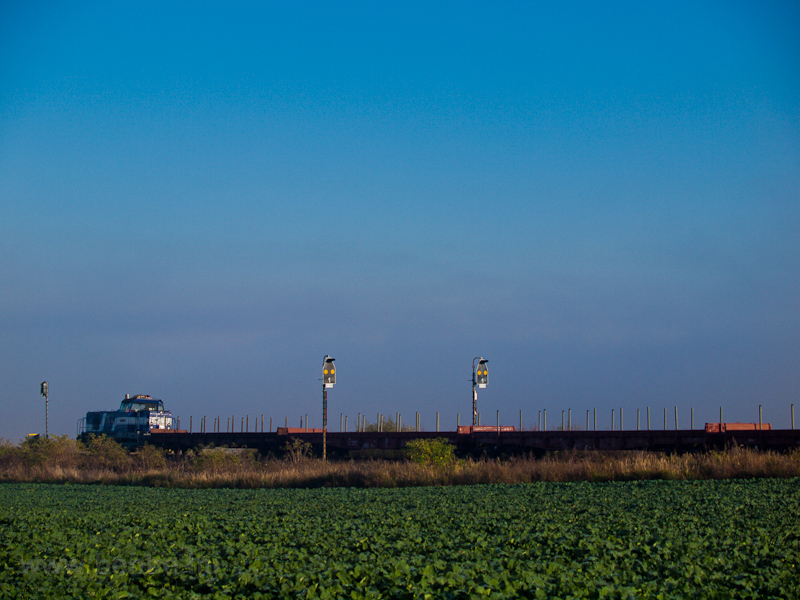 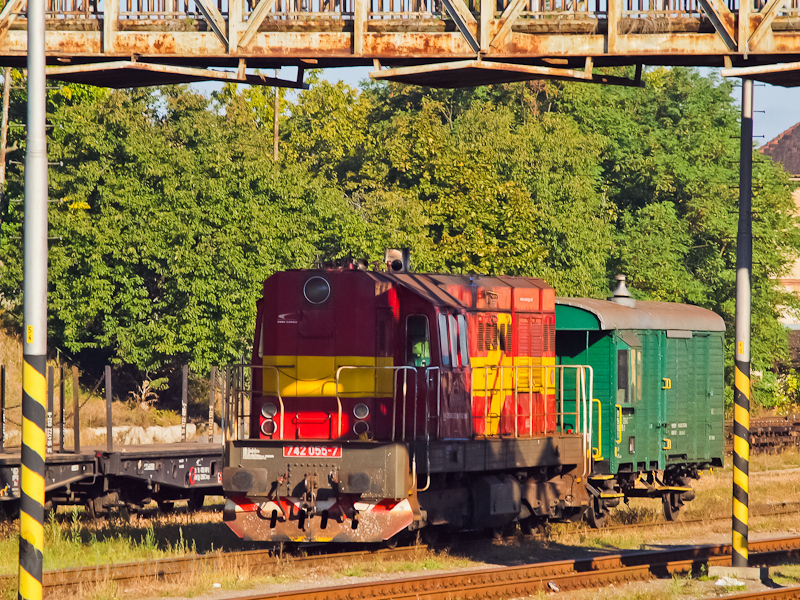 There are many coal trains arriving at the Nováky power plant and some of them are hauled by the state railways. 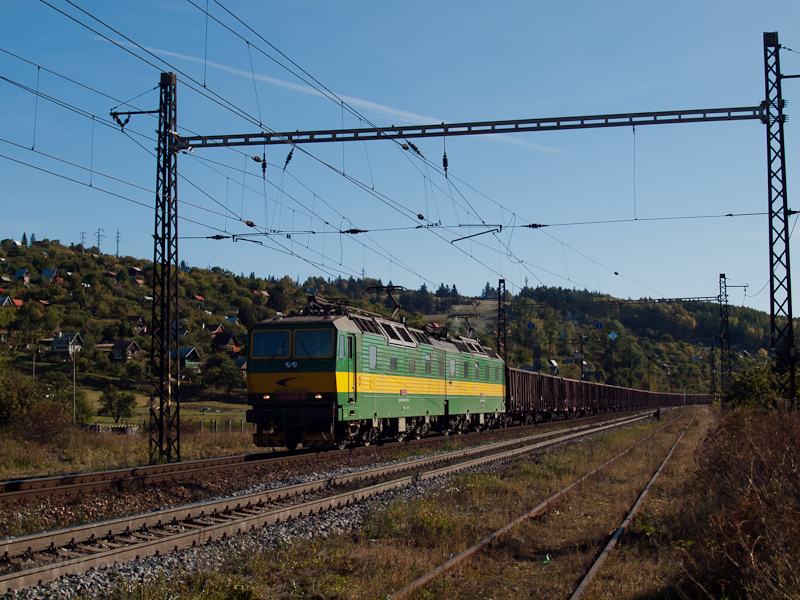 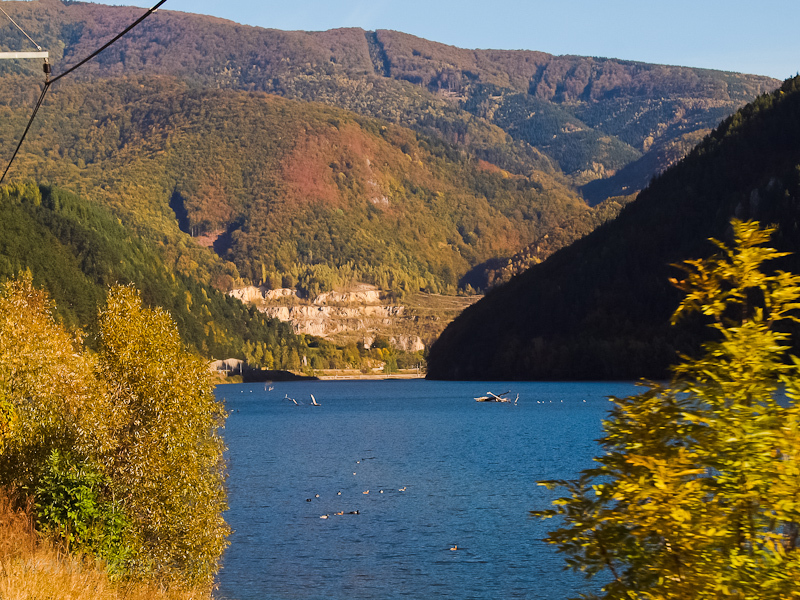 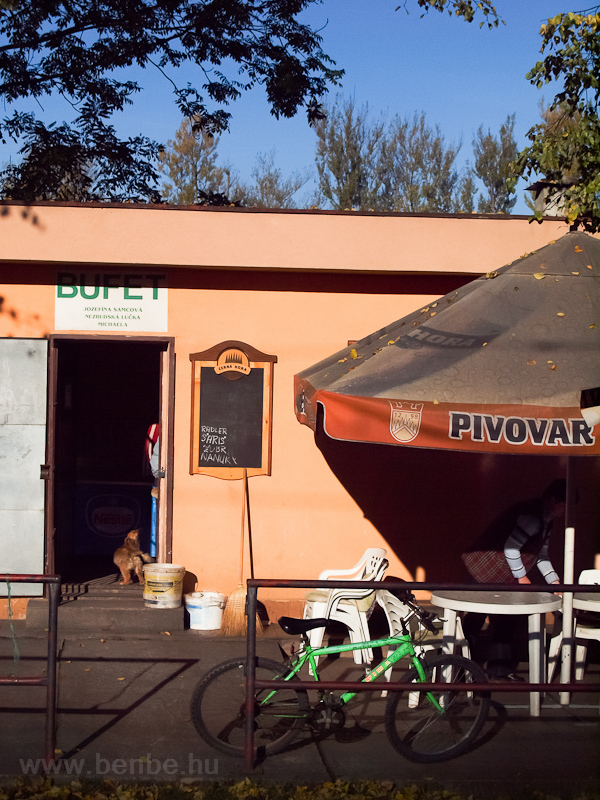 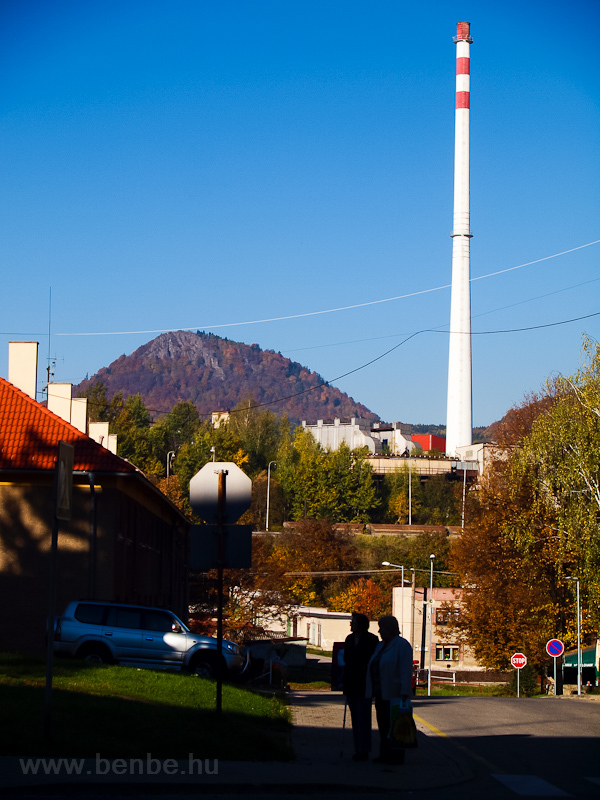 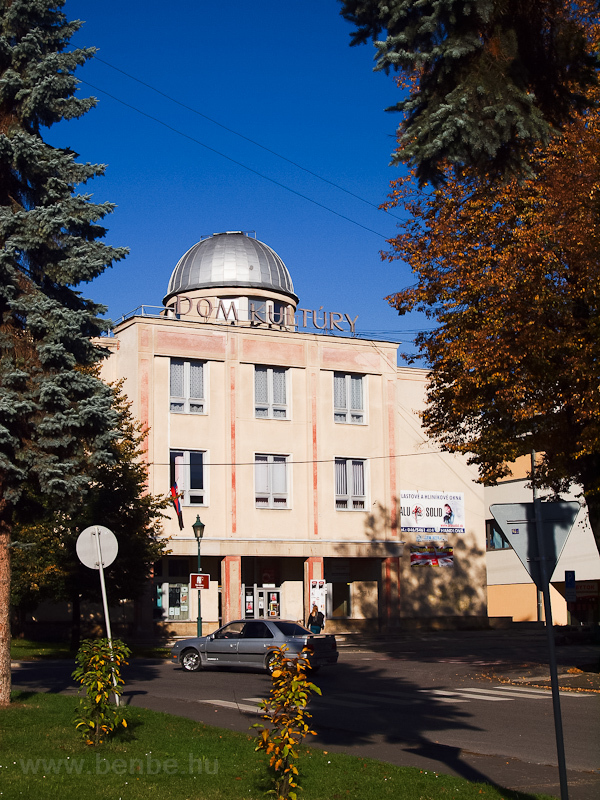 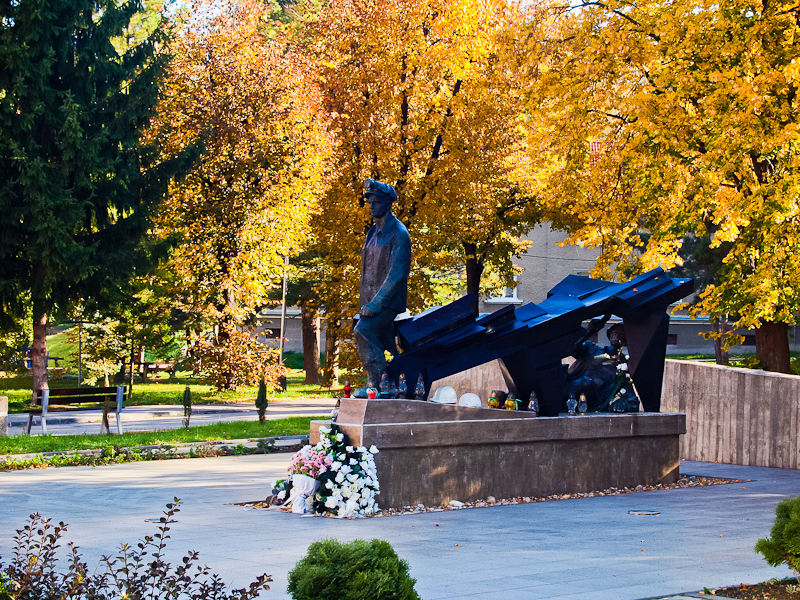 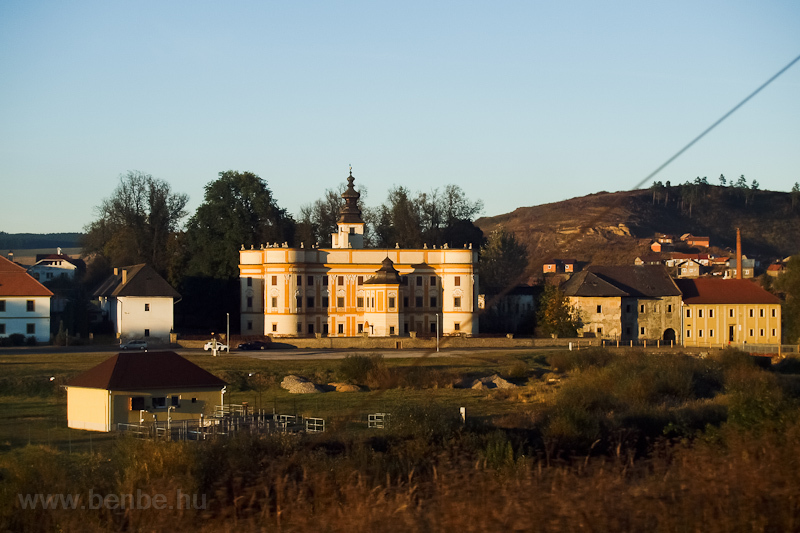 Most of the coal is brought here by the grén Cmelaks and Kocurs of the mining company from Nyitrabánya (Handlová, Slovakia). 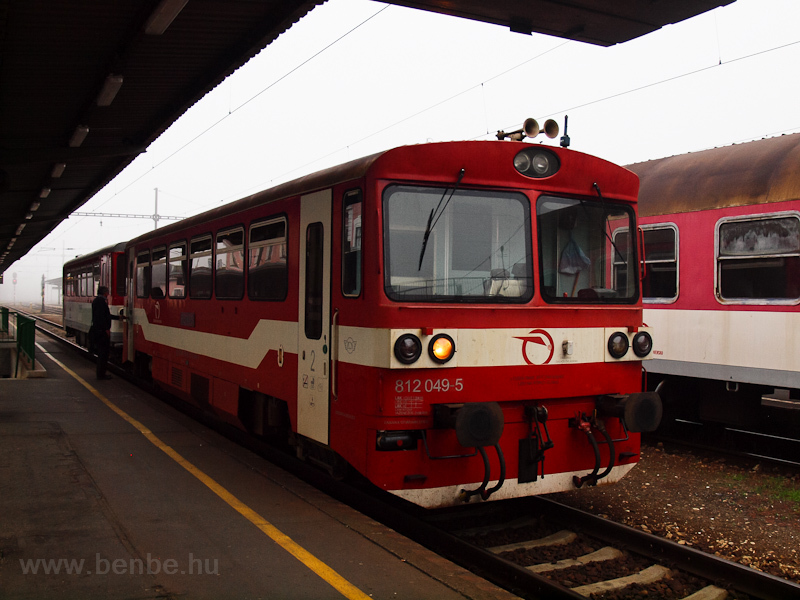 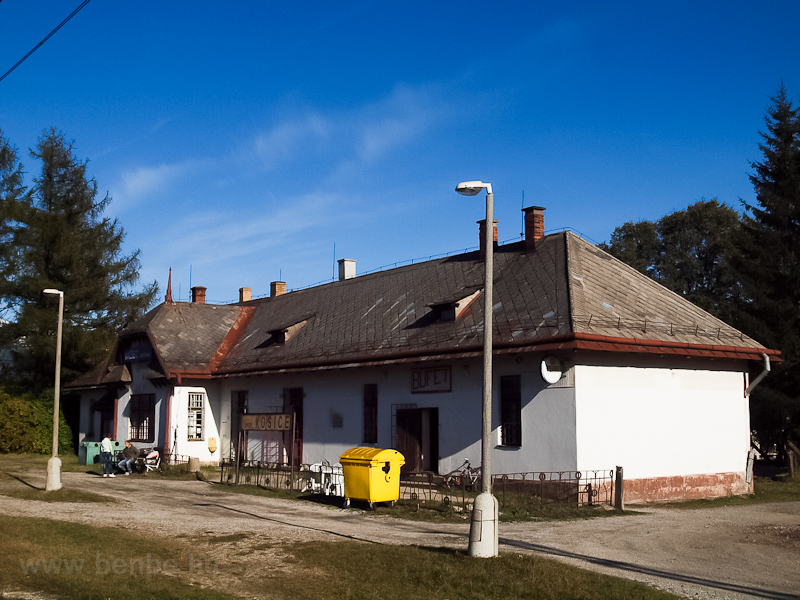 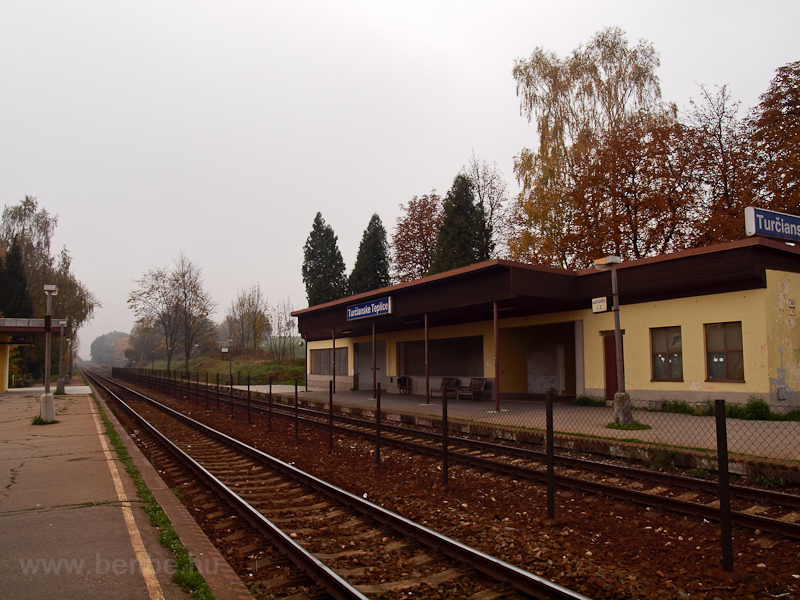 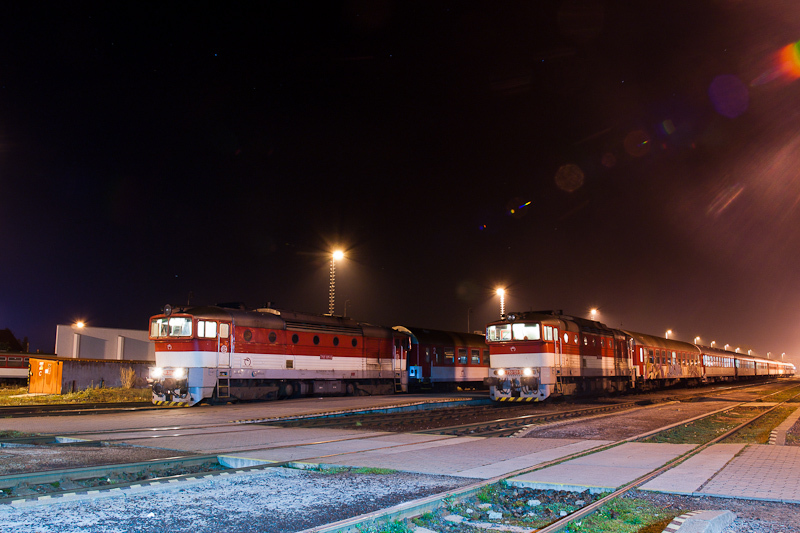 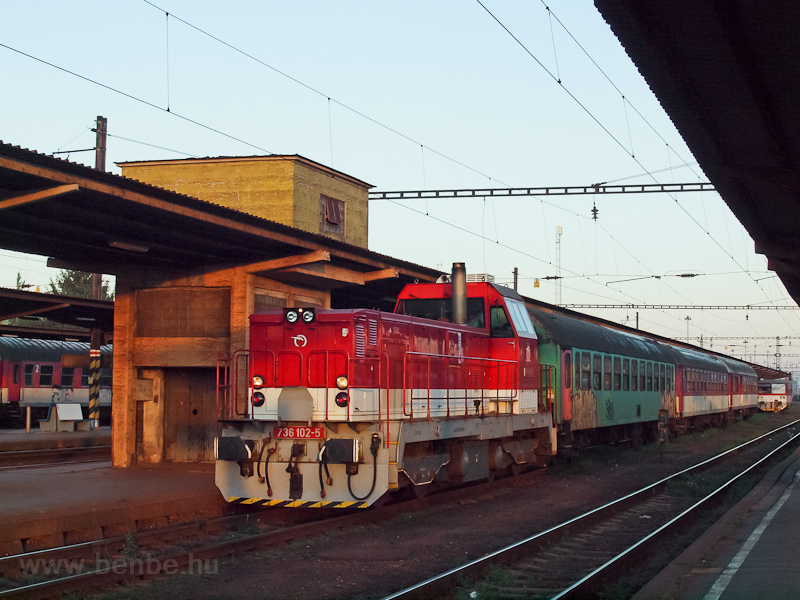 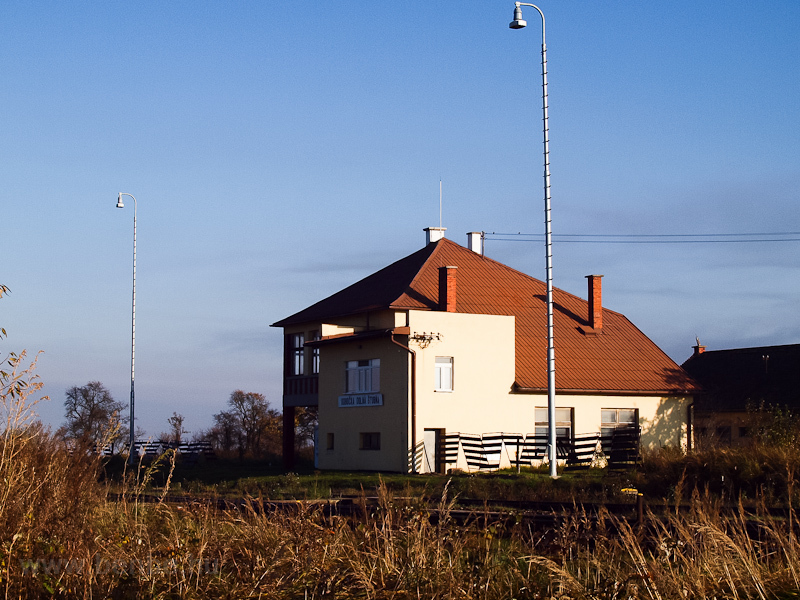 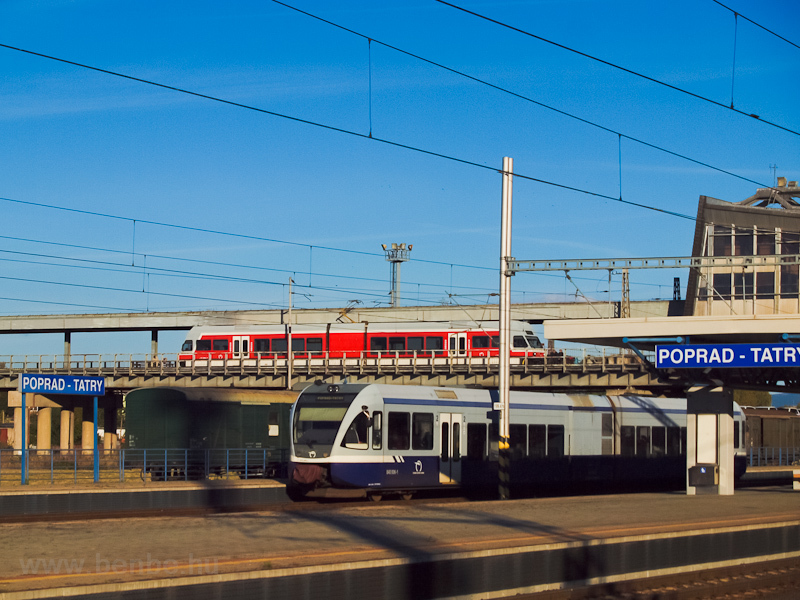 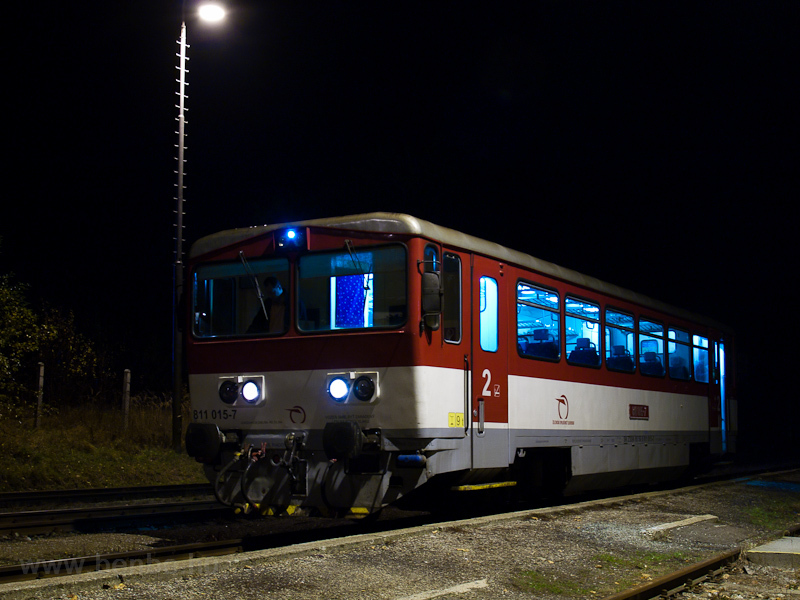 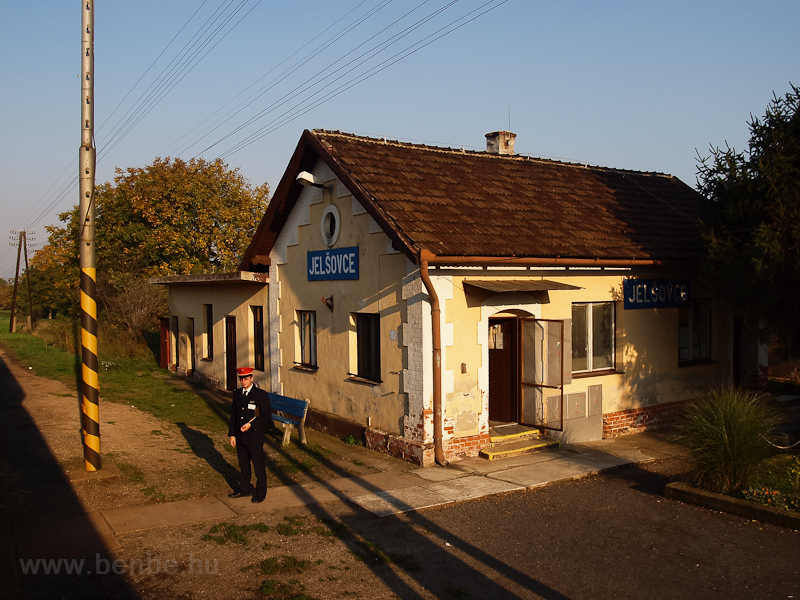 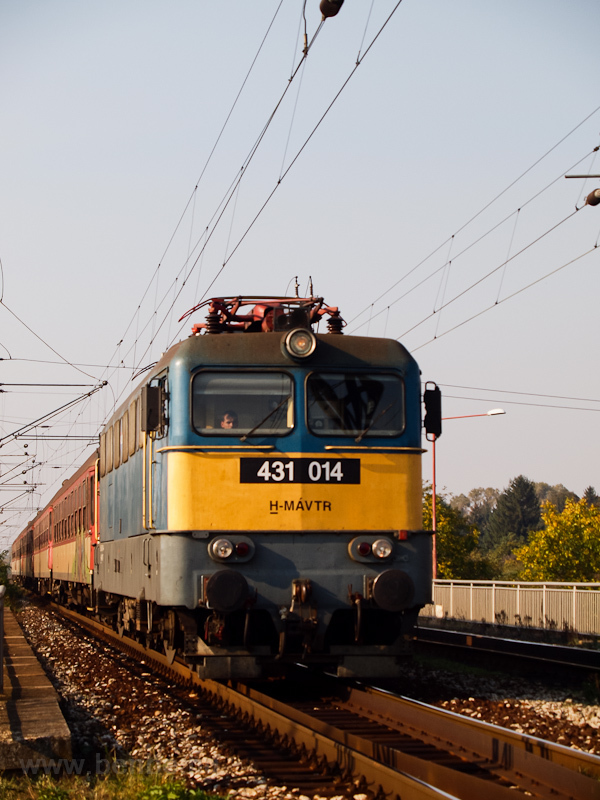 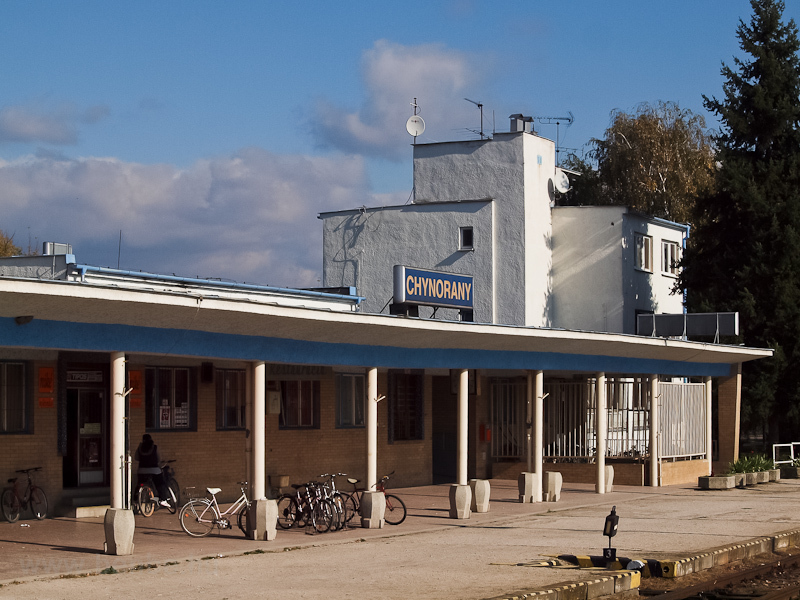 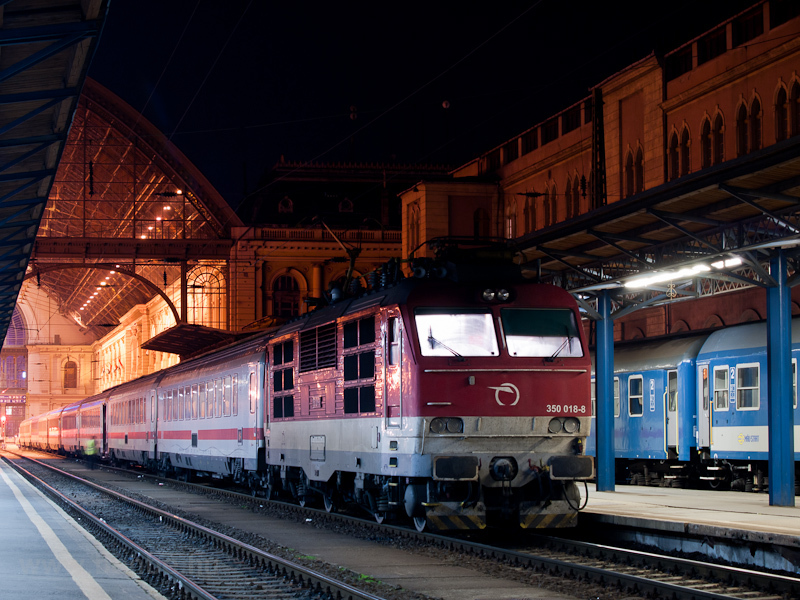 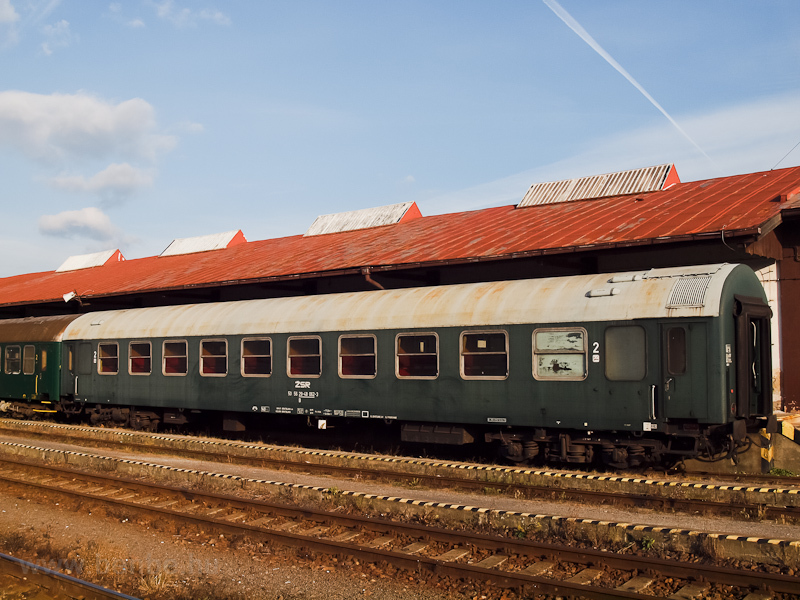 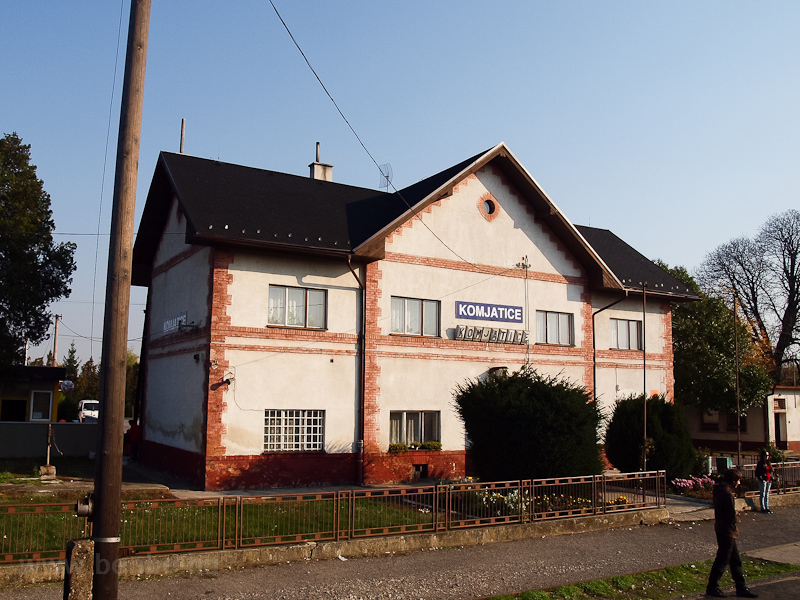 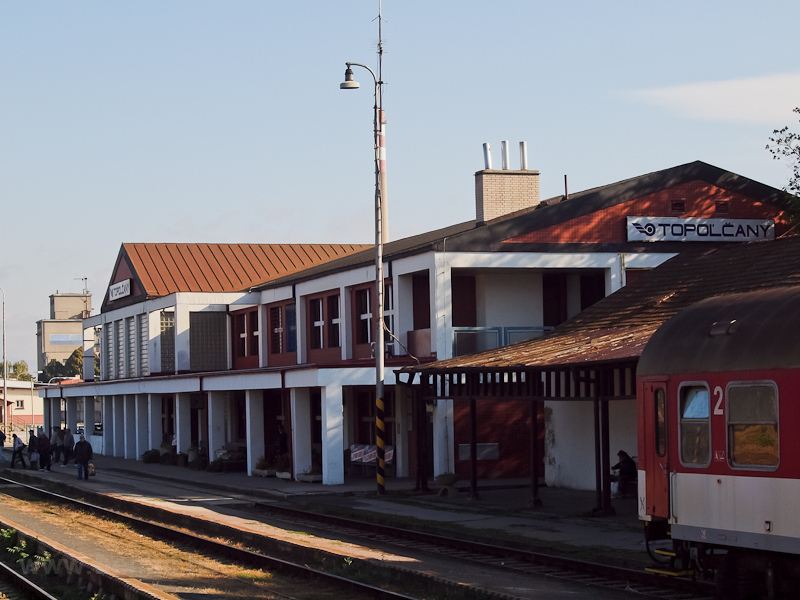 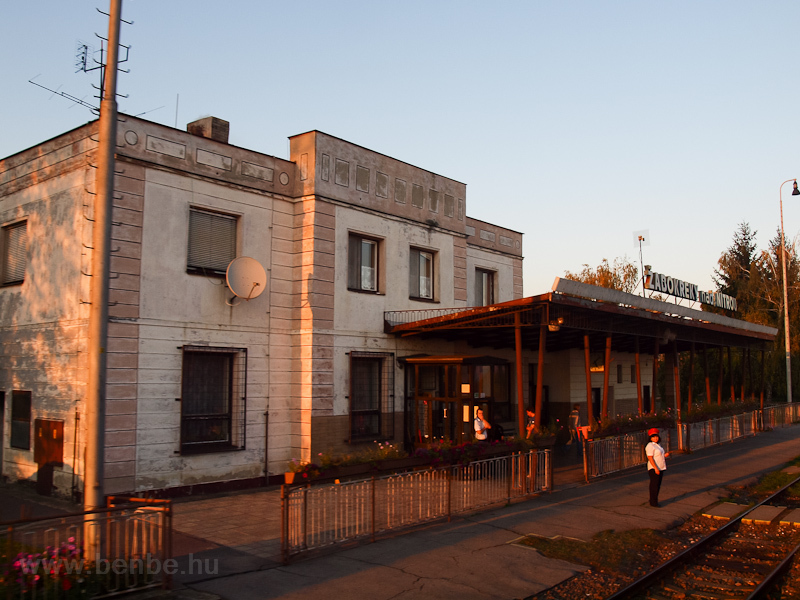 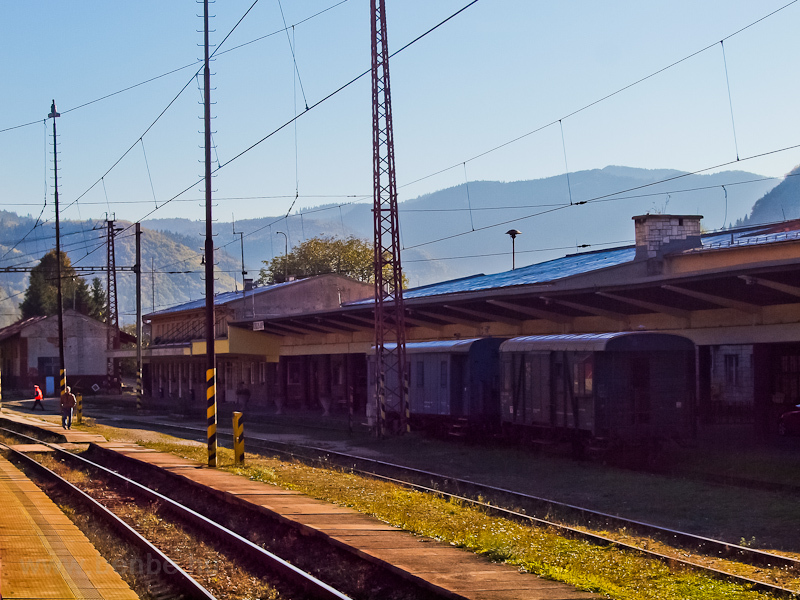 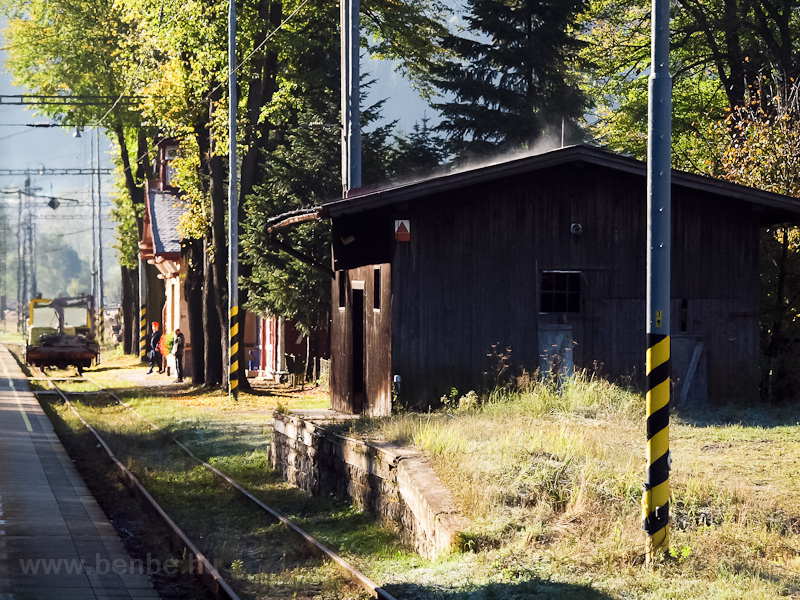 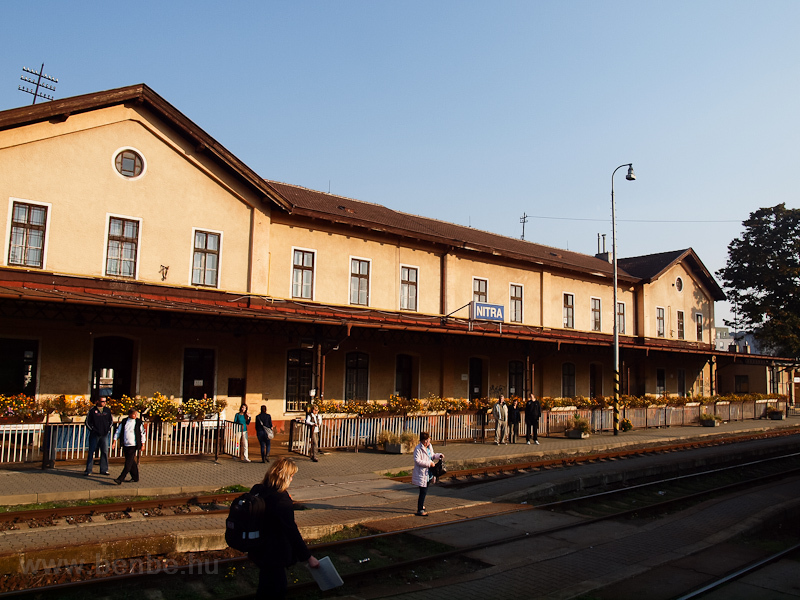 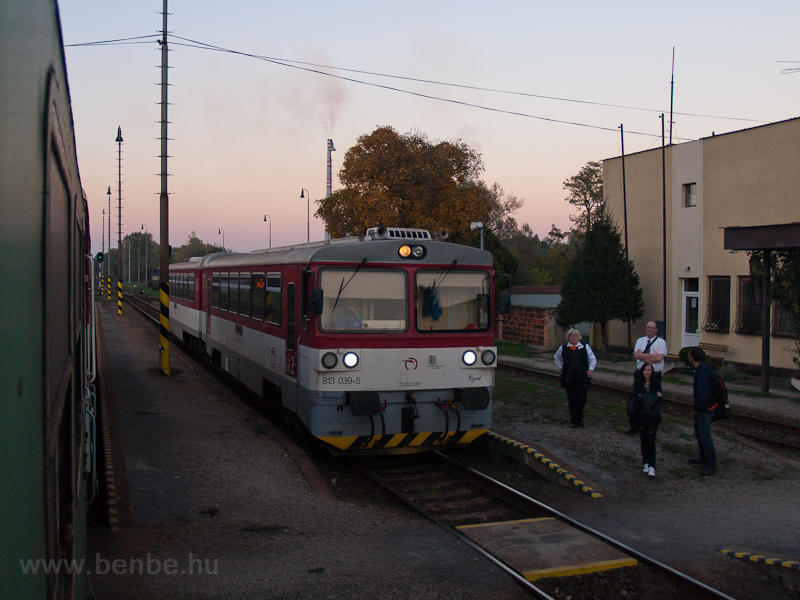 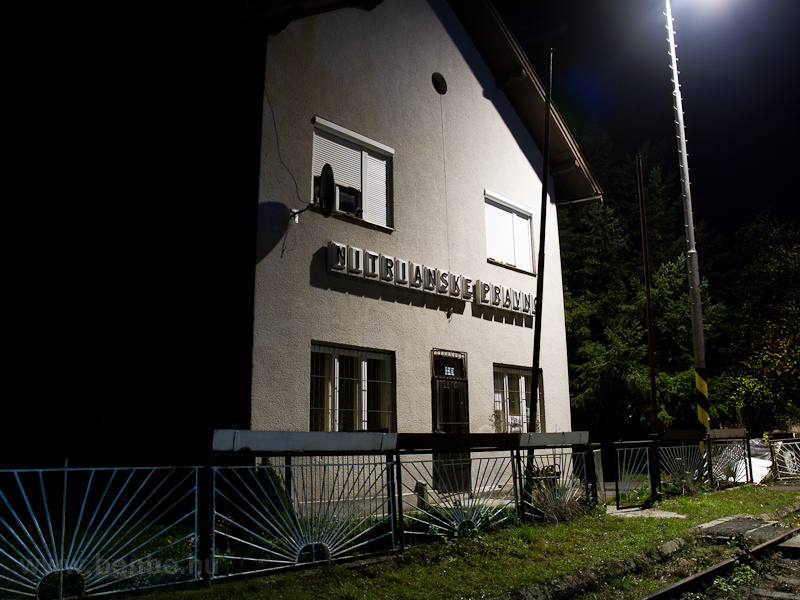 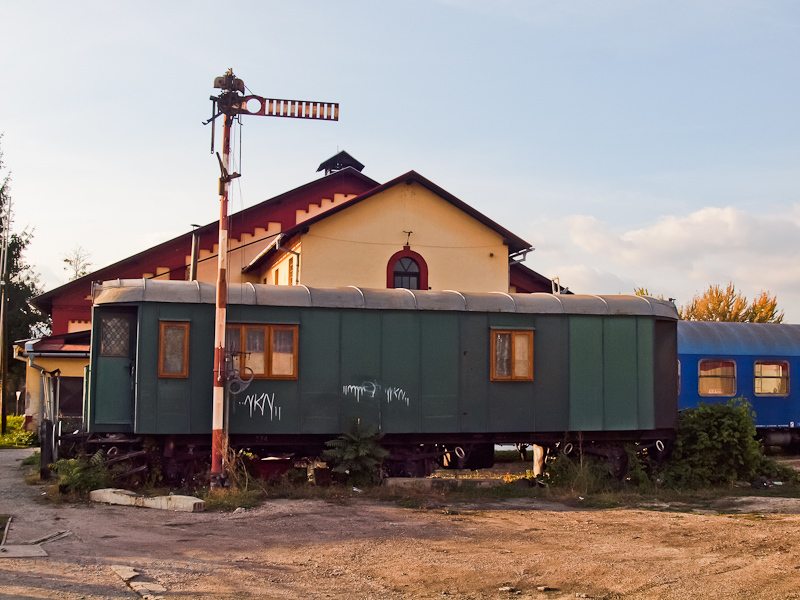 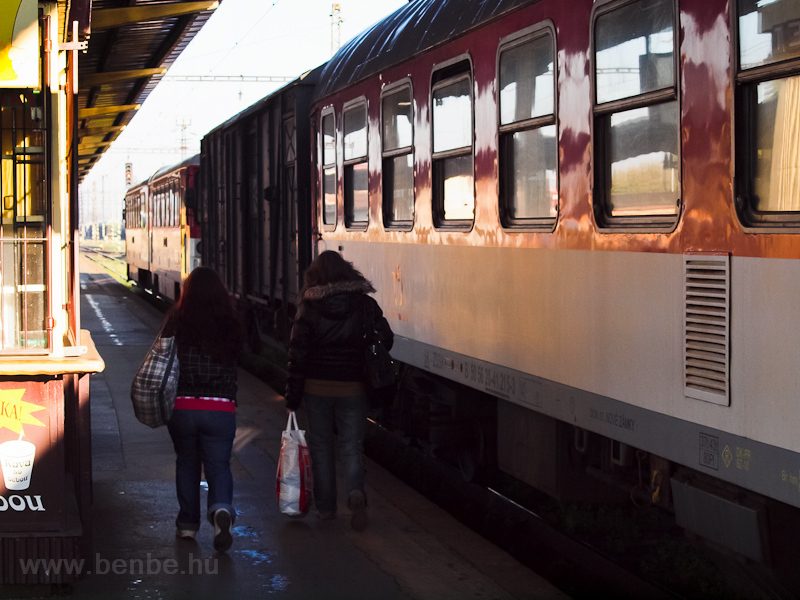 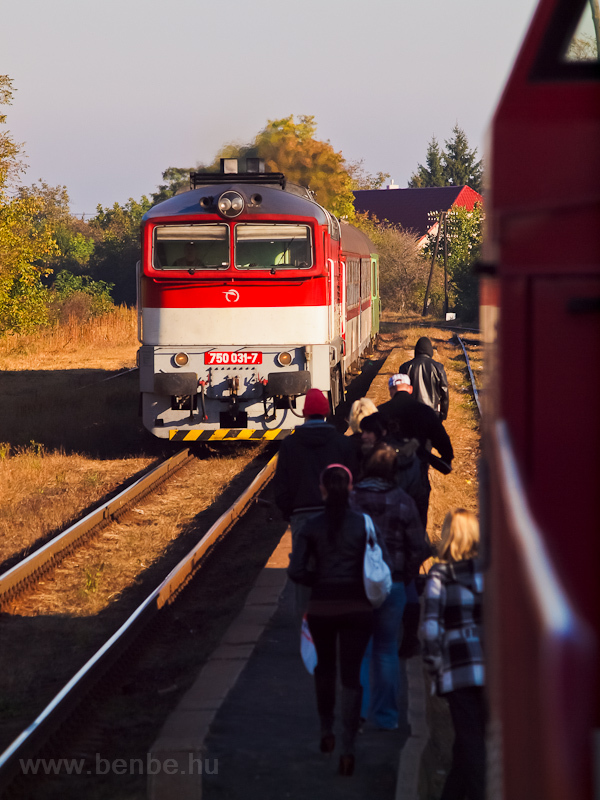 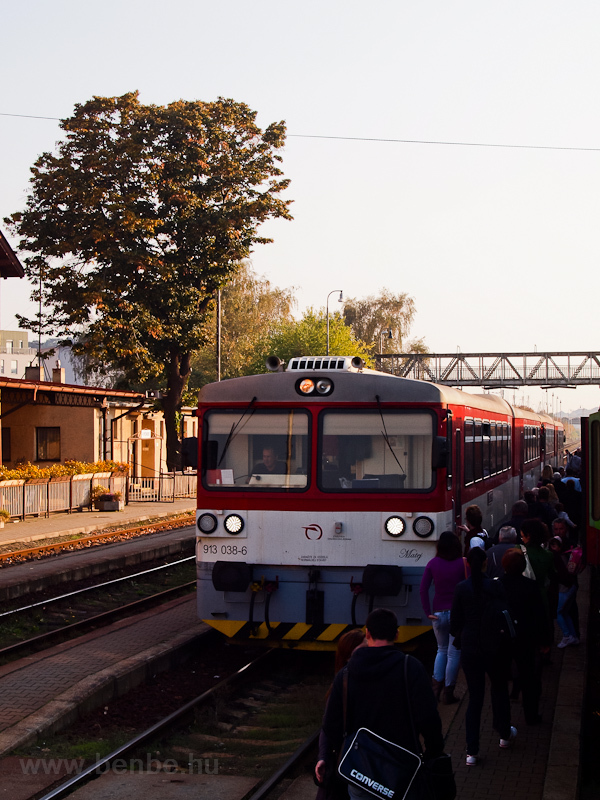 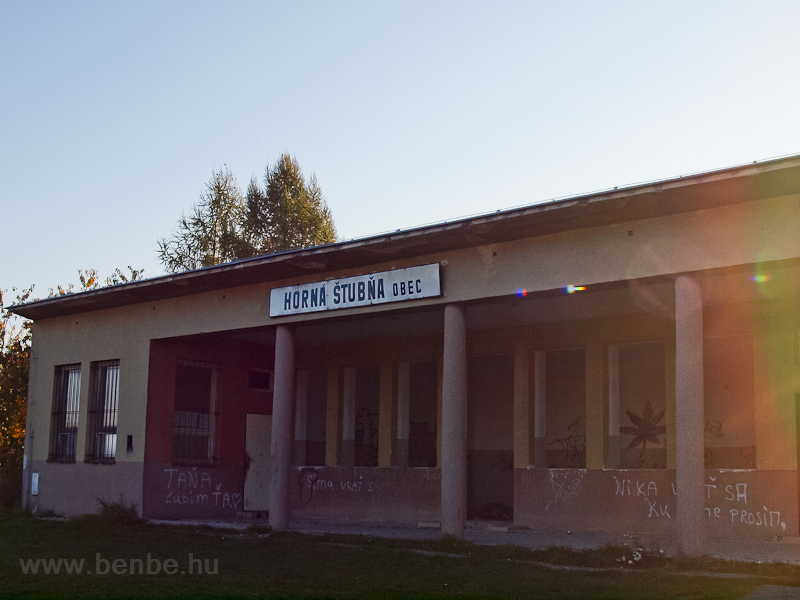 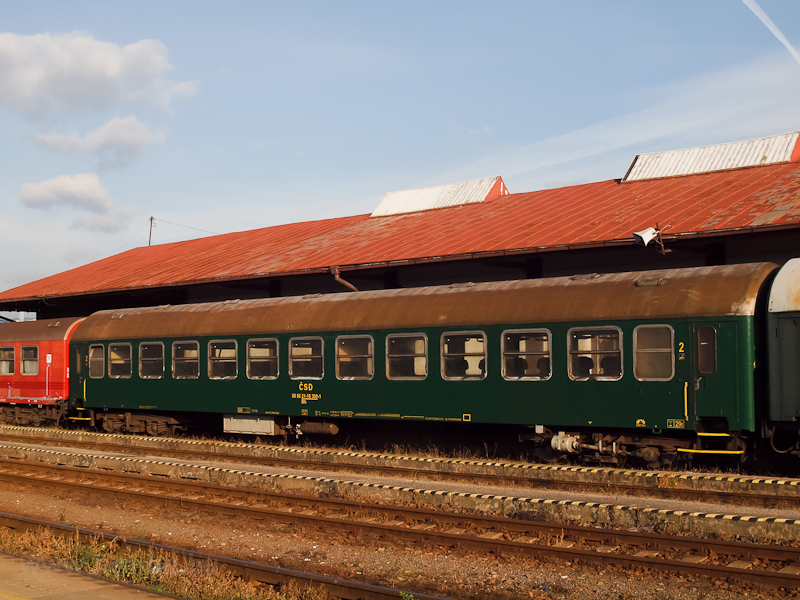 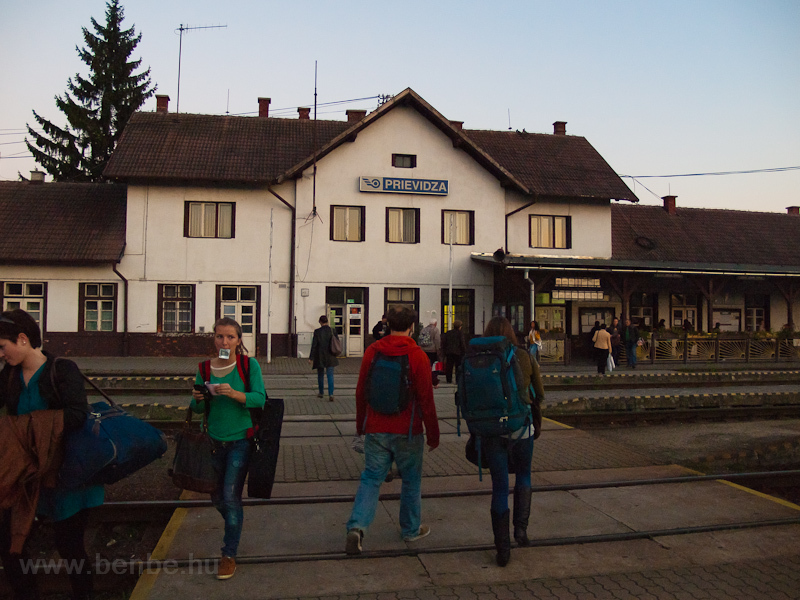 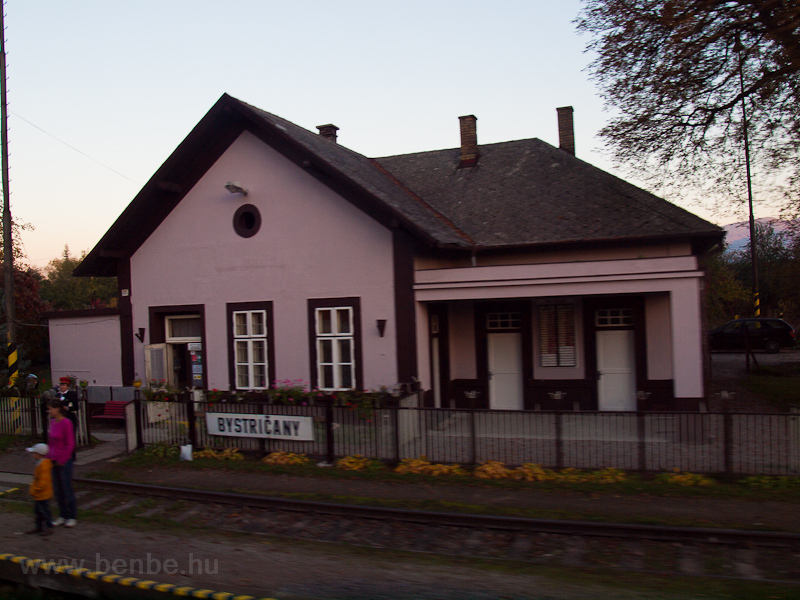 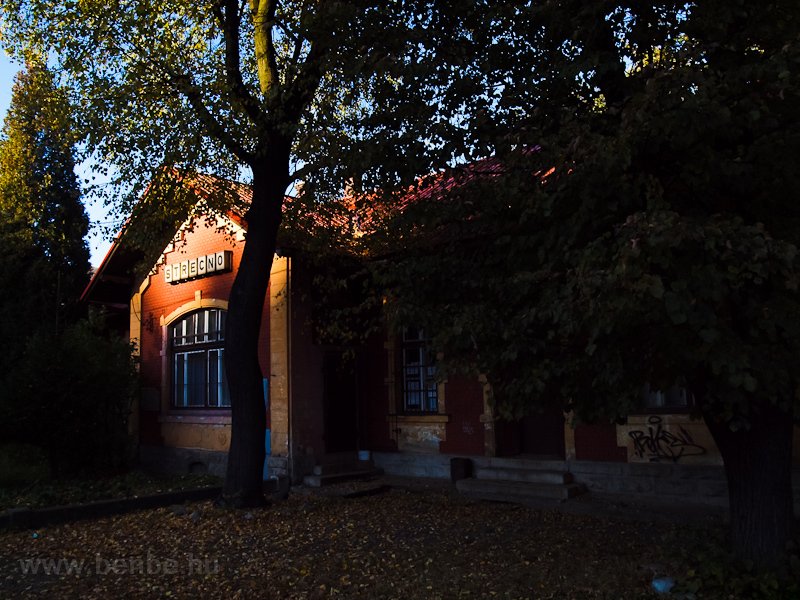 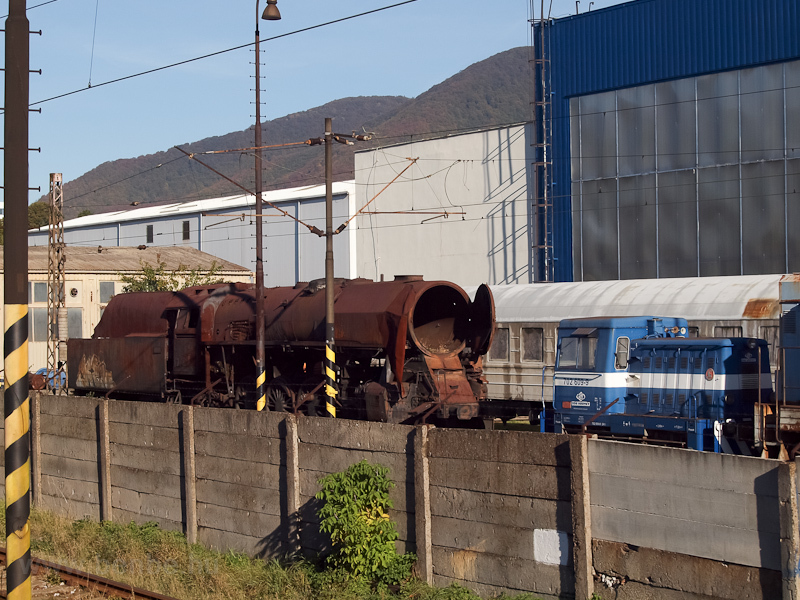 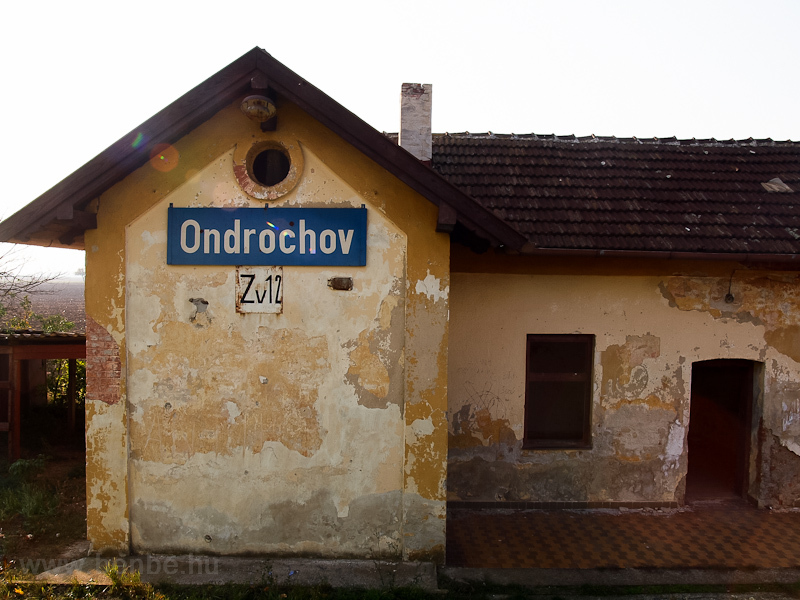 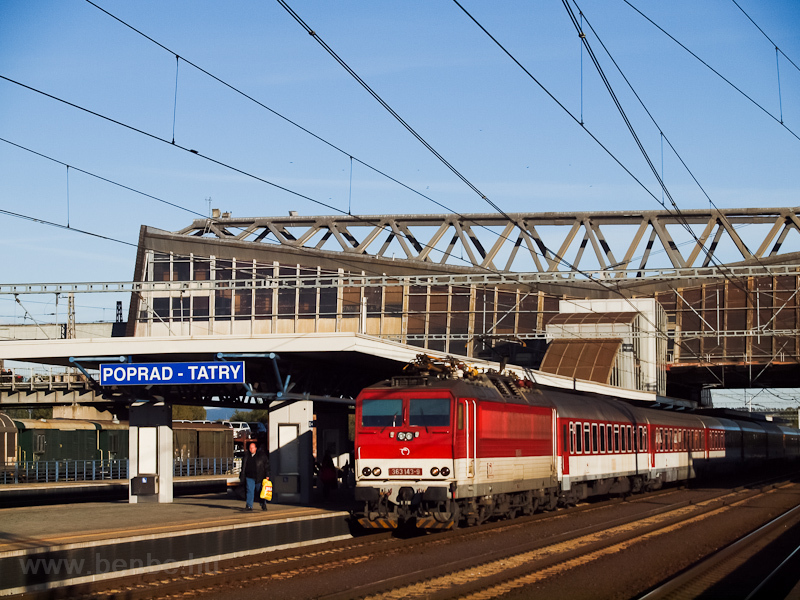 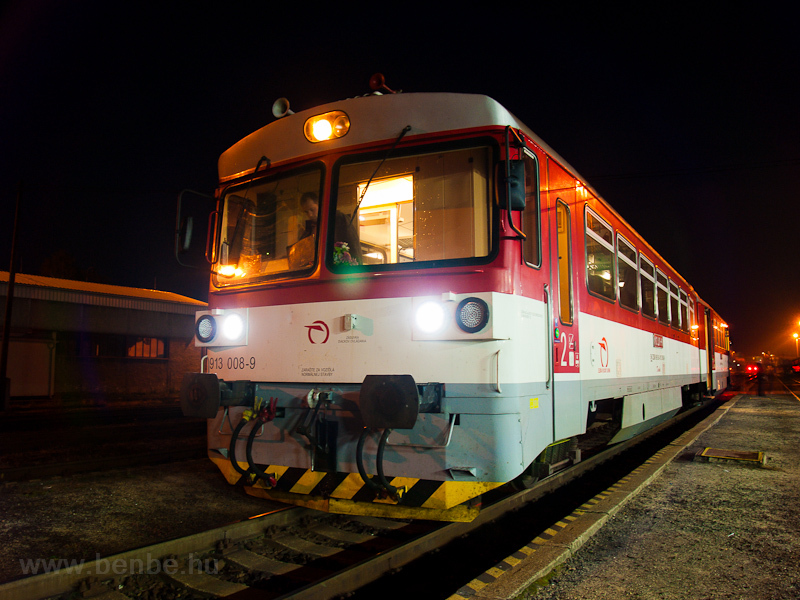 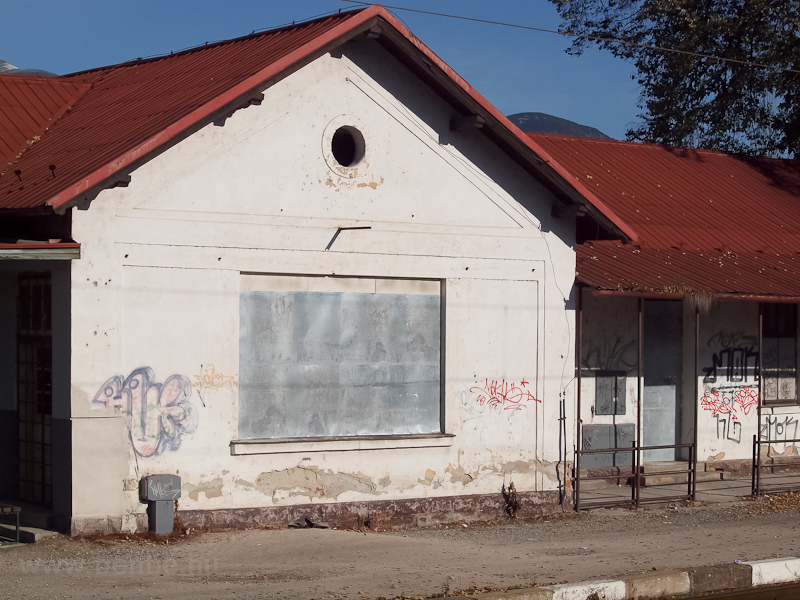 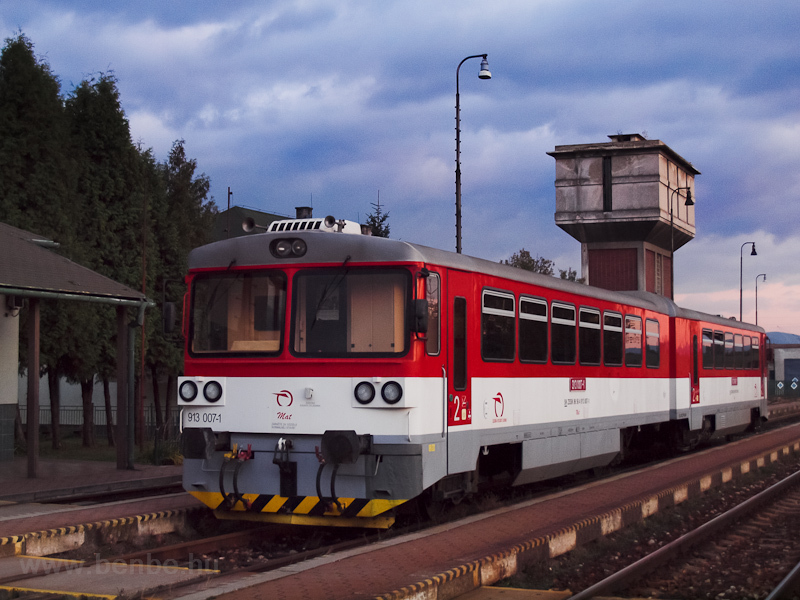 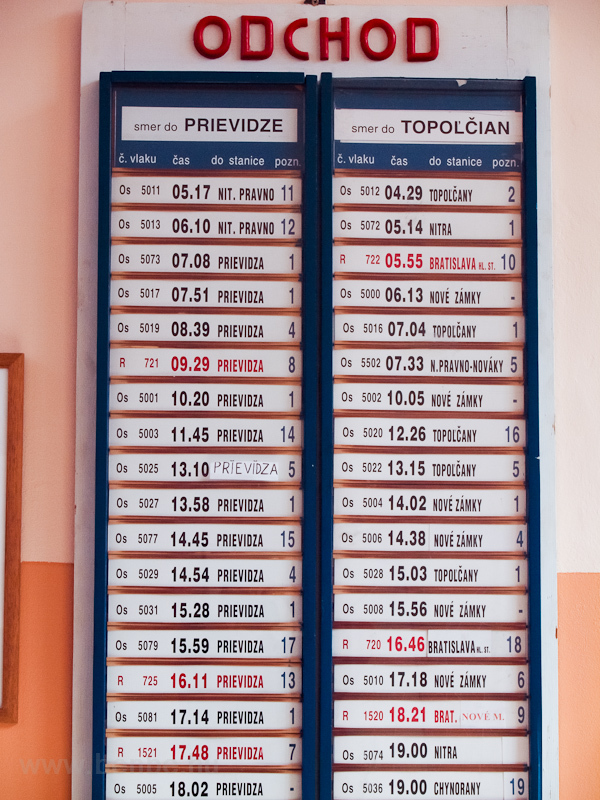 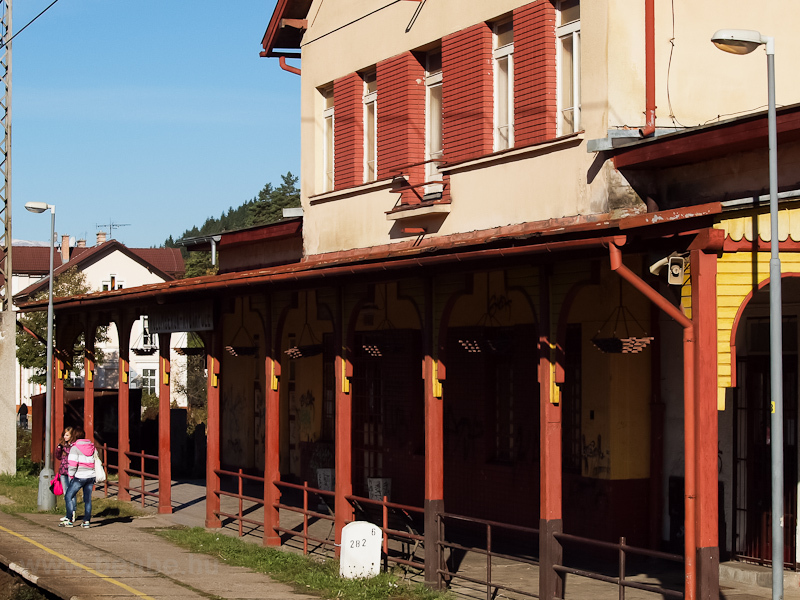 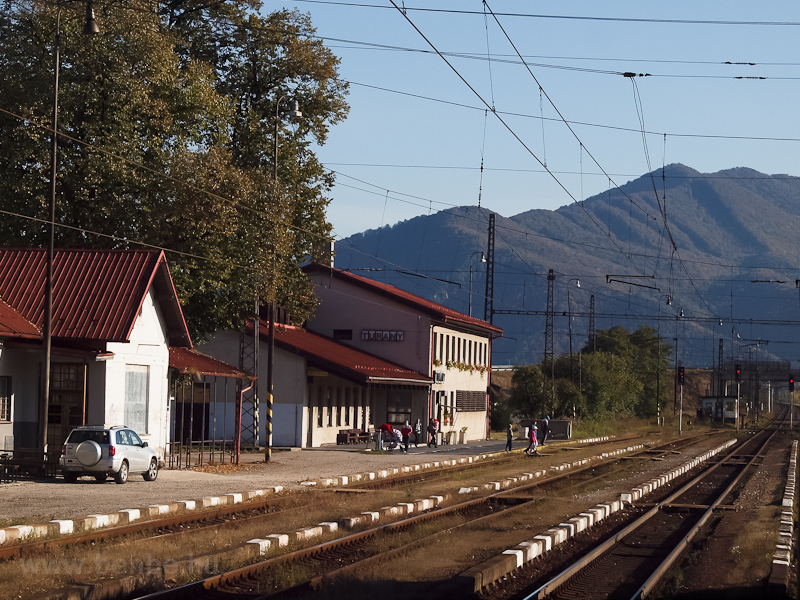 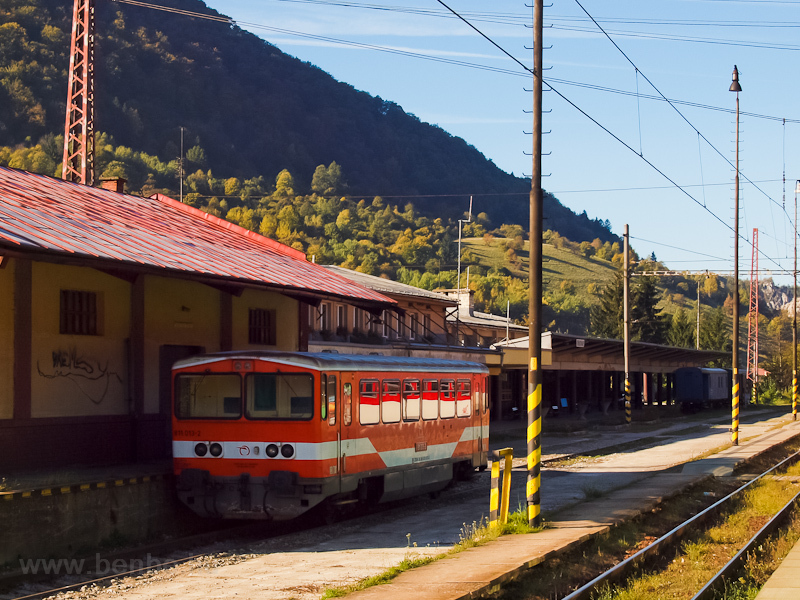 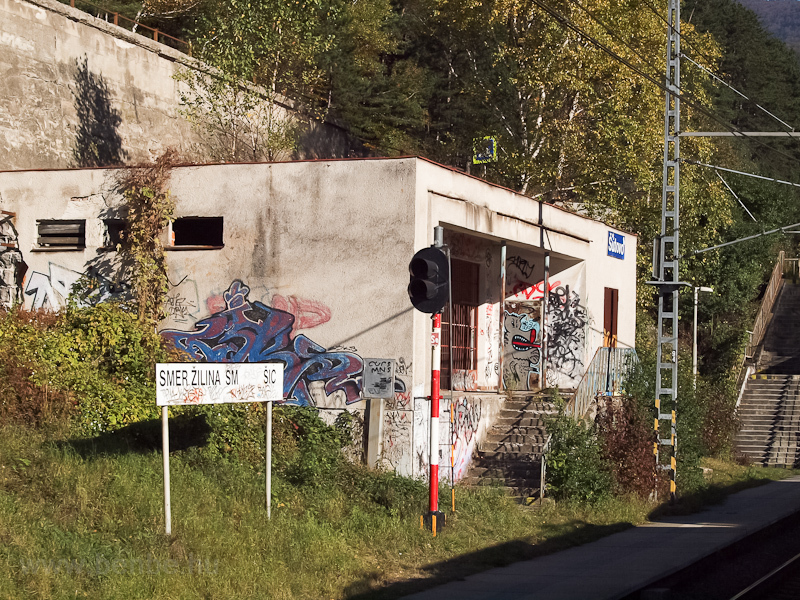 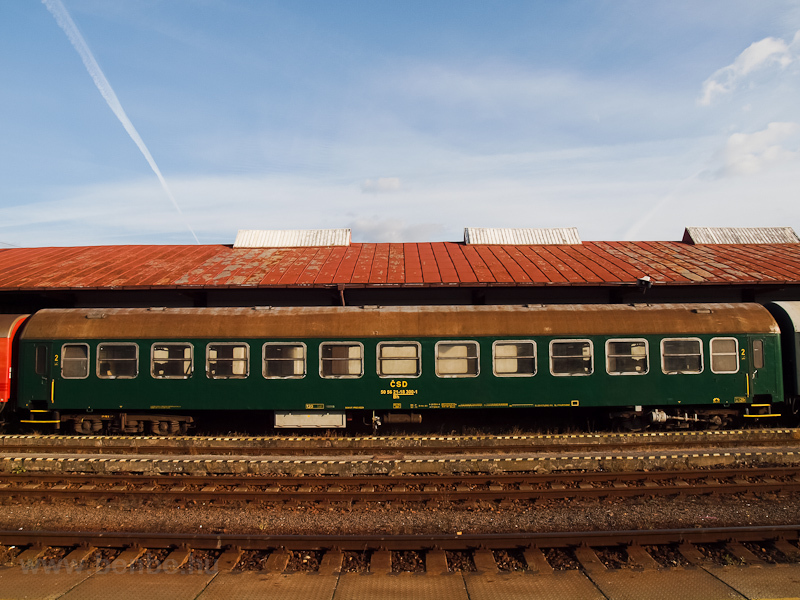 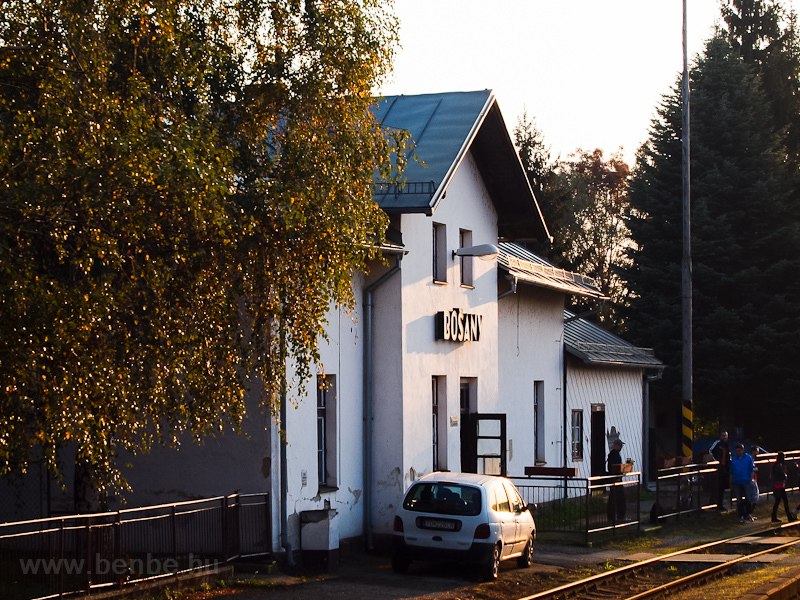 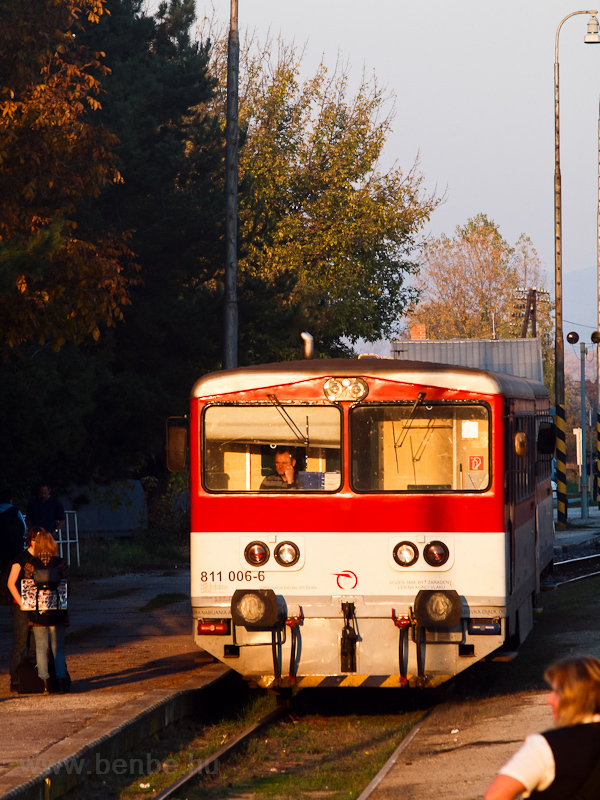 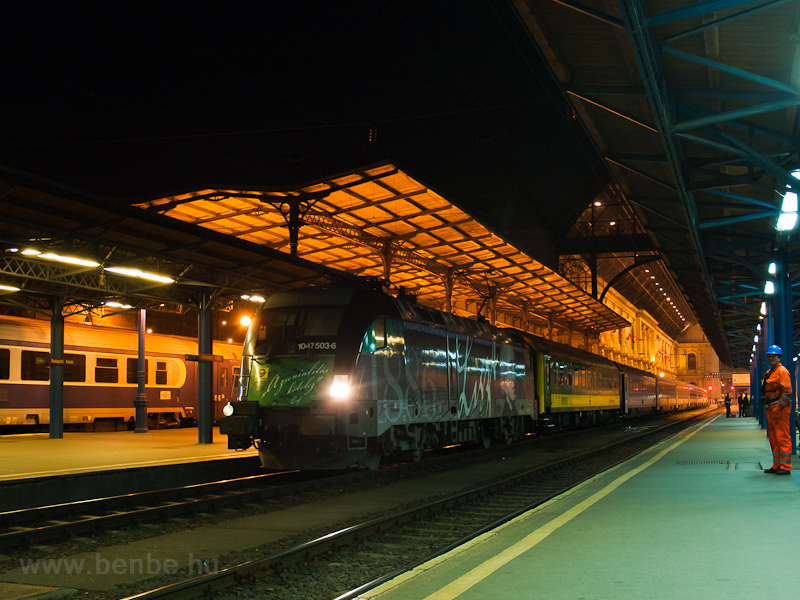 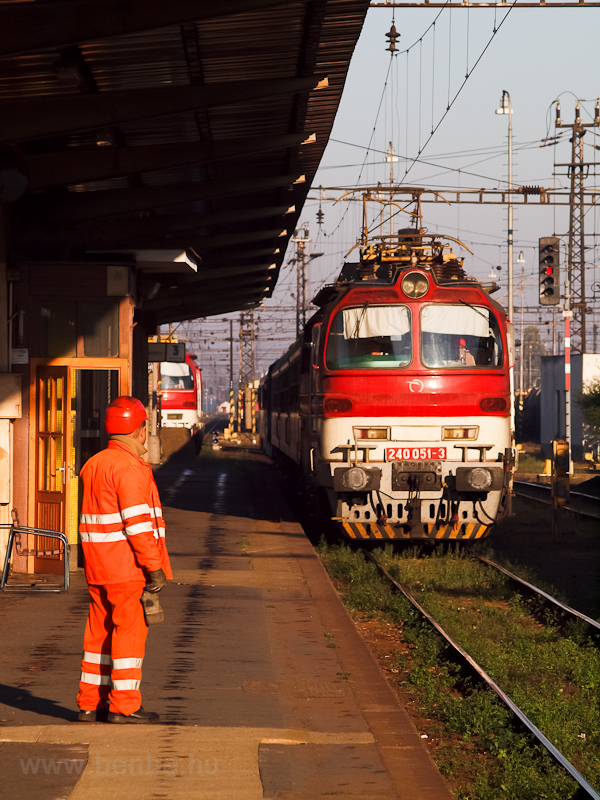 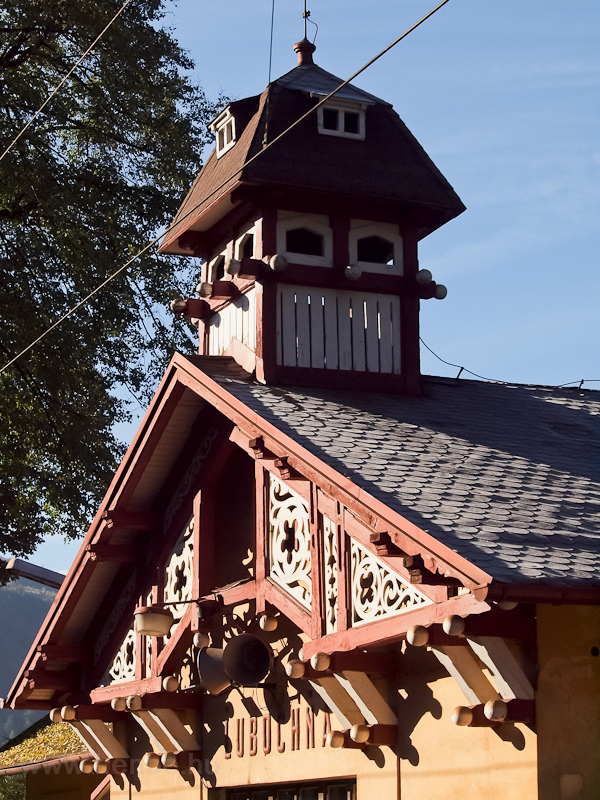 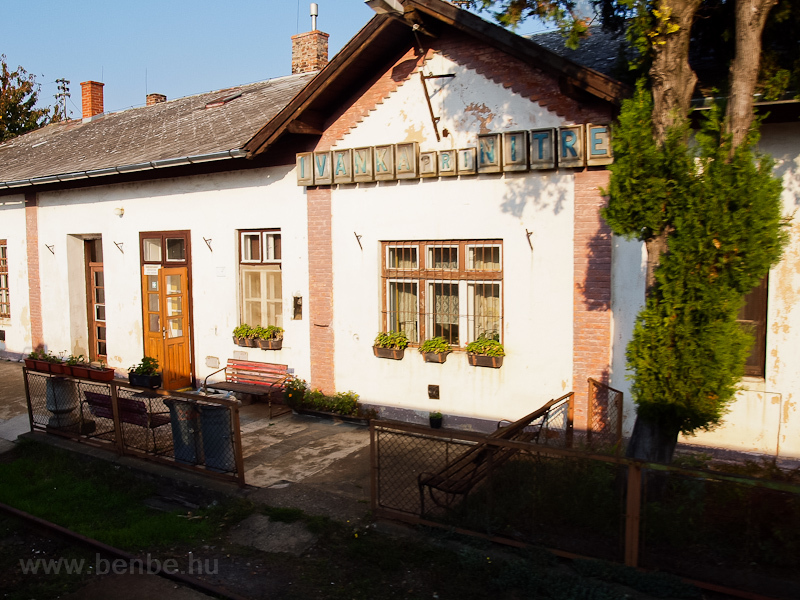 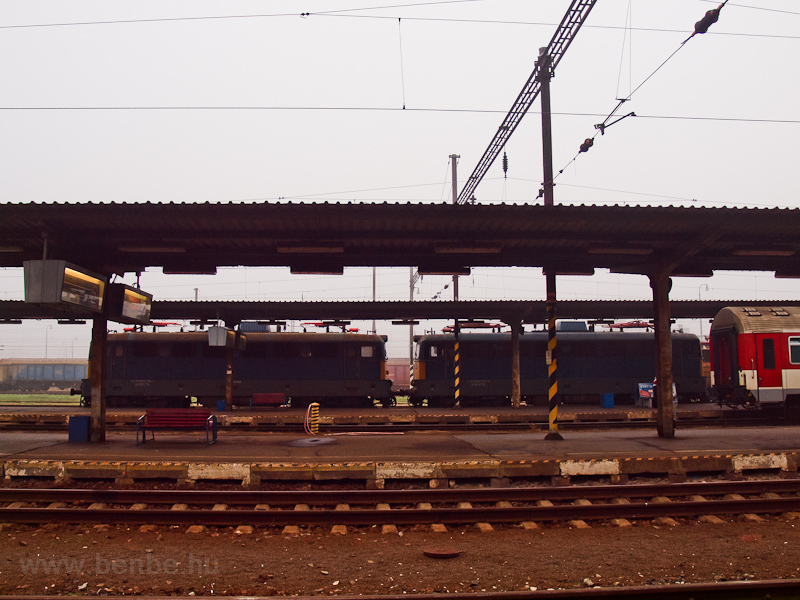 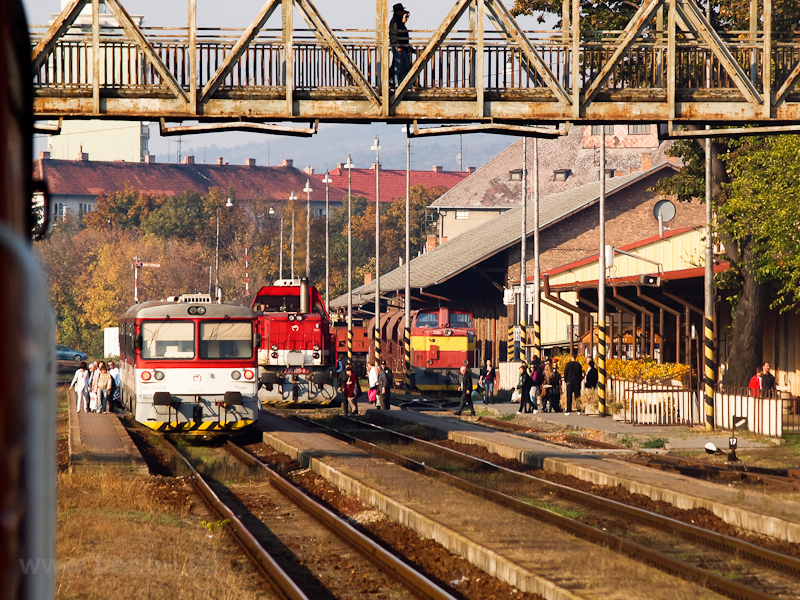 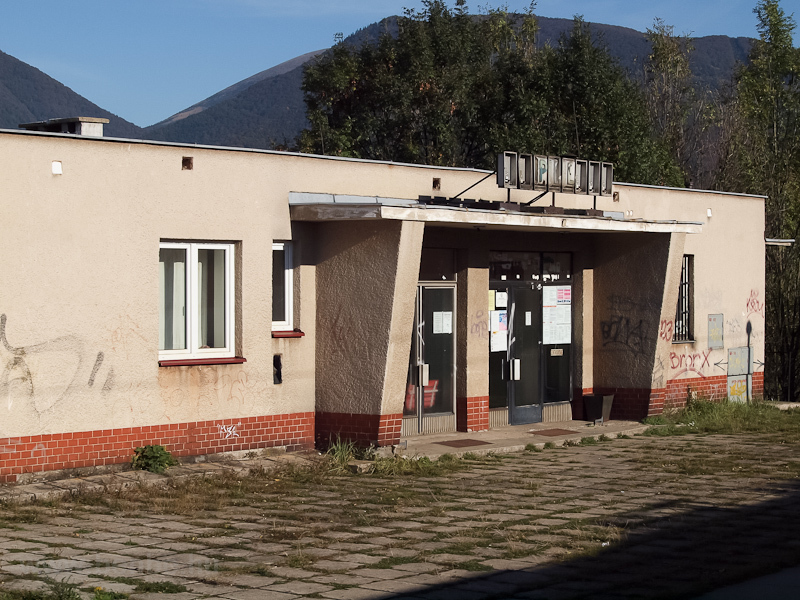 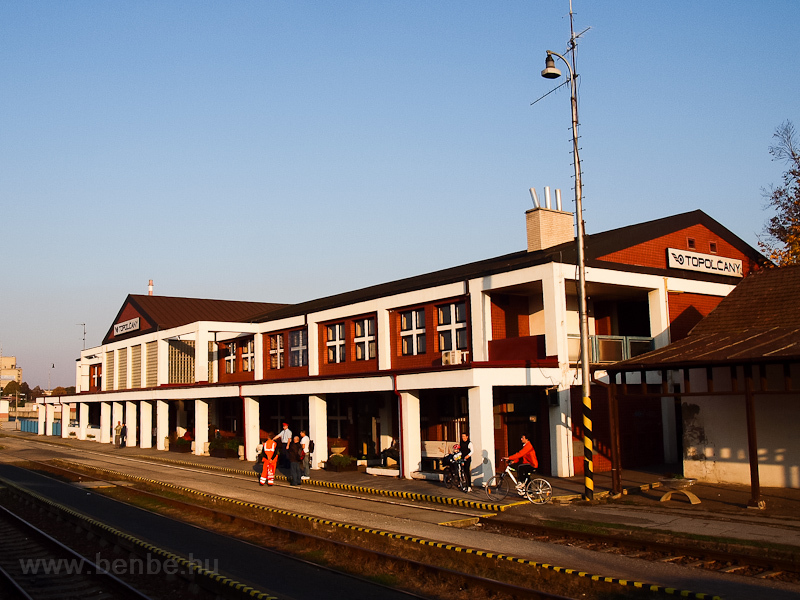 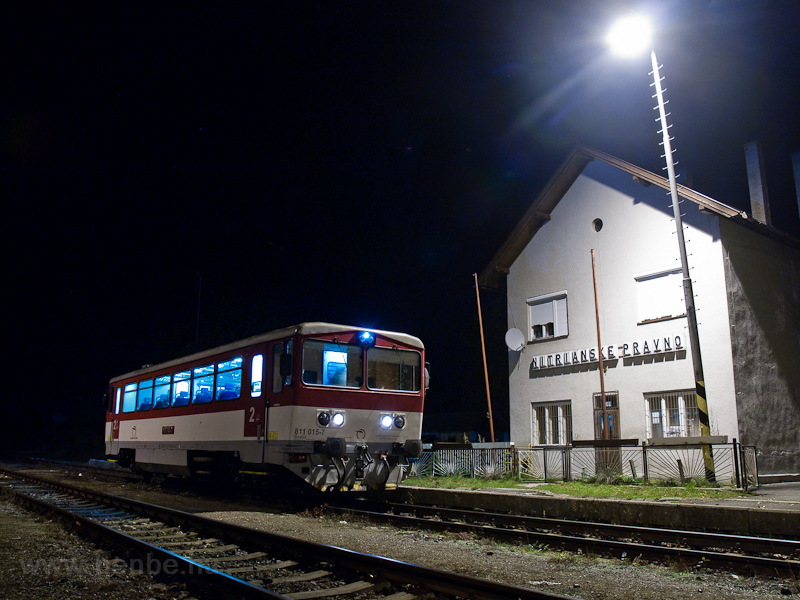 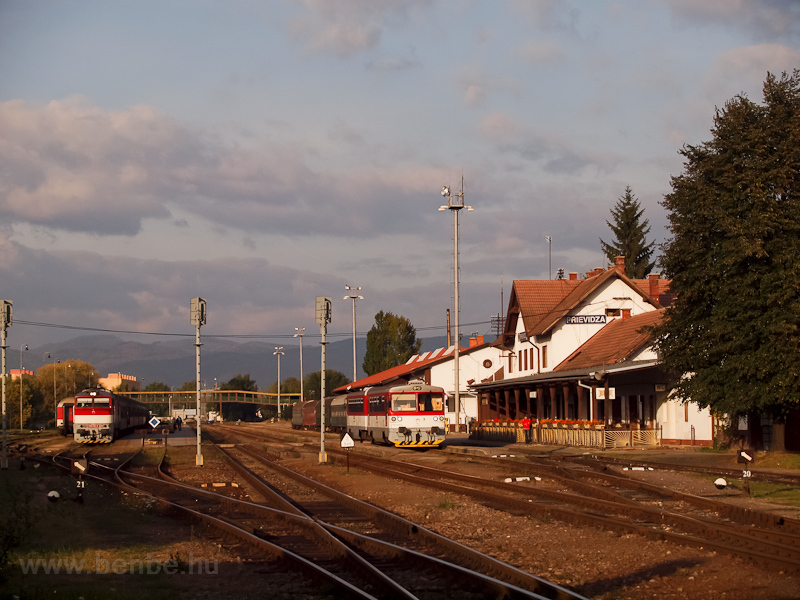 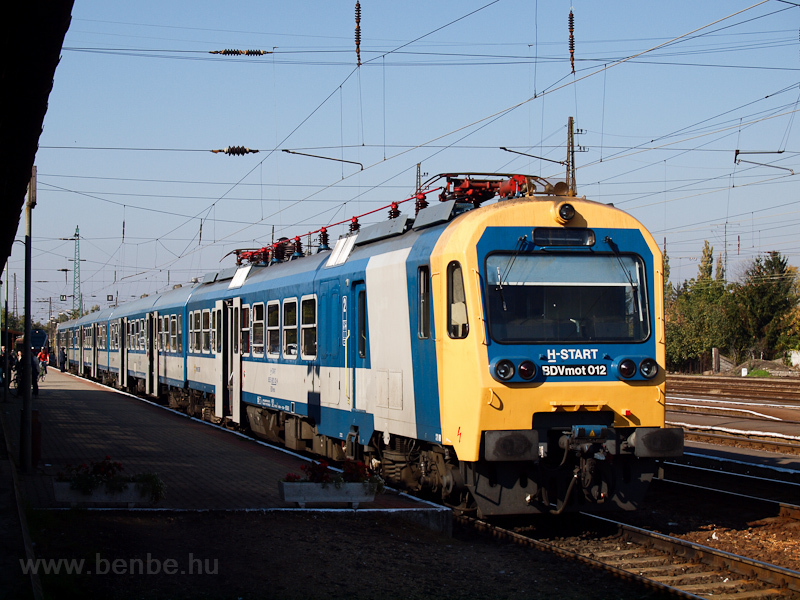 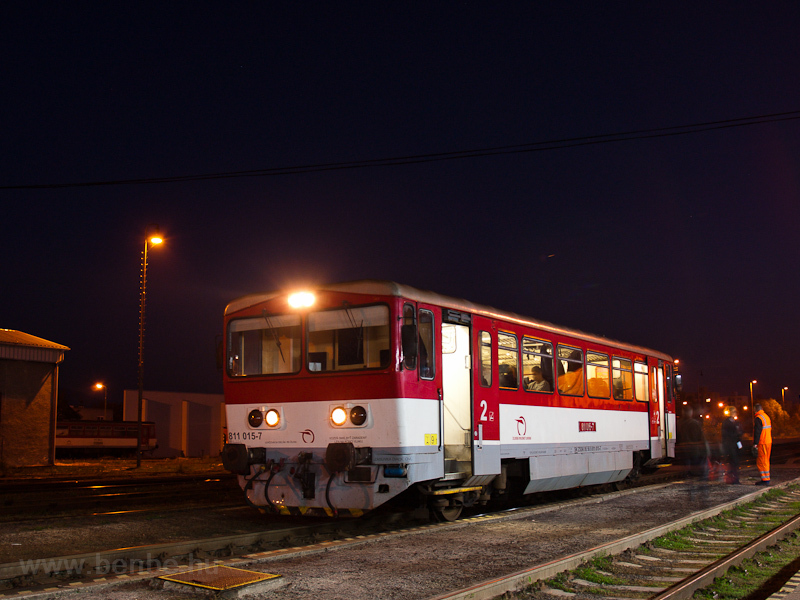 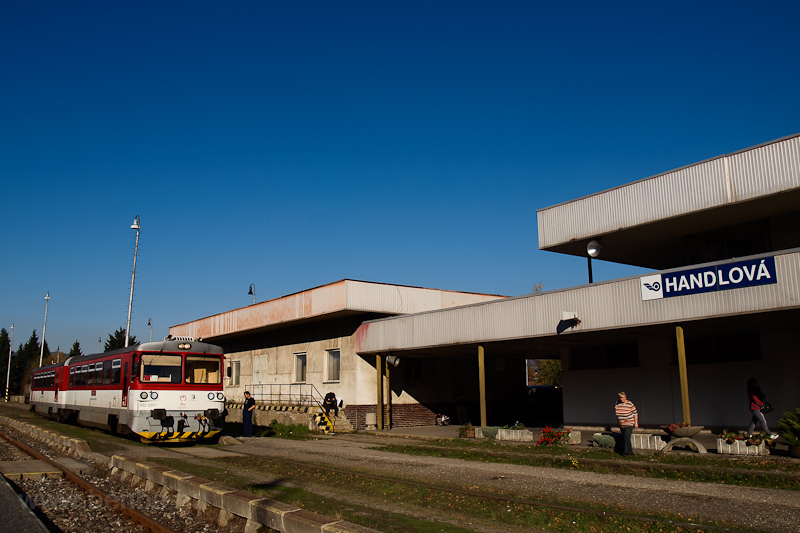 Departures from Nováky: Nitrianske Pravno (Németpróna, Slovakia) has since closed and there will not be direct trains to Nové Zámky (érsekújvár) as well. 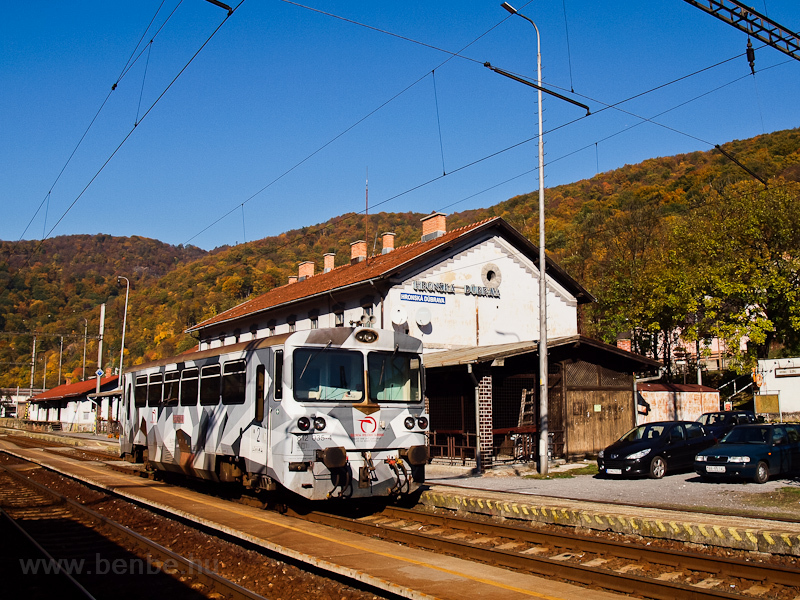 The Skoda car in the foreground is just fantastic. 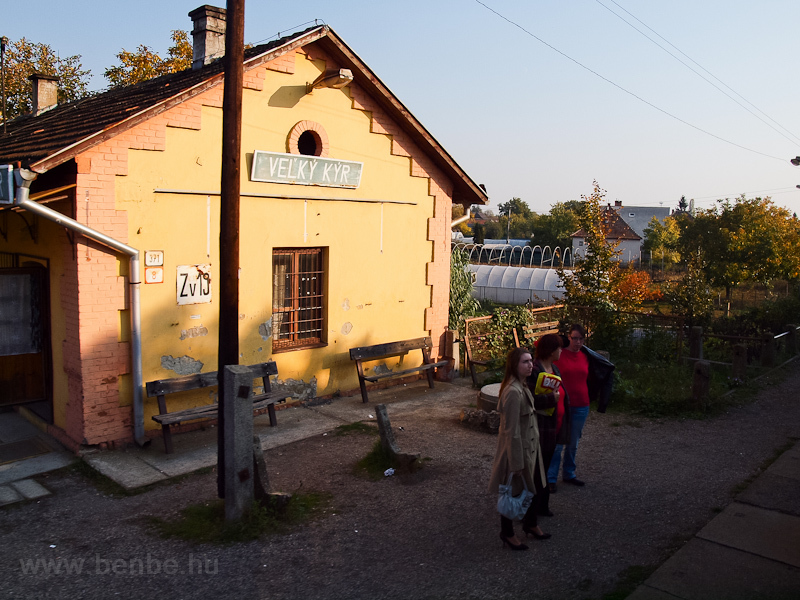 Pat and Mat did a round trip to Topolciany while I had dinner. 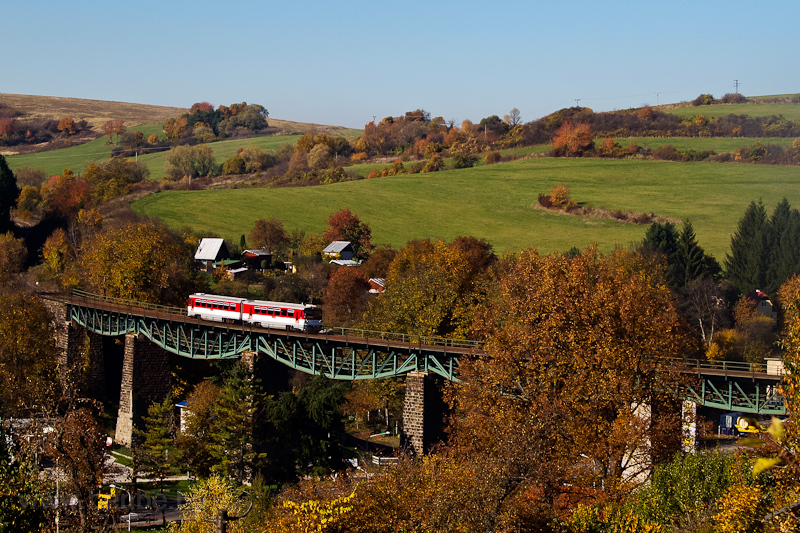 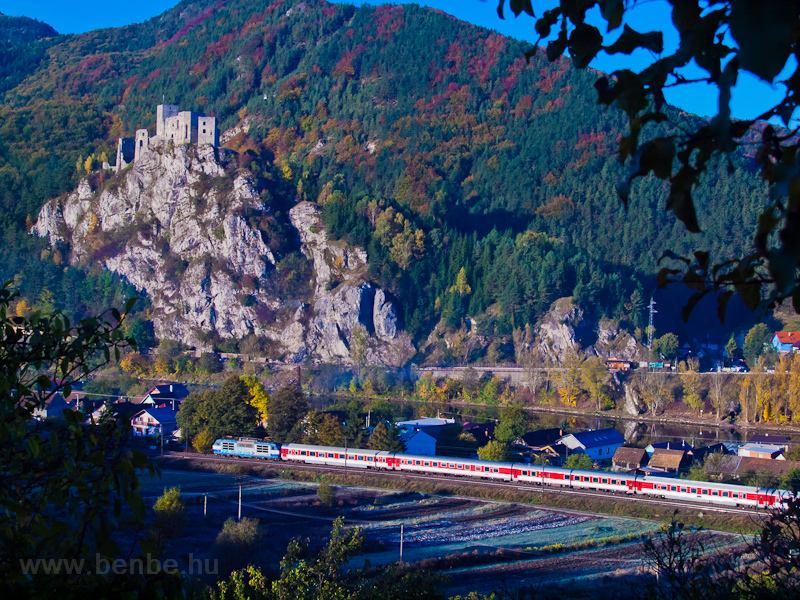 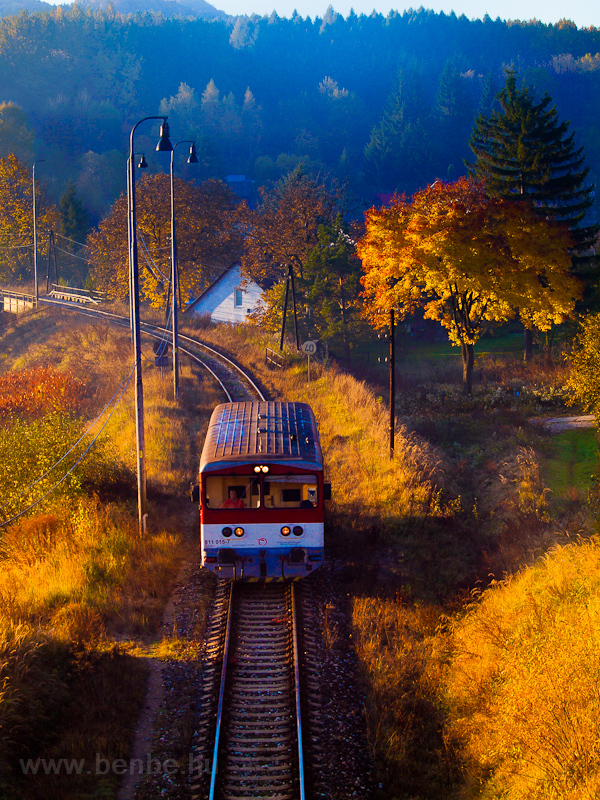 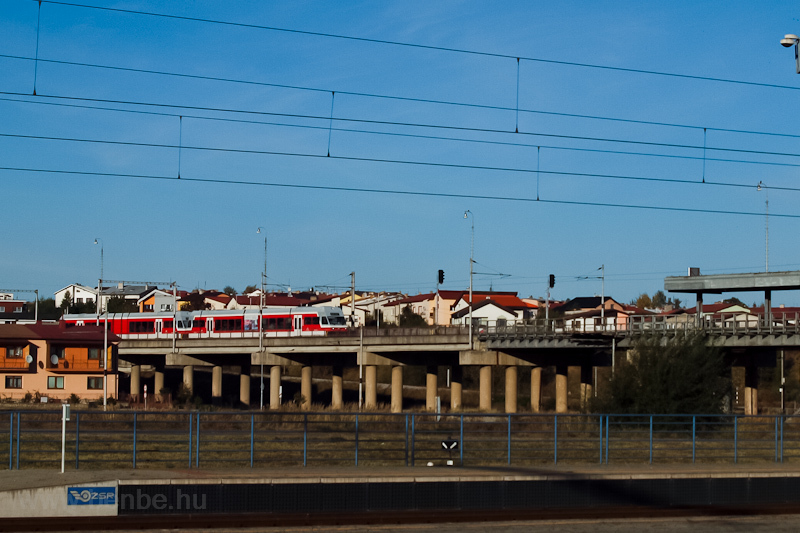 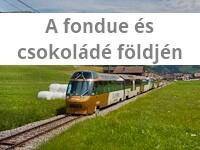 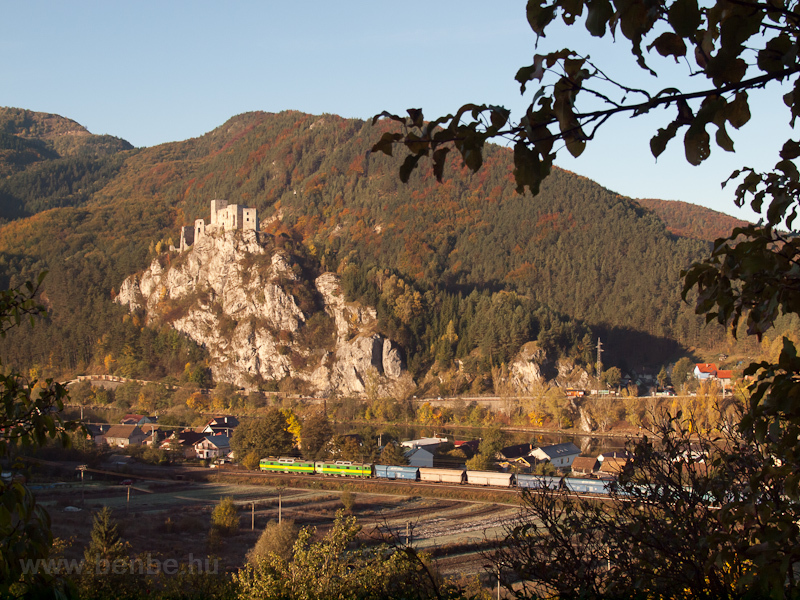 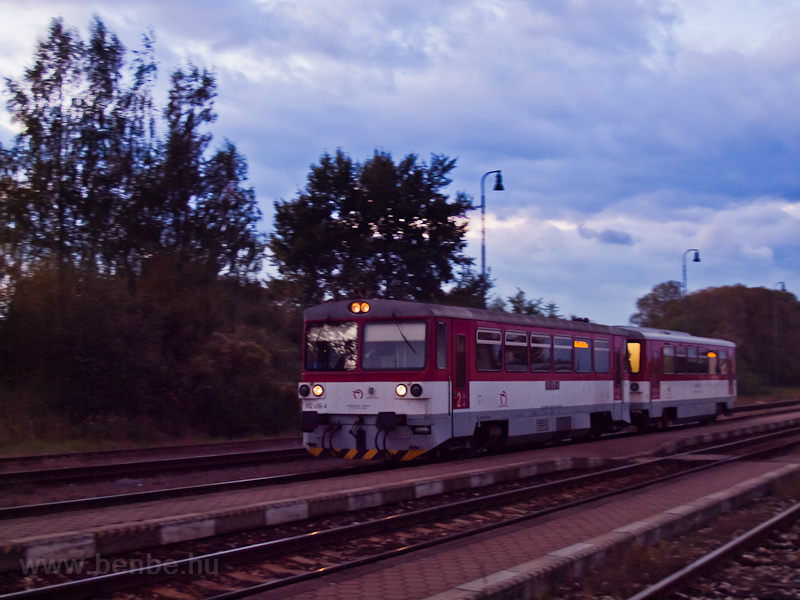 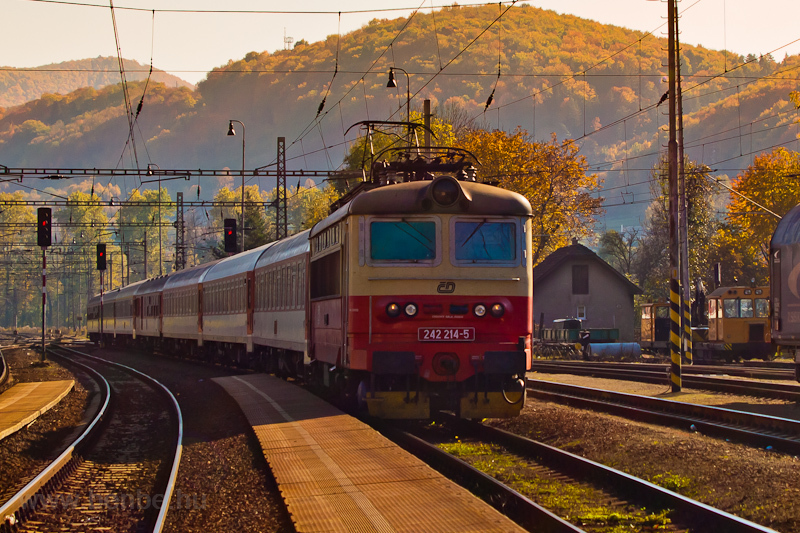 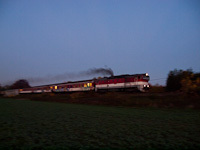 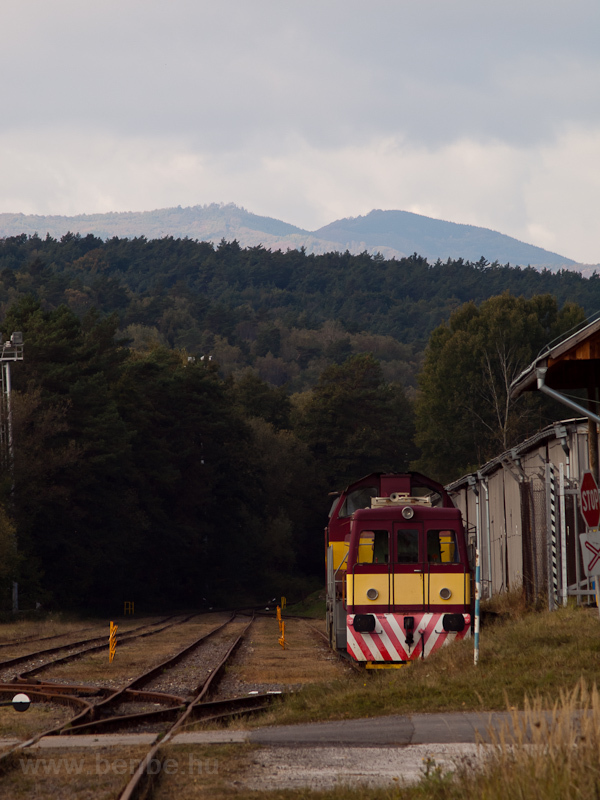 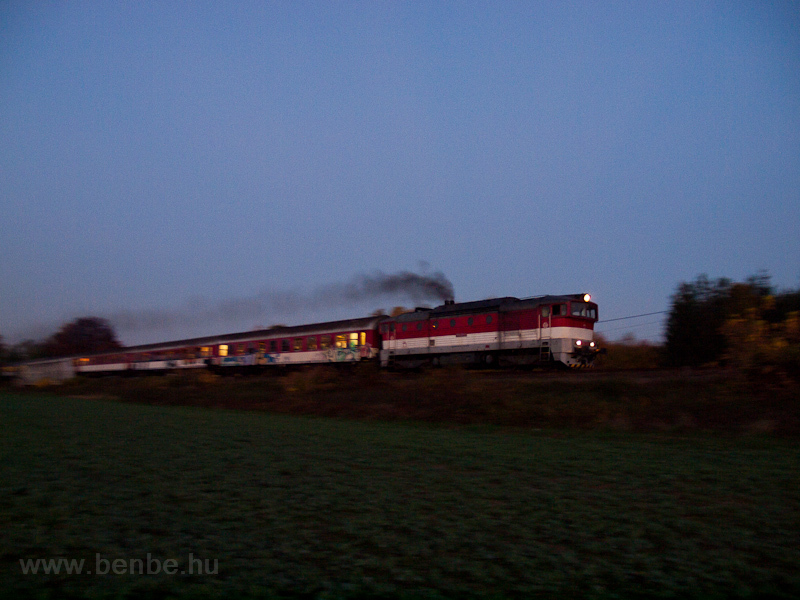 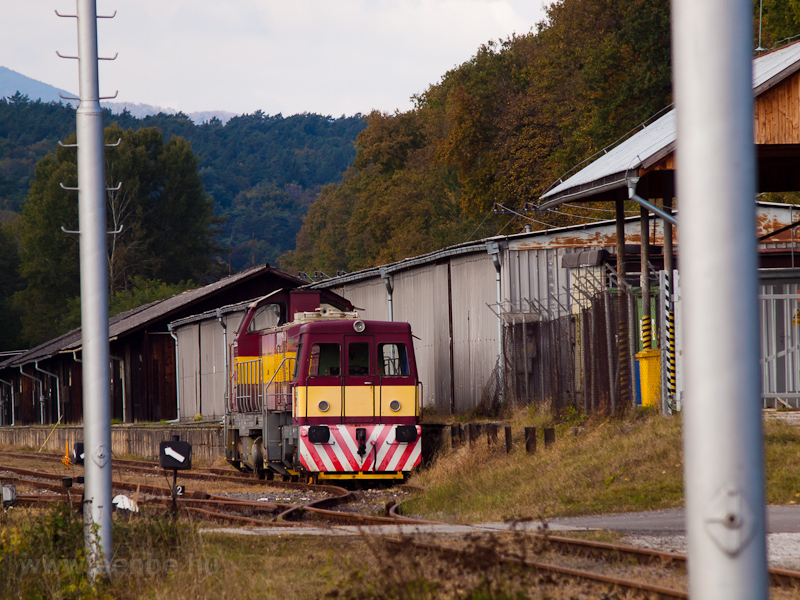 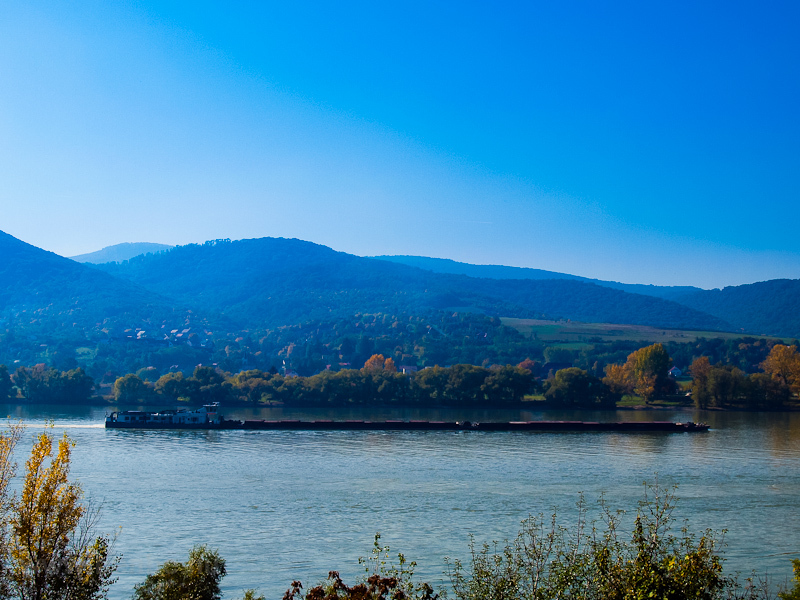 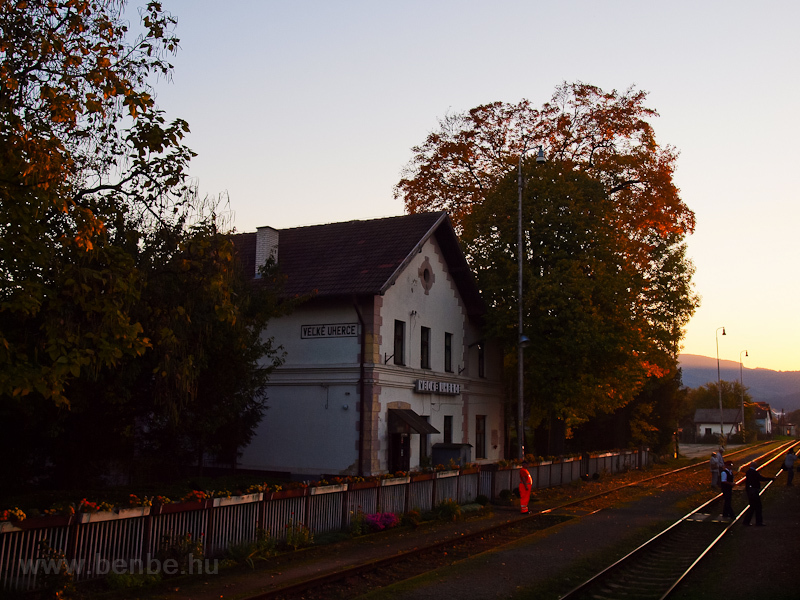 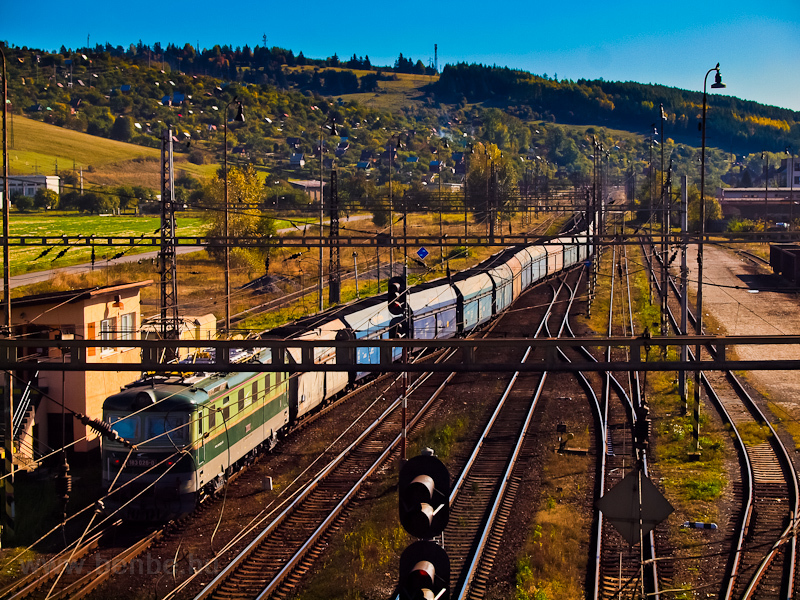 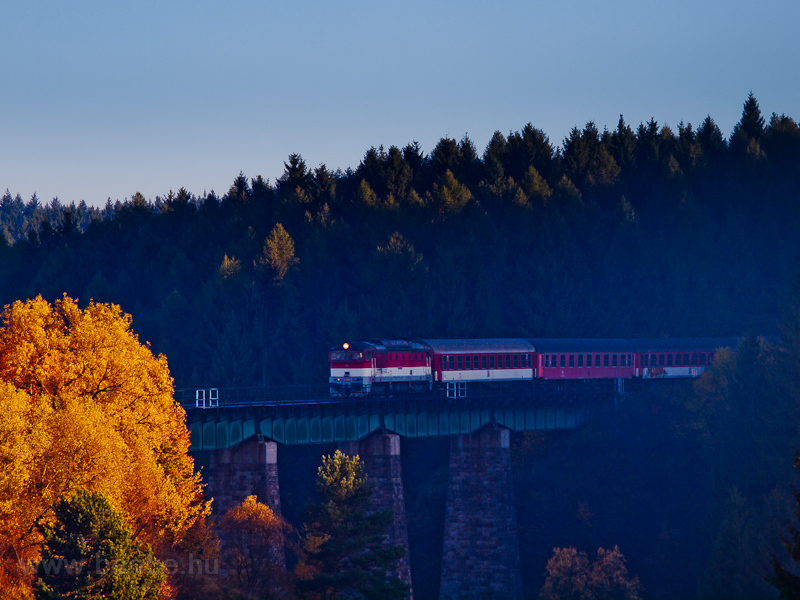 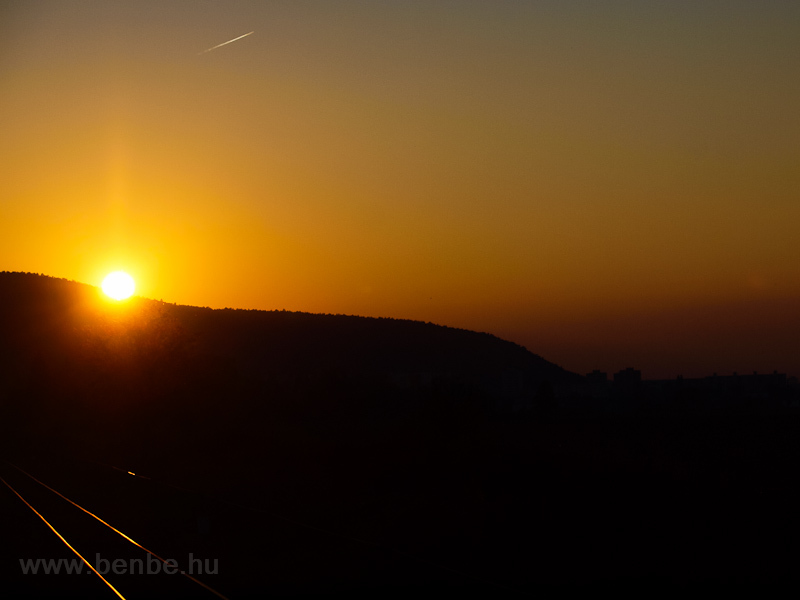 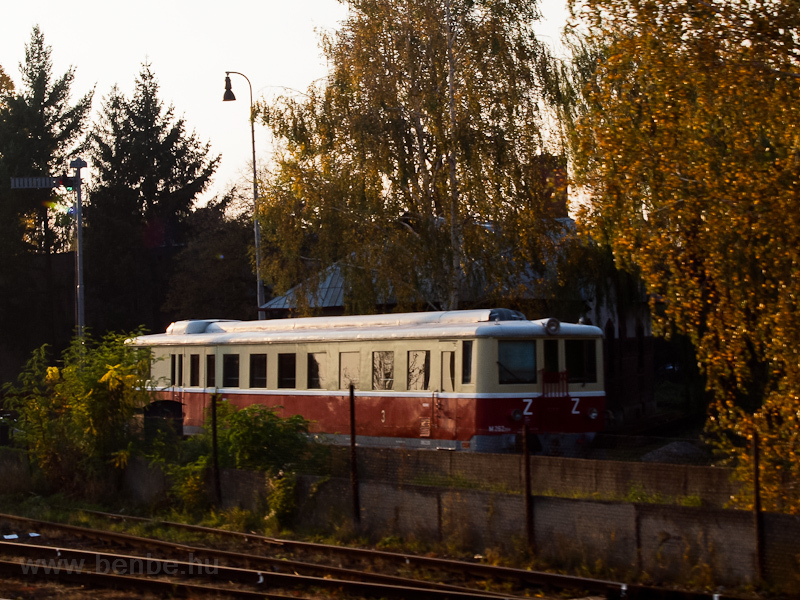 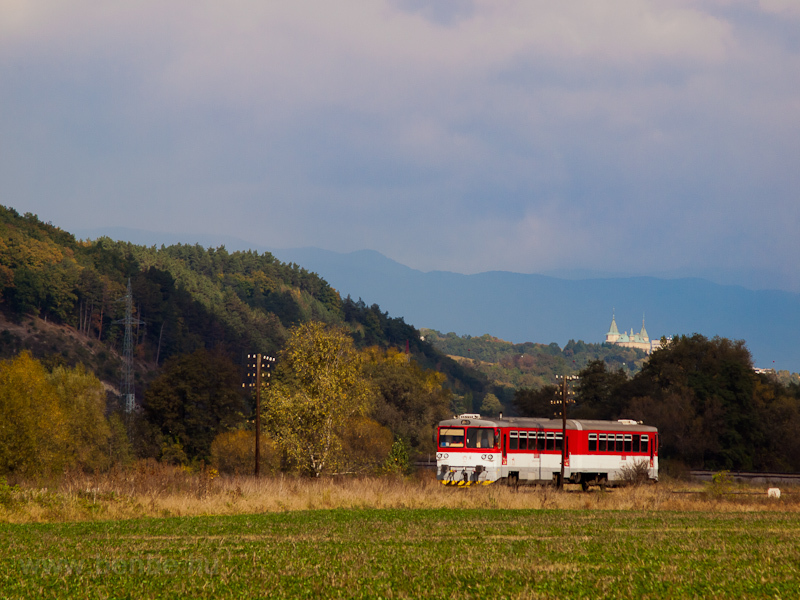 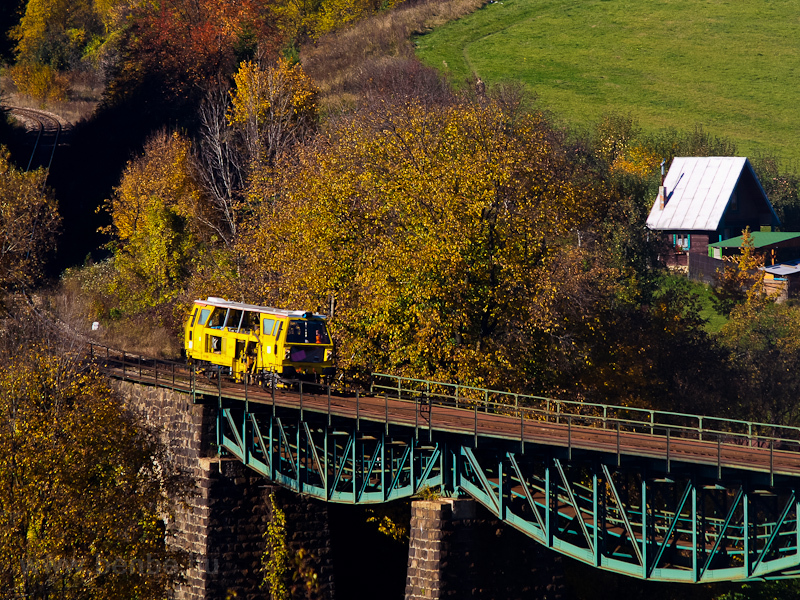 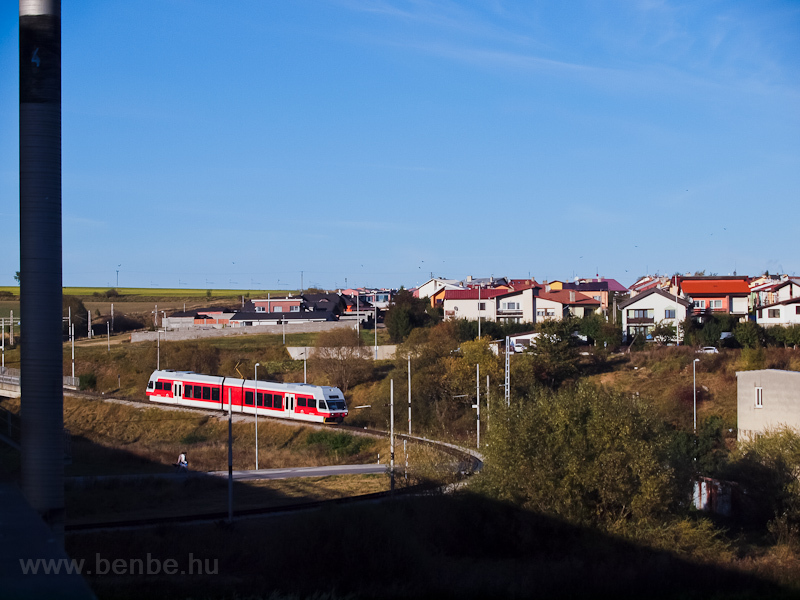 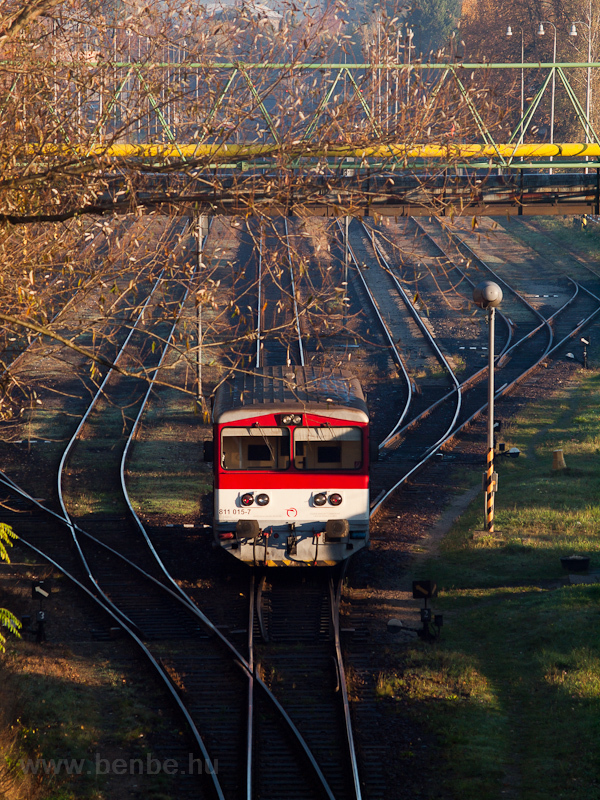 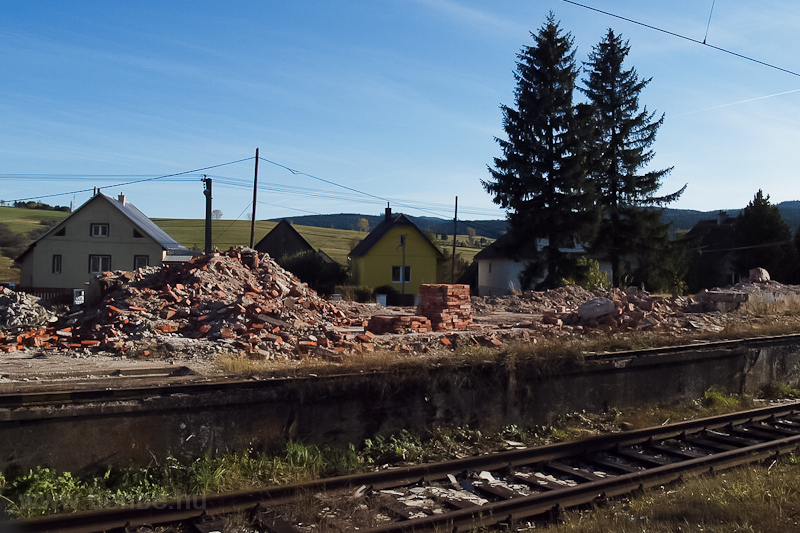 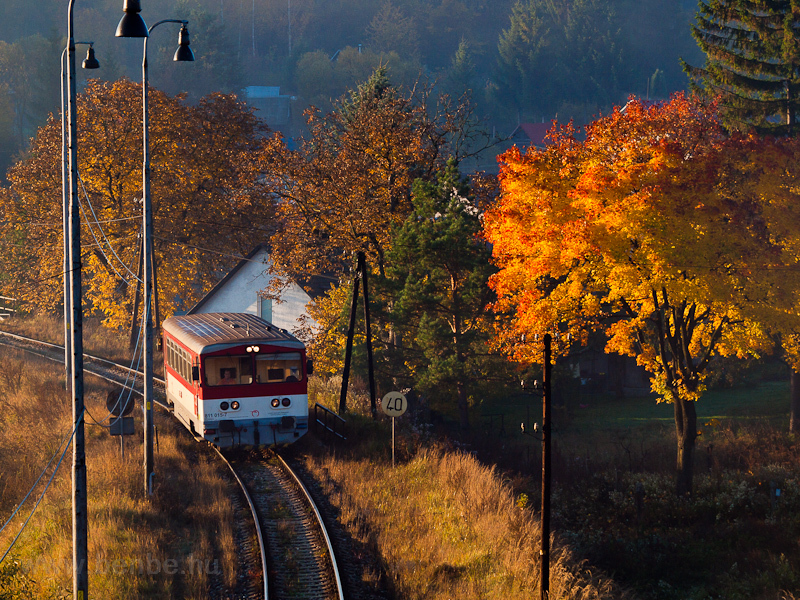 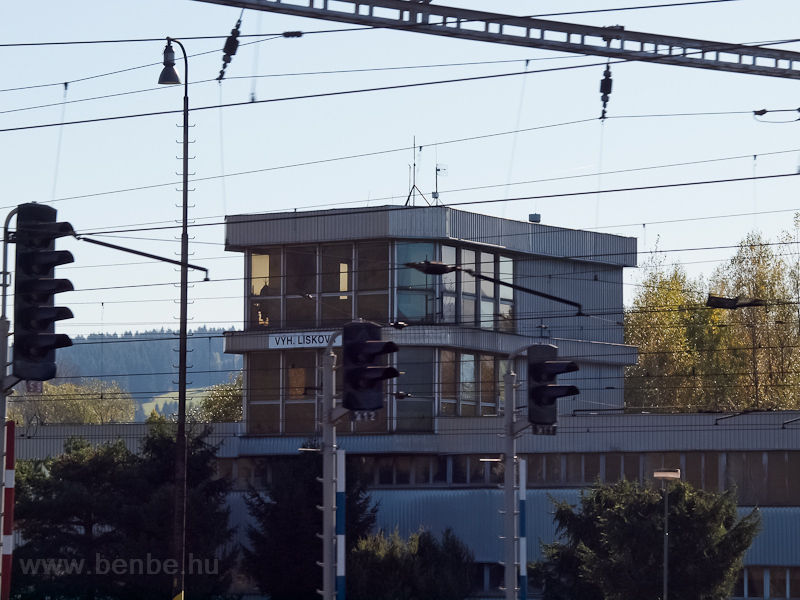 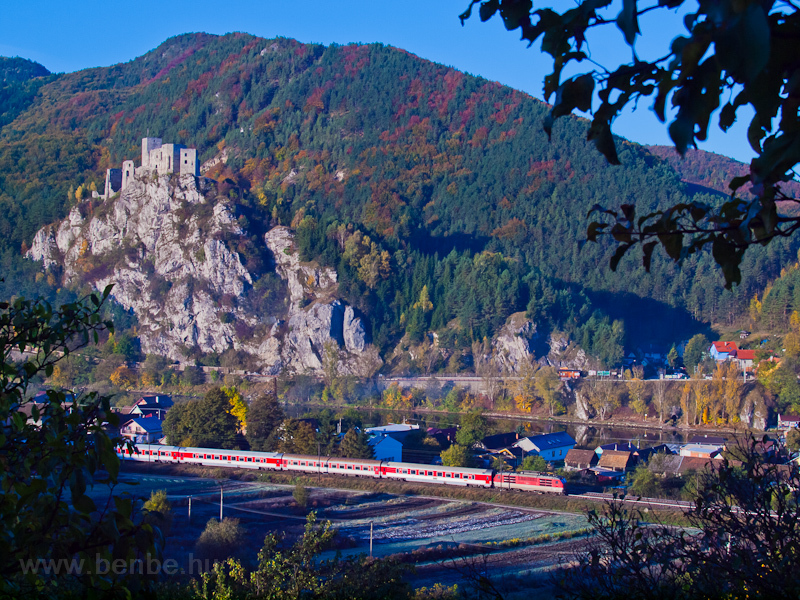 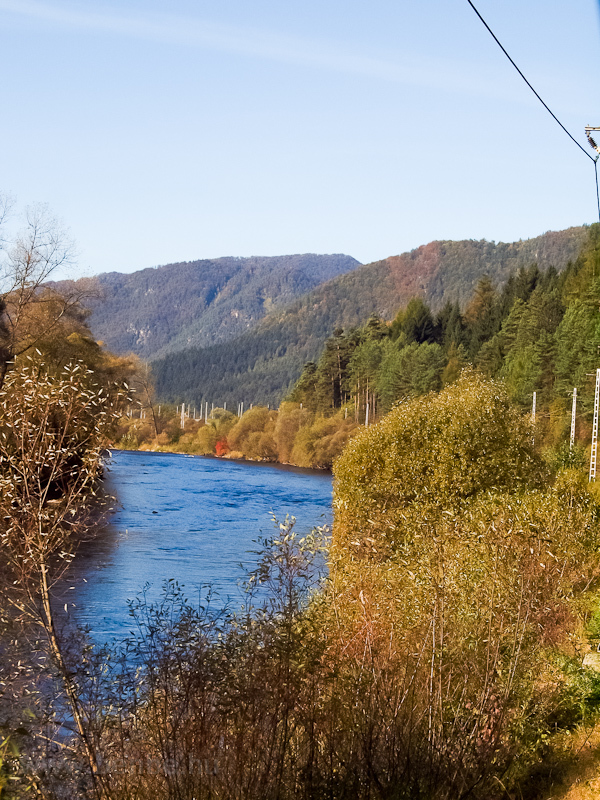 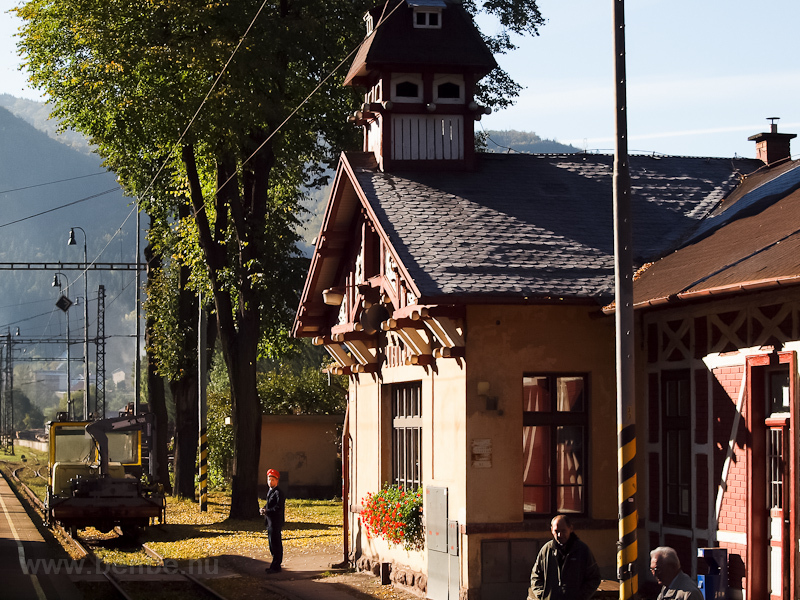 Slowly, the time for my train to Diviaky over Handlová has also come. 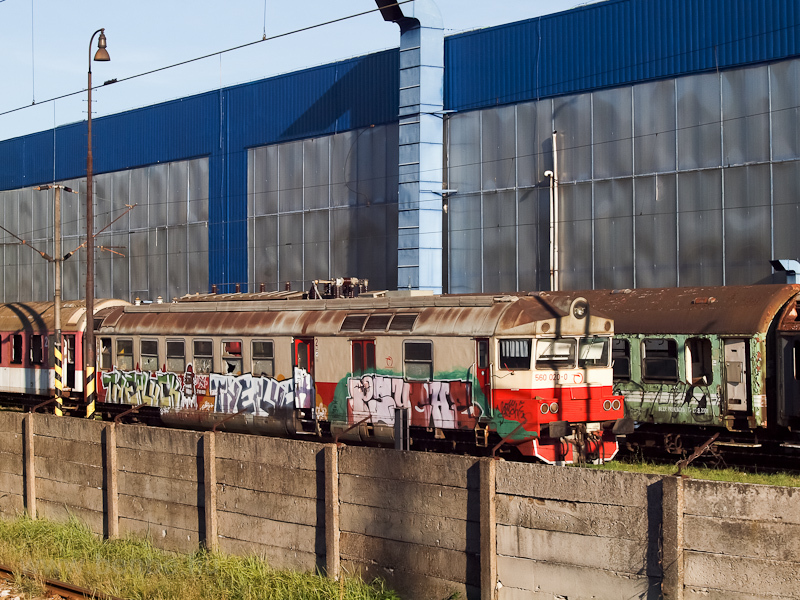 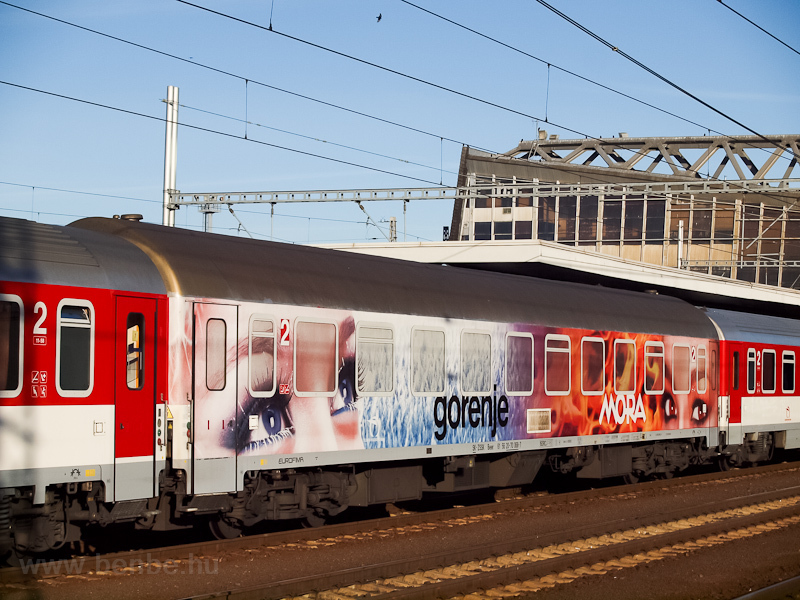 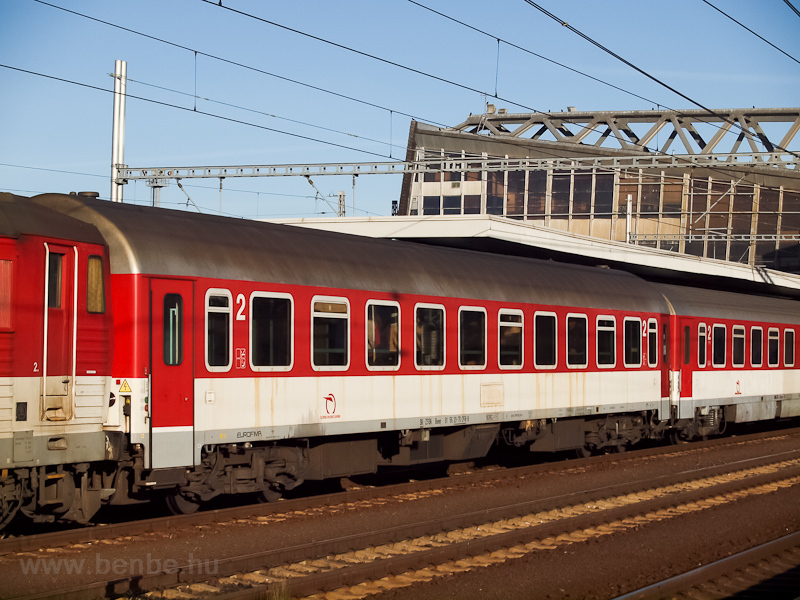 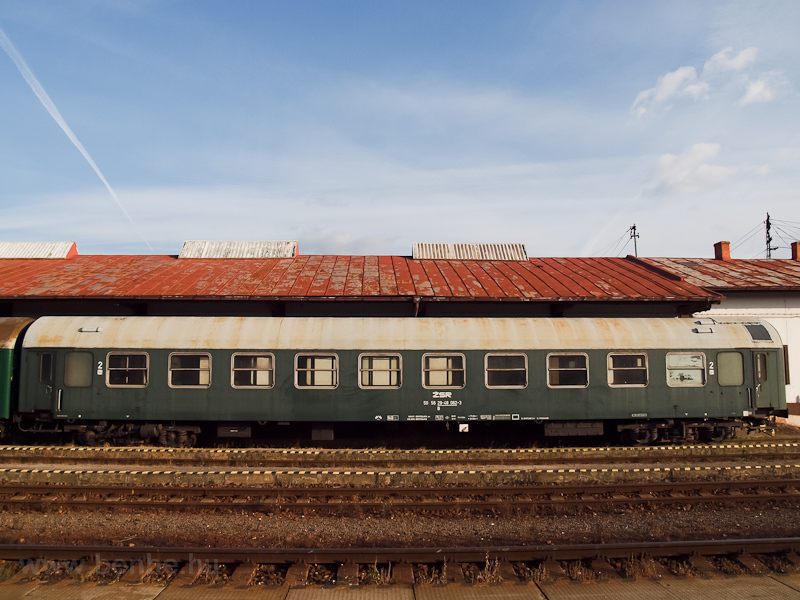 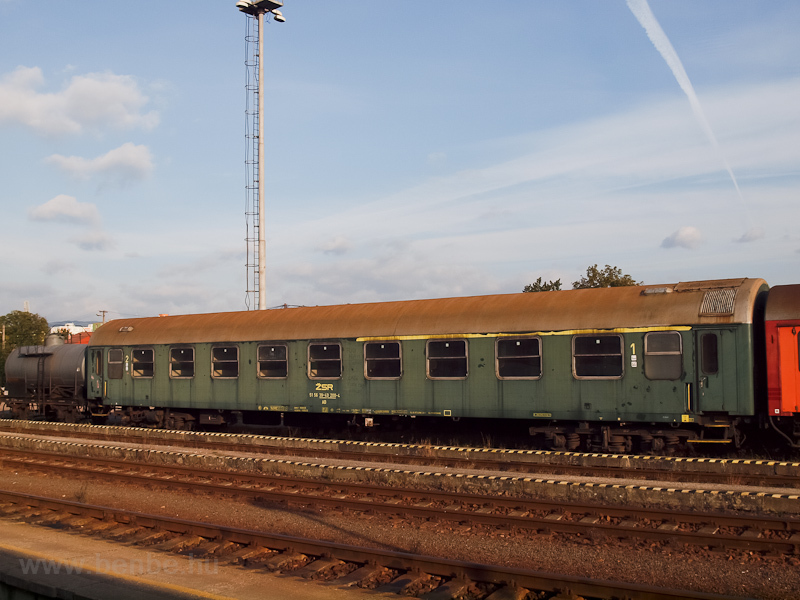 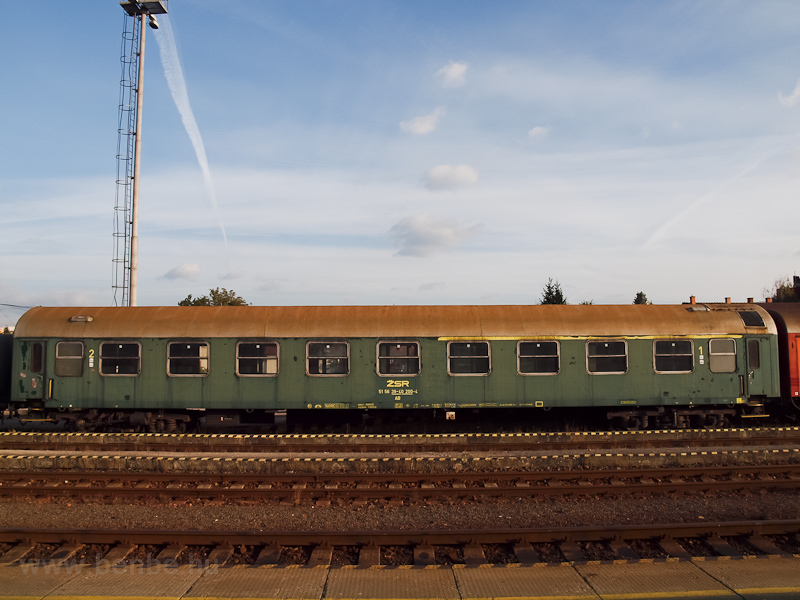 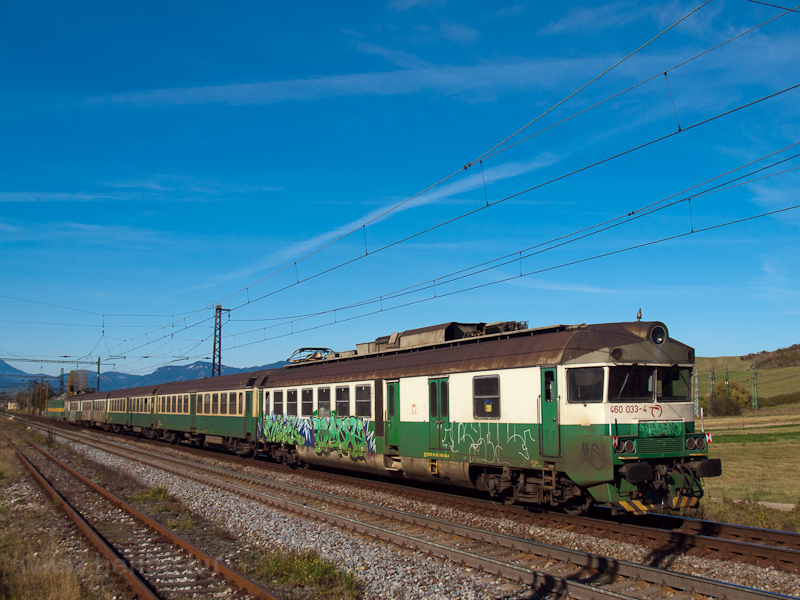 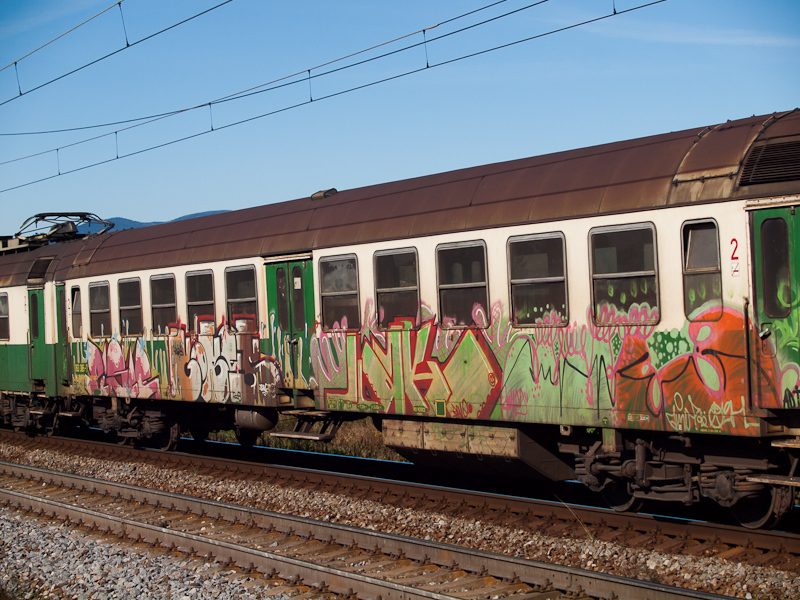 This one with a Gorenje-Mora advertising livery.